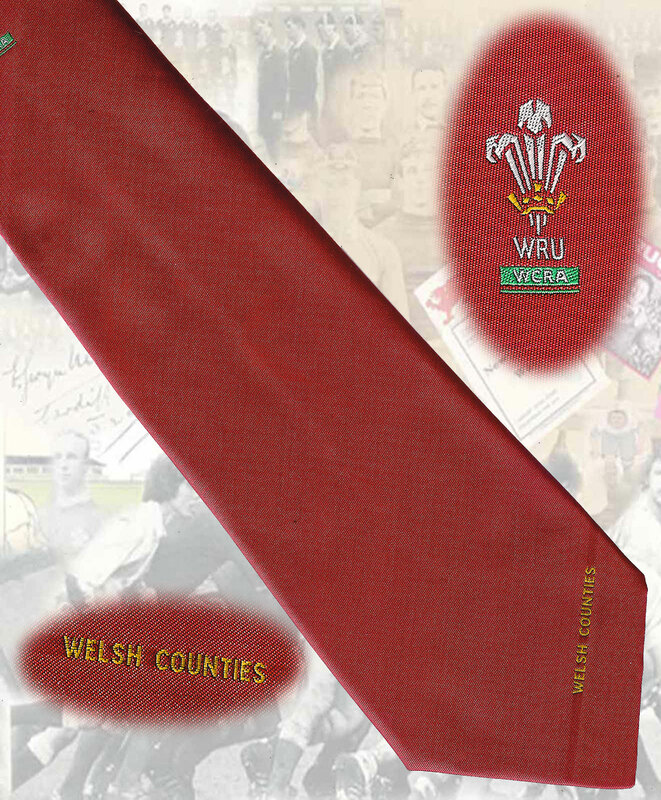 ***** All ties are secondhand and have been previously worn unless otherwise stated, where a measurement, eg. 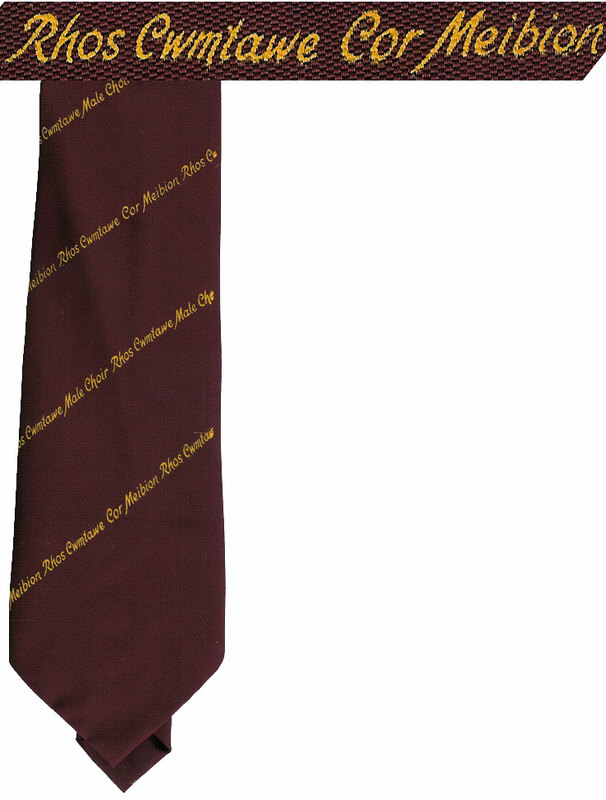 9cm is stated, this is the width of the tie at it's widest point. 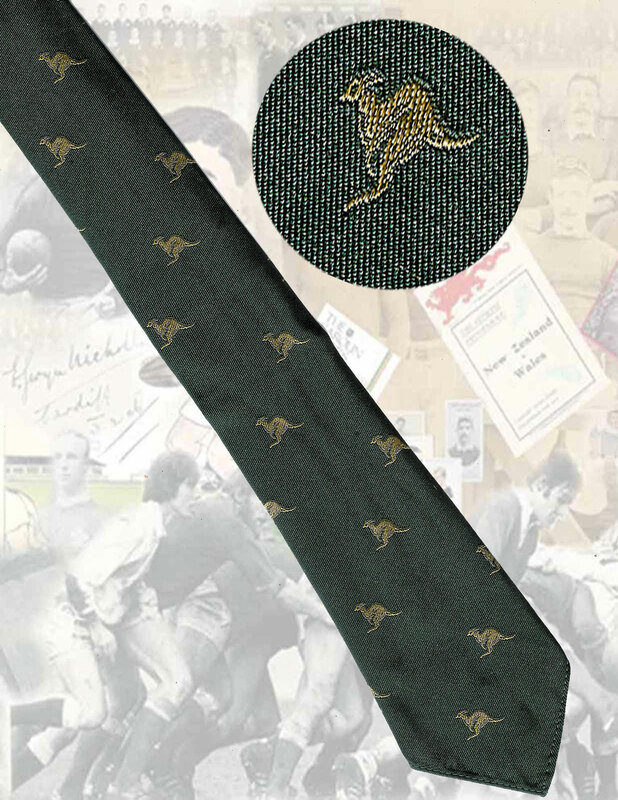 Australia, circa 1981, 10 cm. 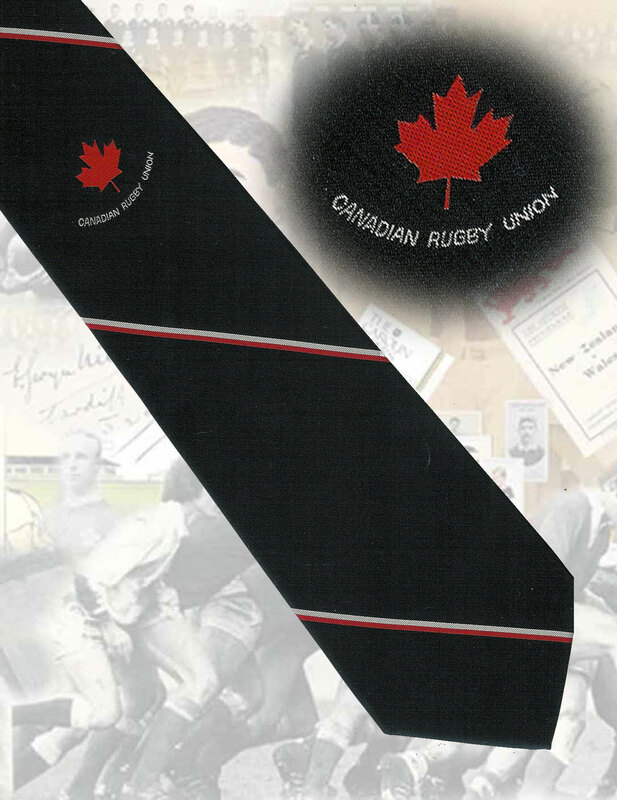 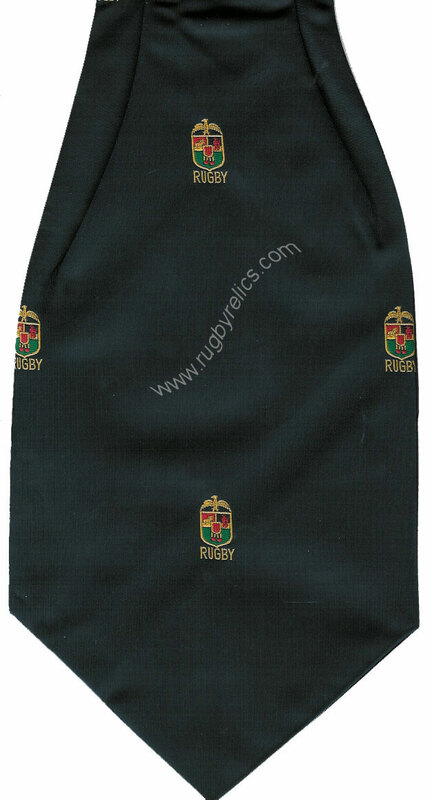 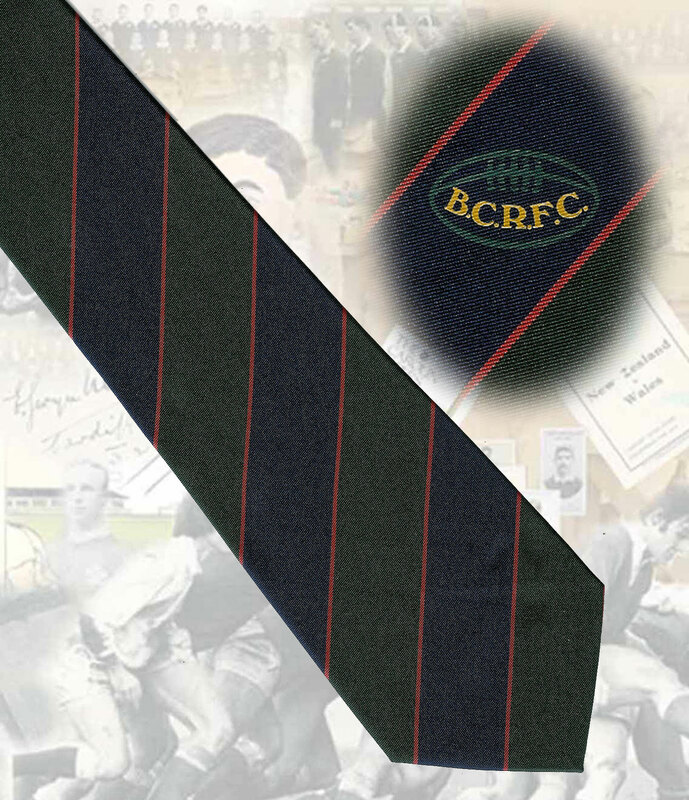 British Columbia Rugby Union (Canada), navy, 9cm. 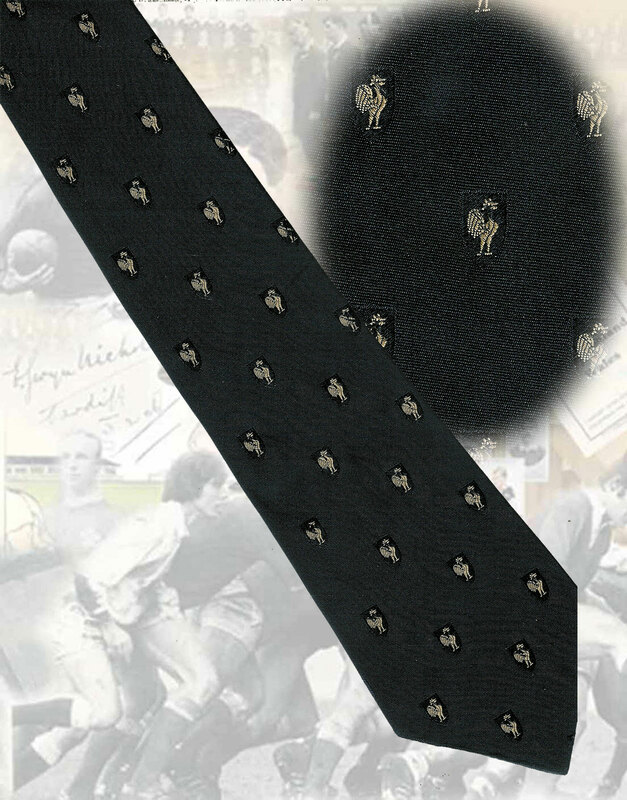 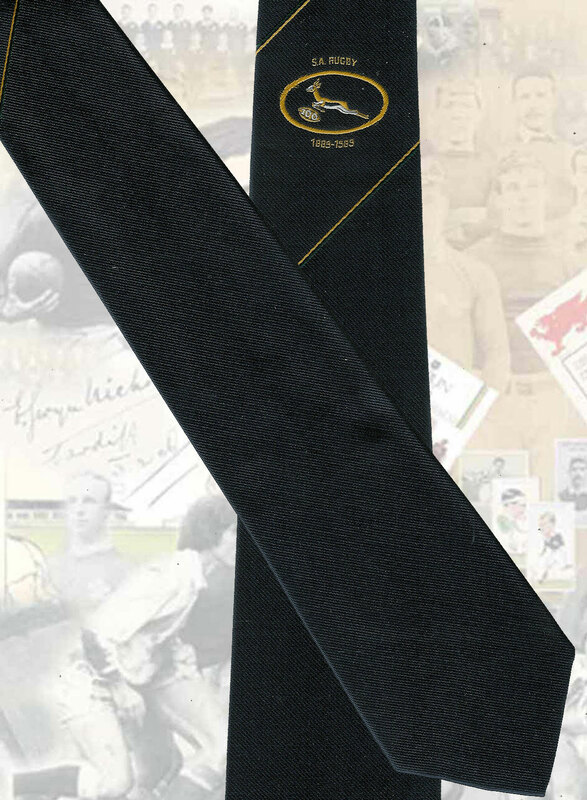 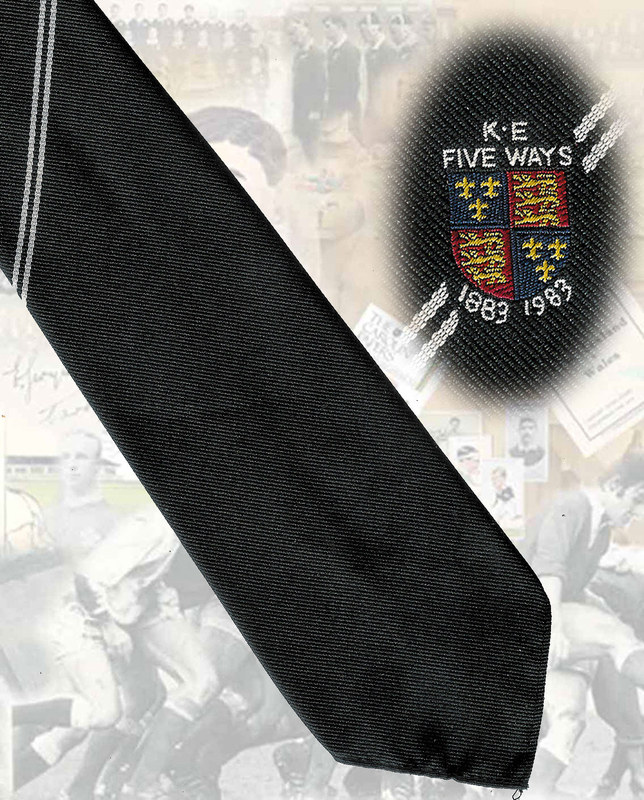 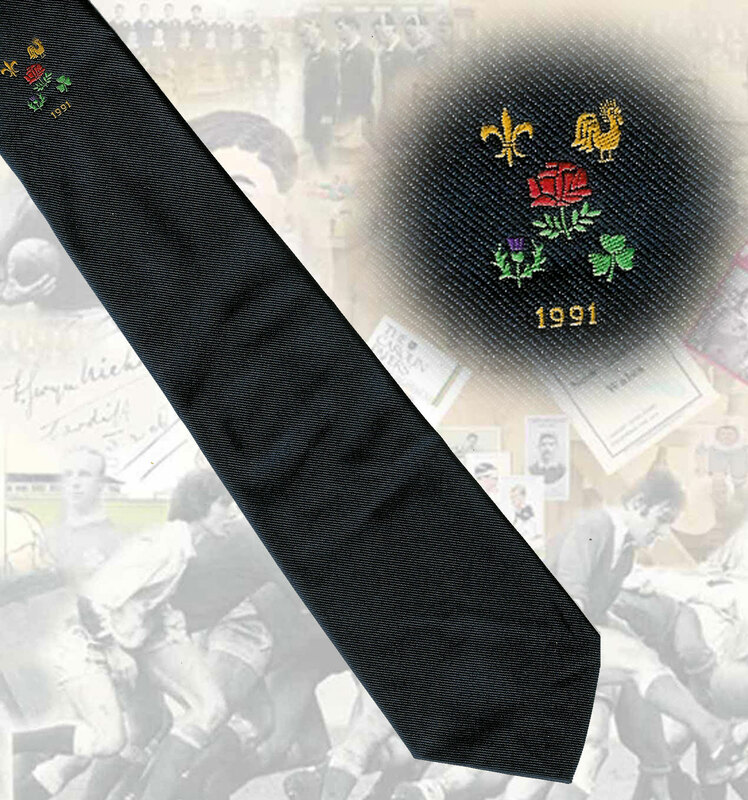 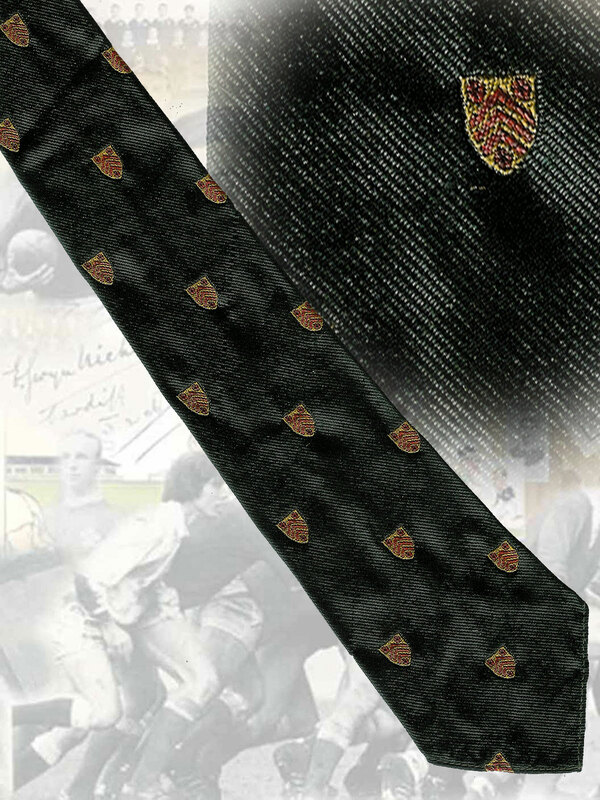 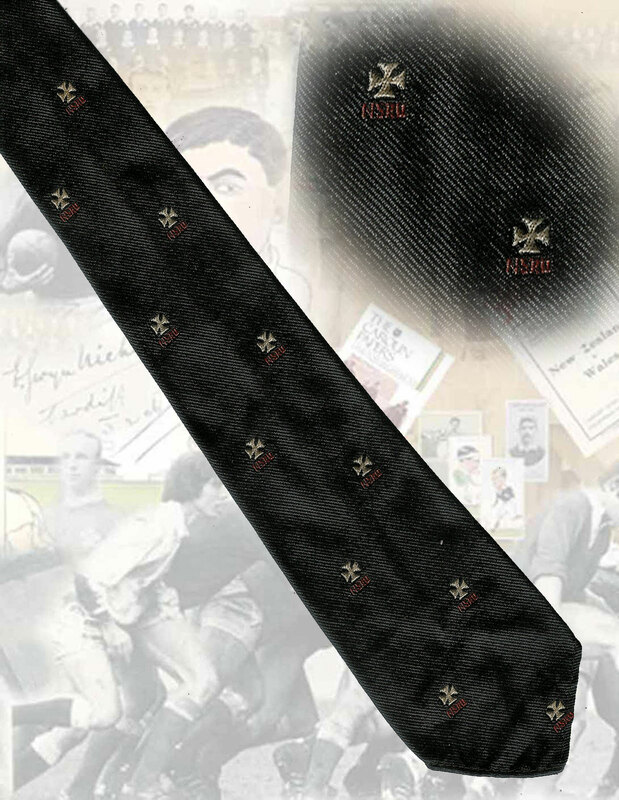 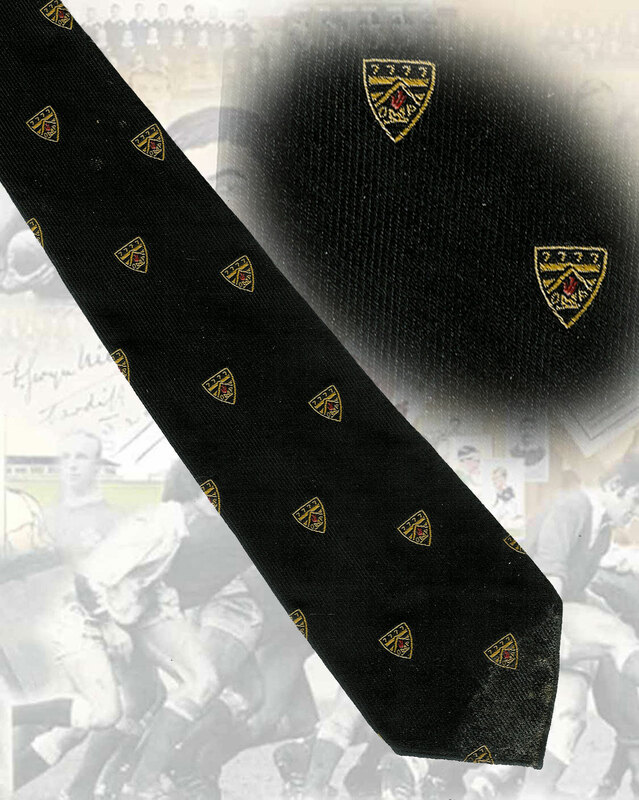 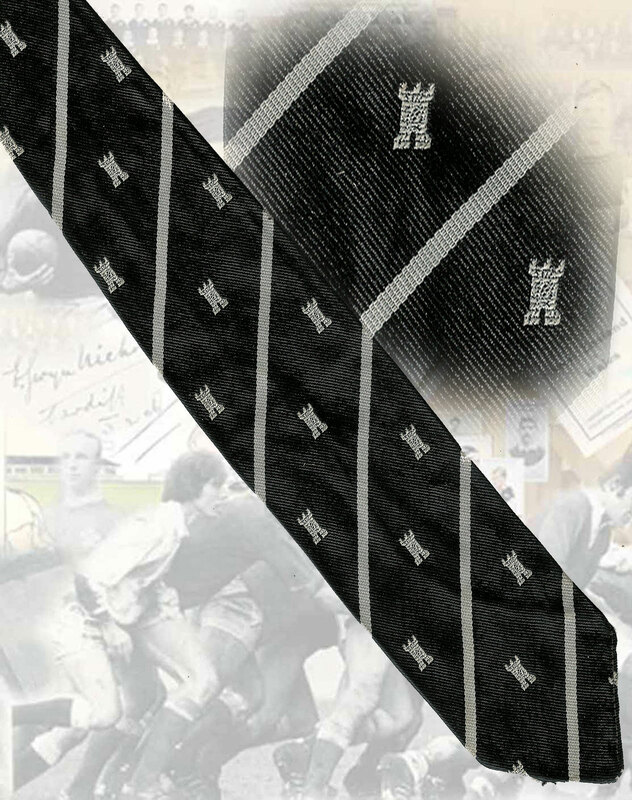 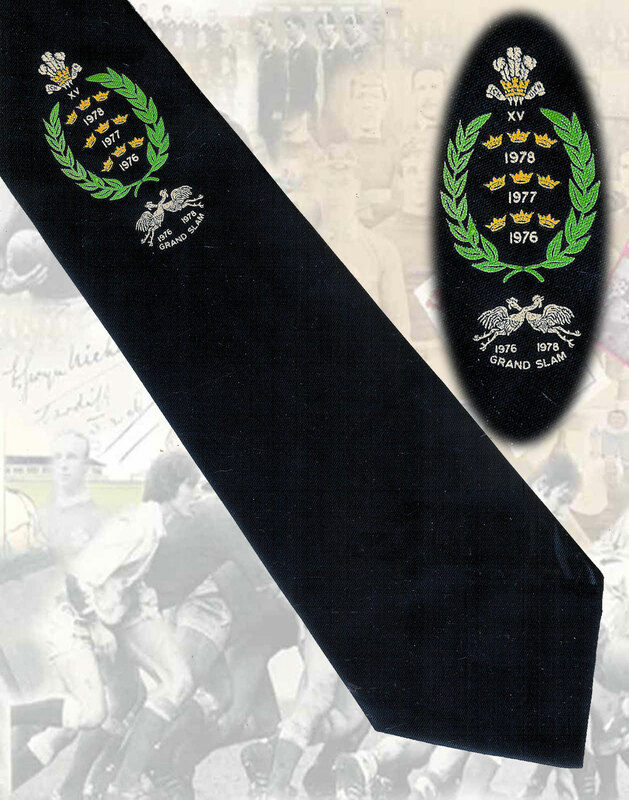 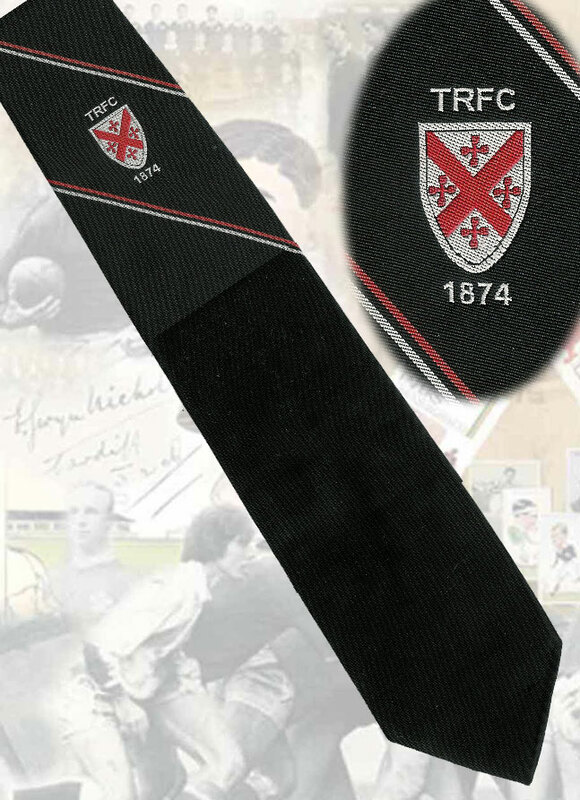 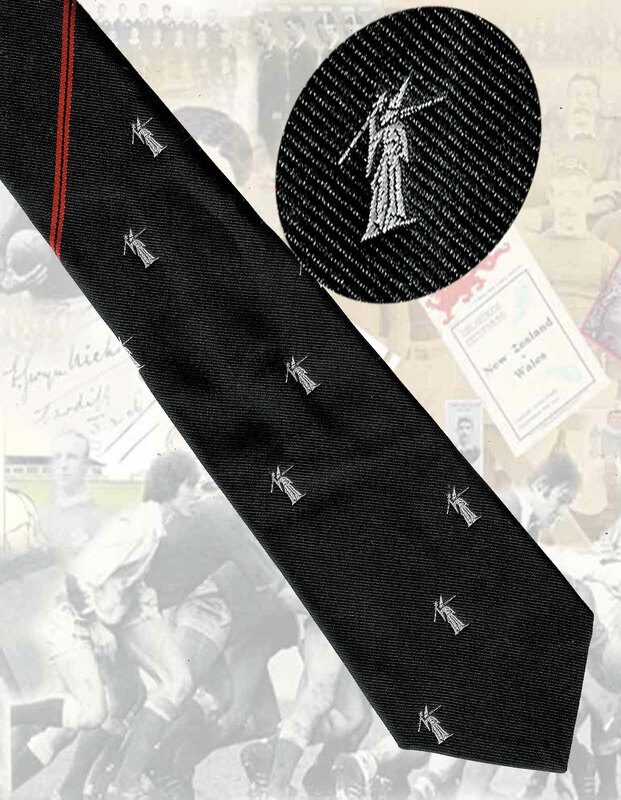 The ties below are from the collection of an English international player 1997-2003. 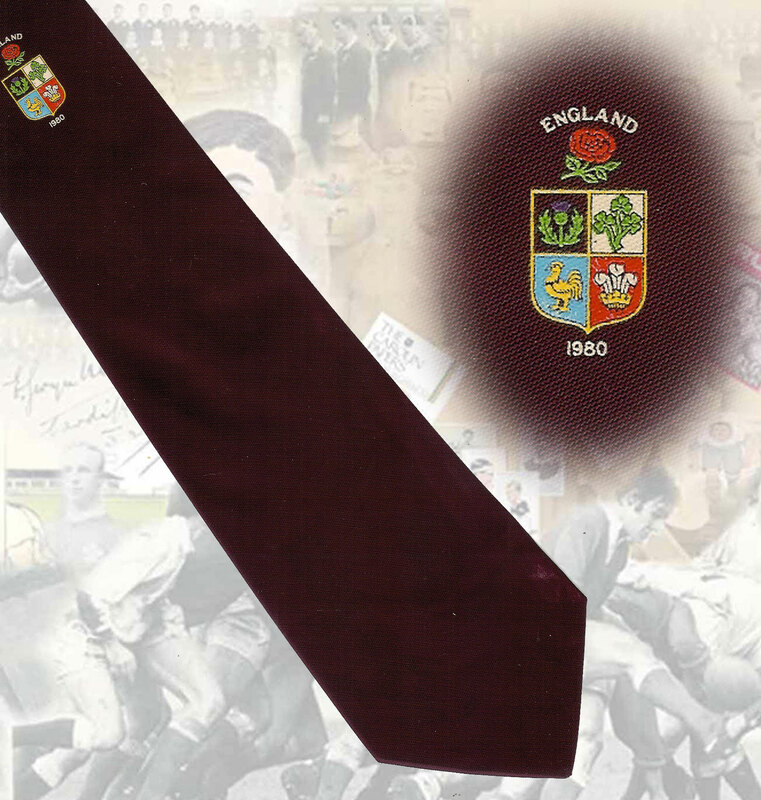 The ties are all official England Rugby merchandise and have been issued to this player. 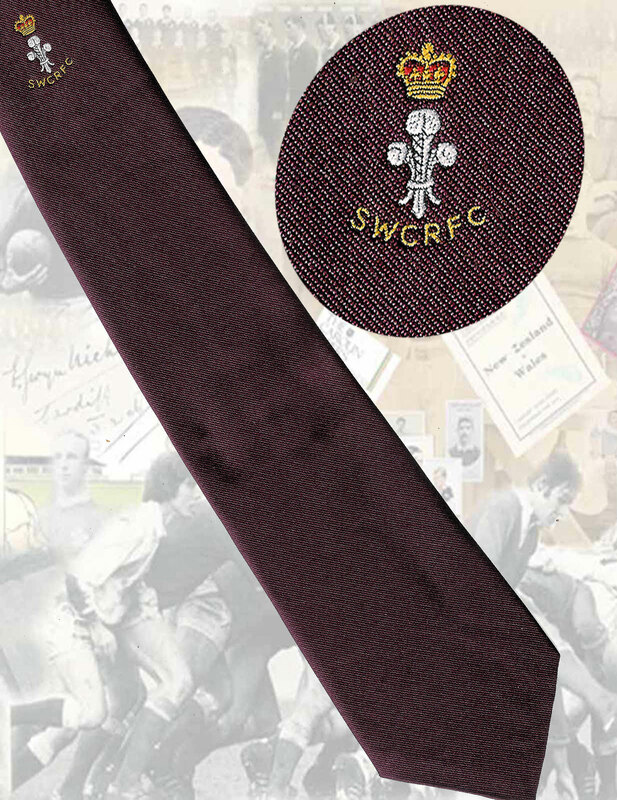 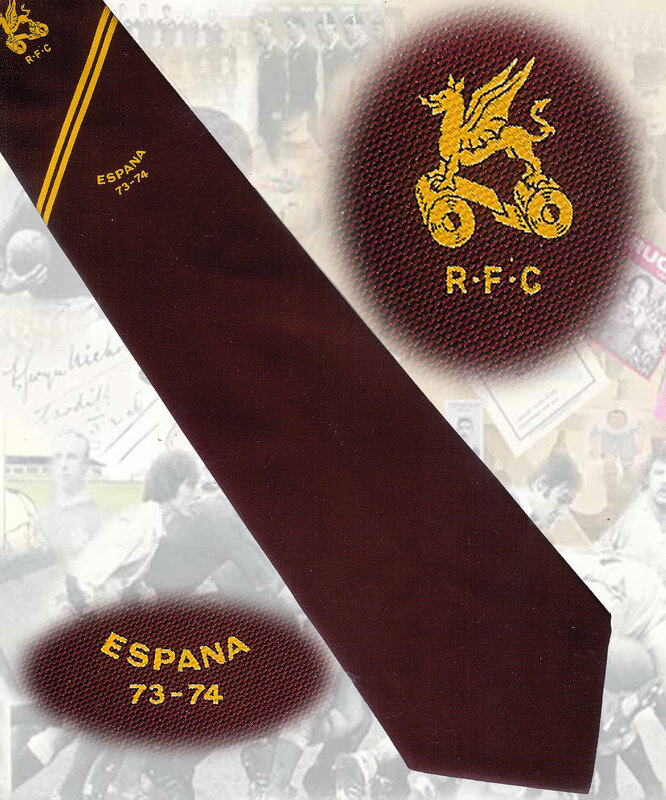 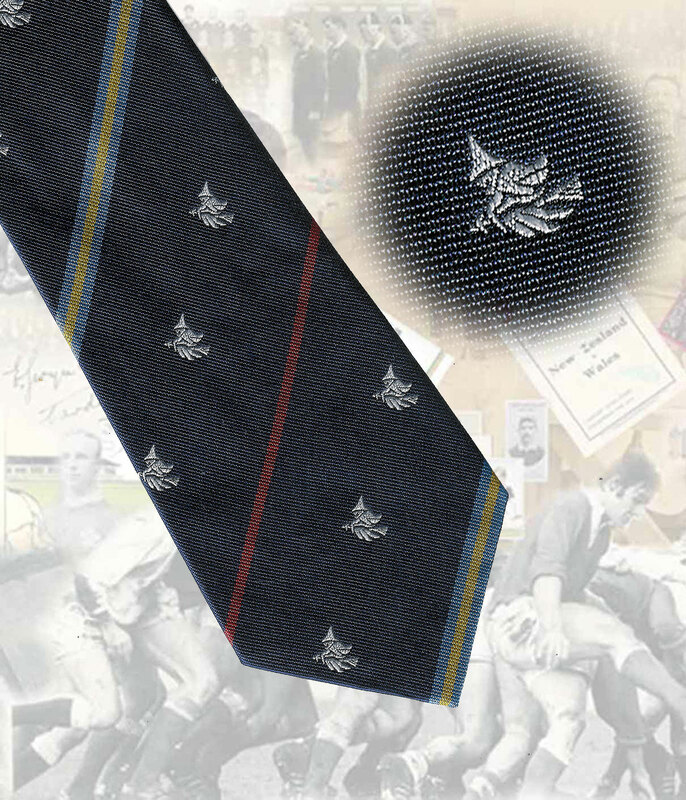 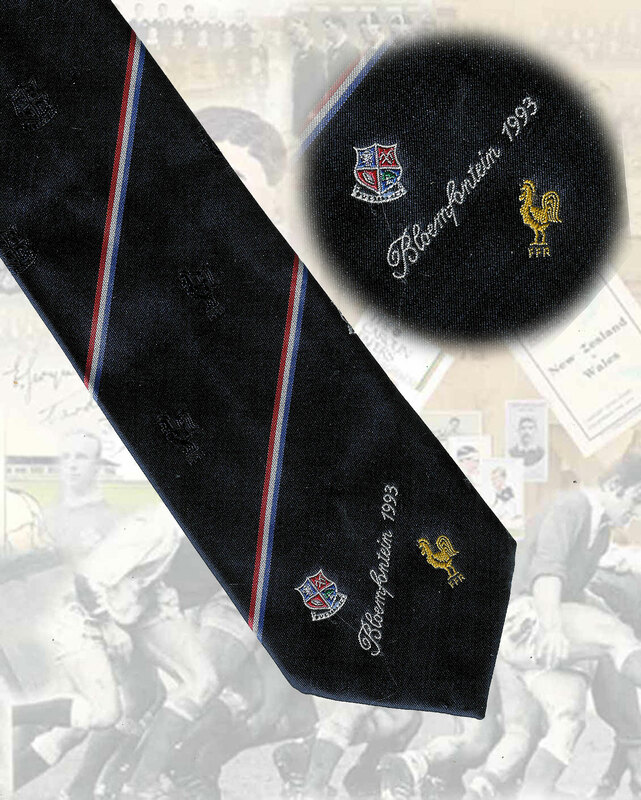 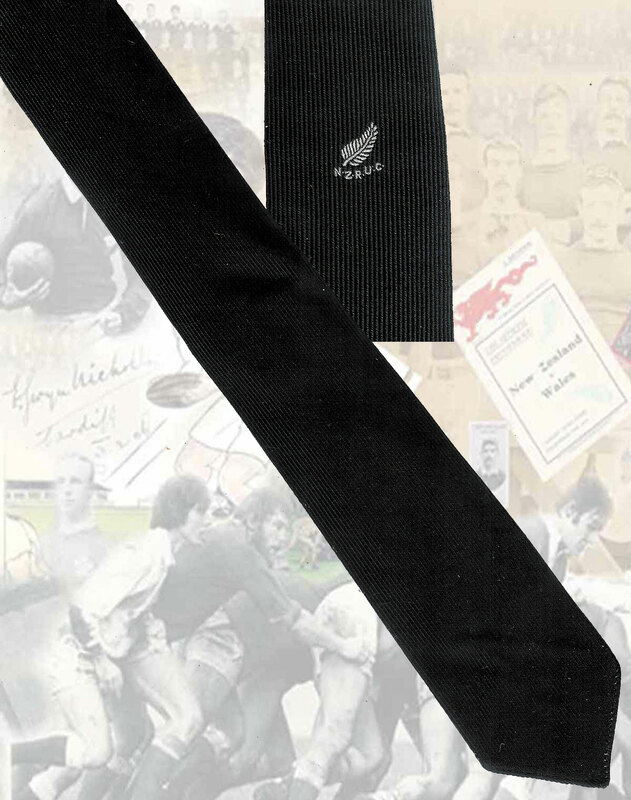 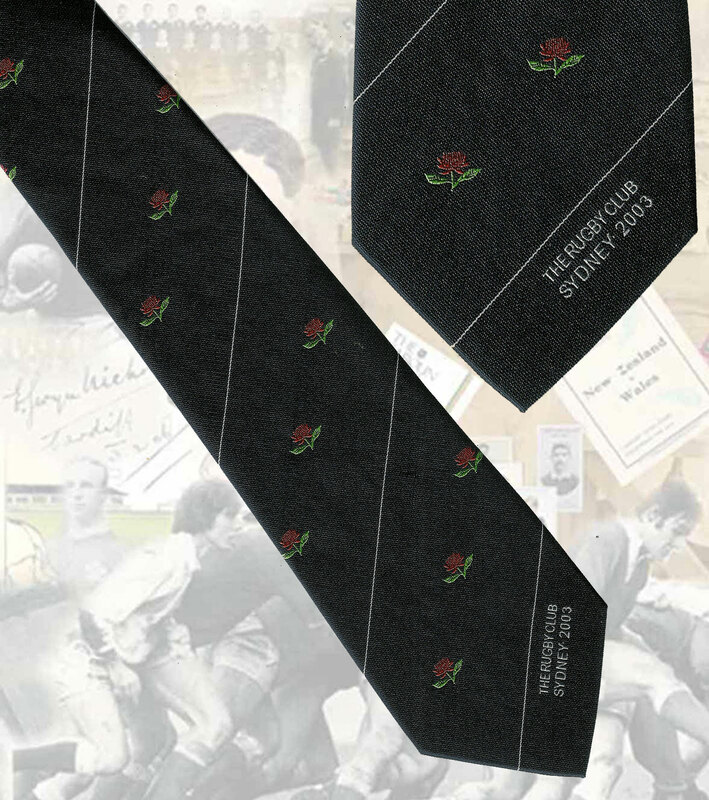 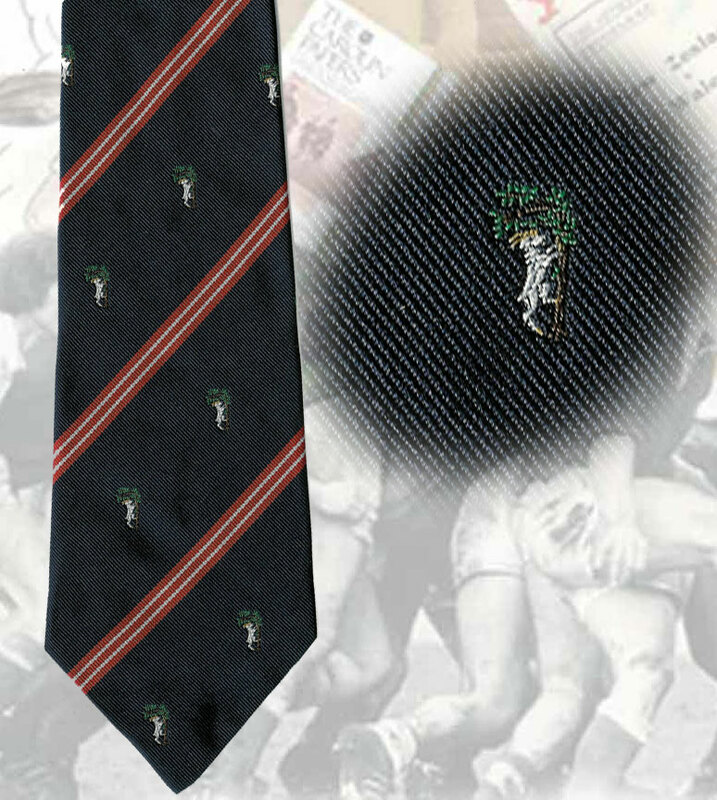 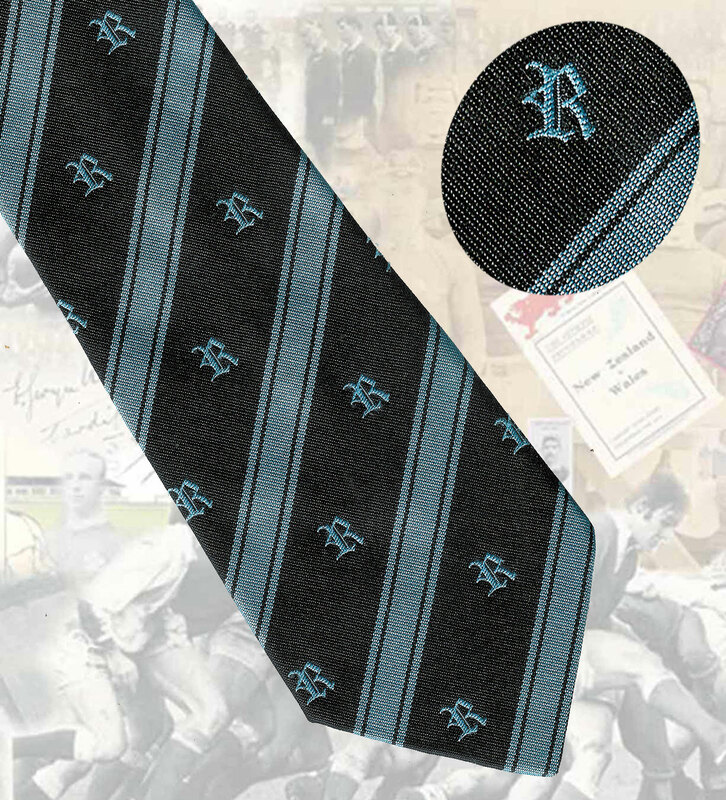 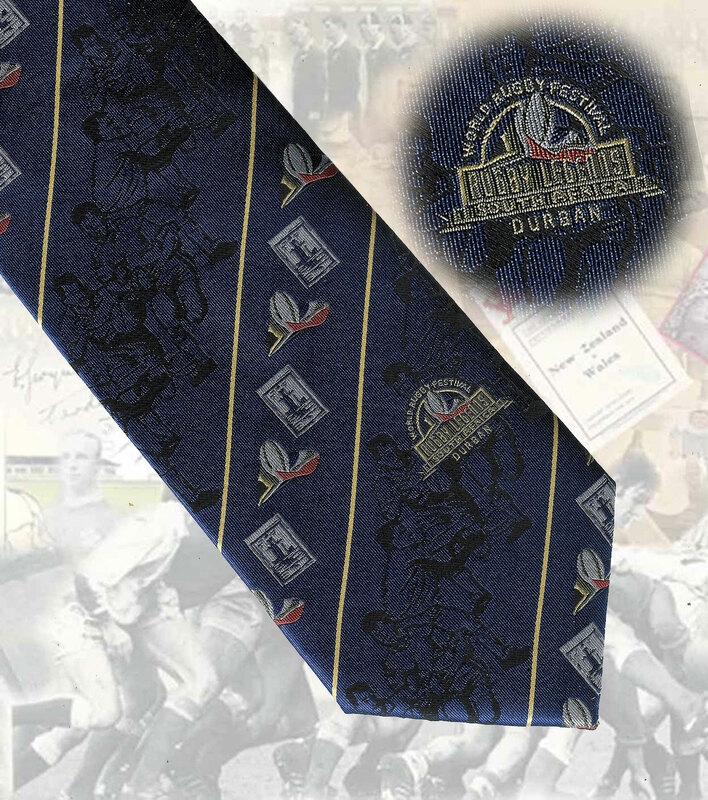 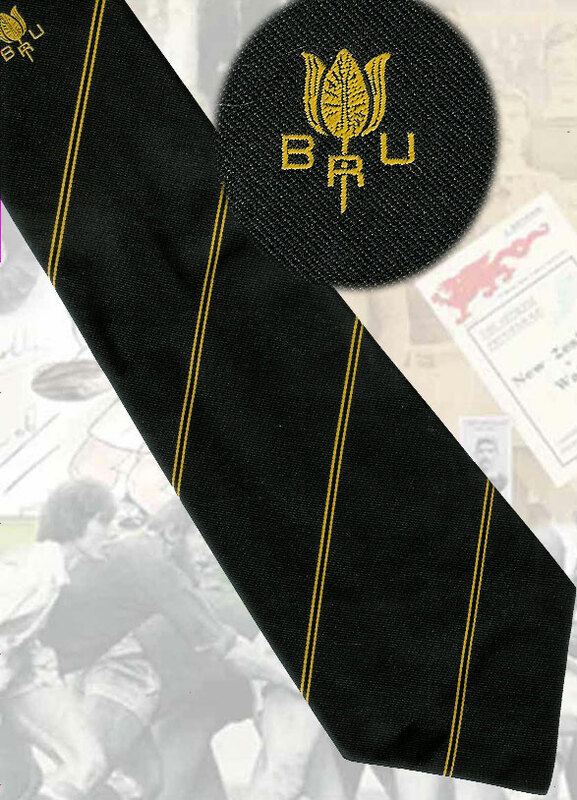 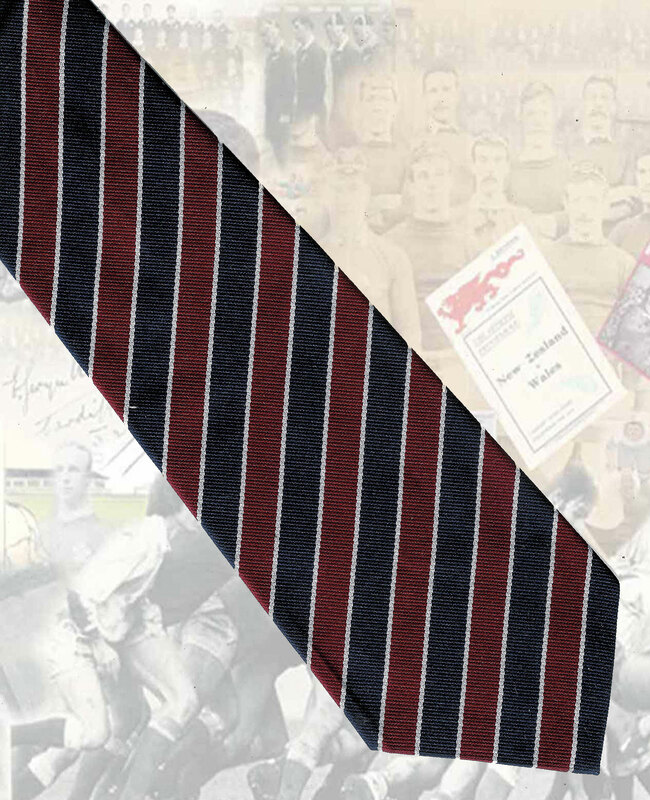 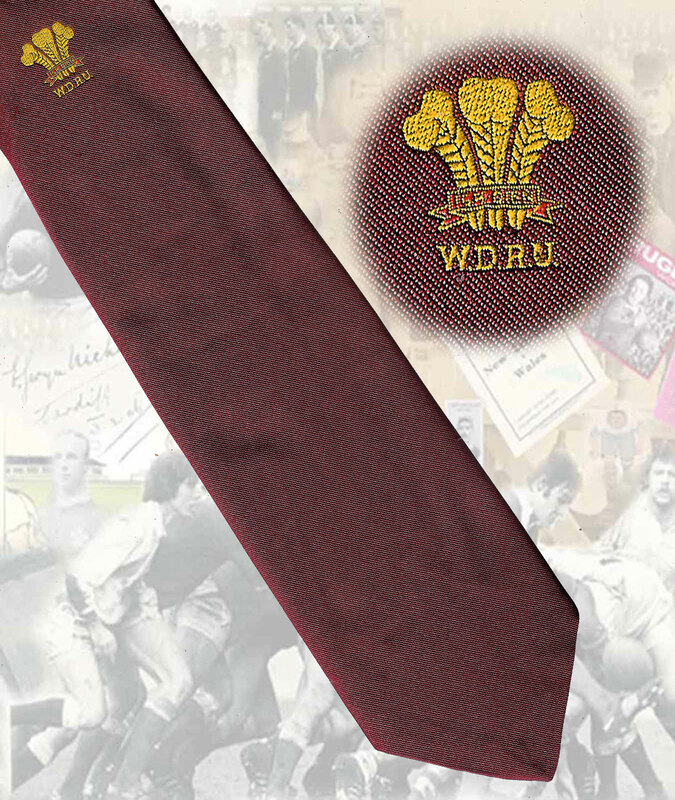 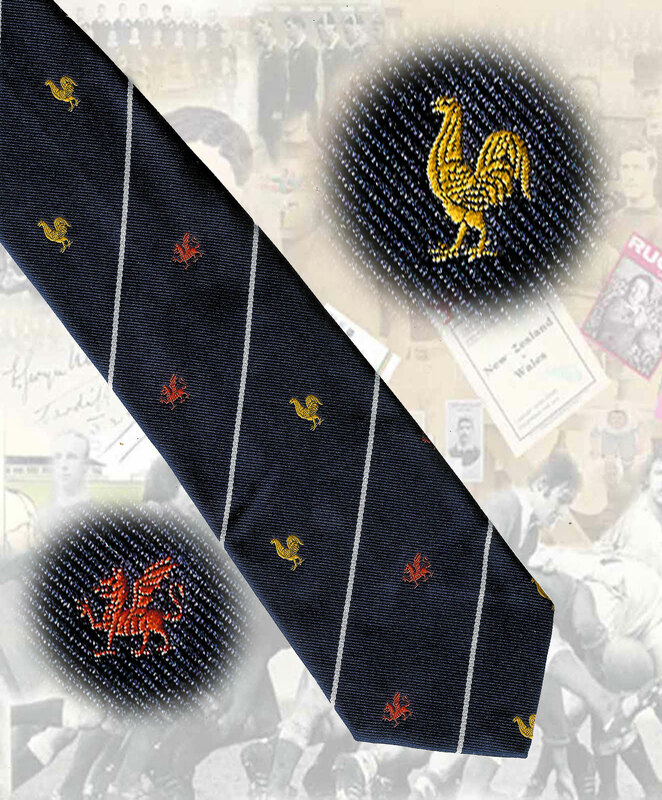 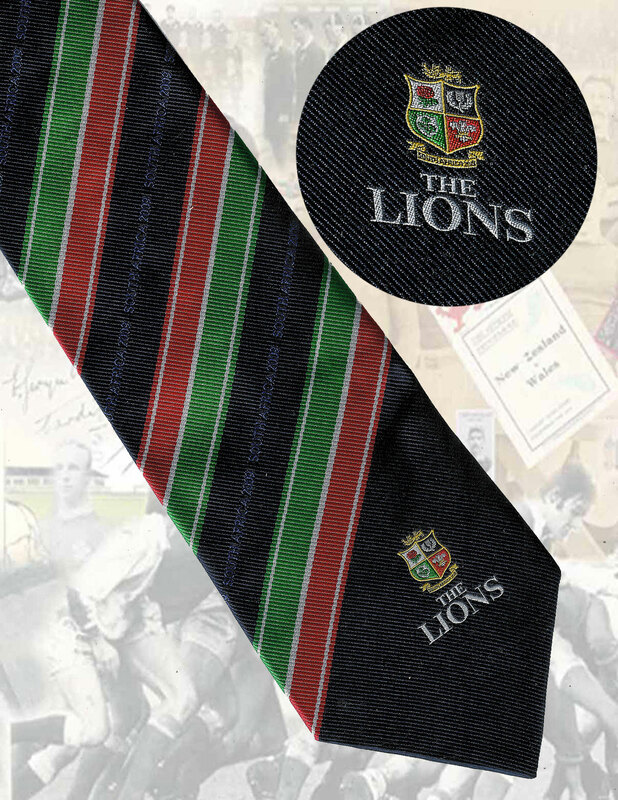 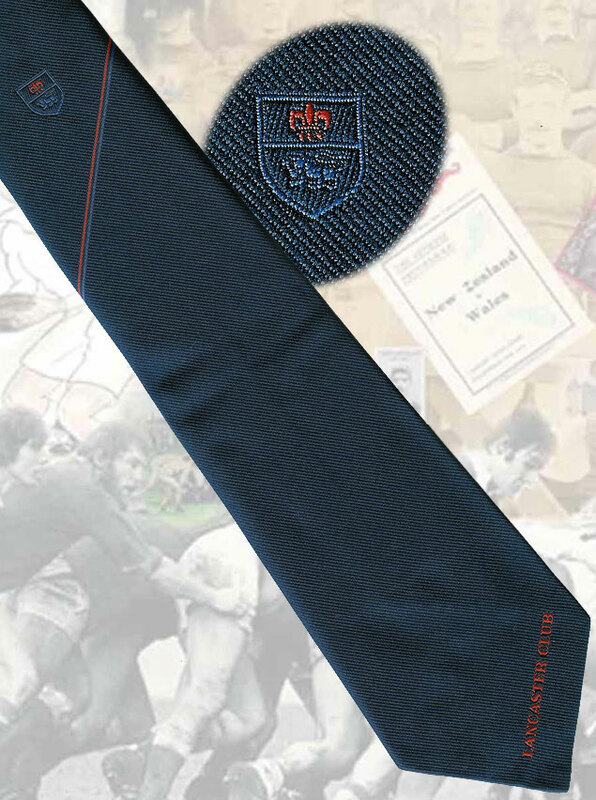 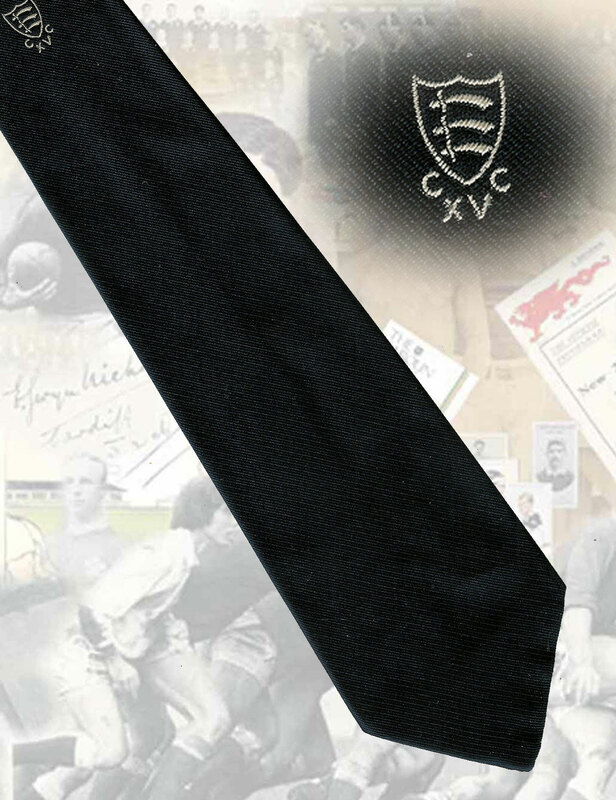 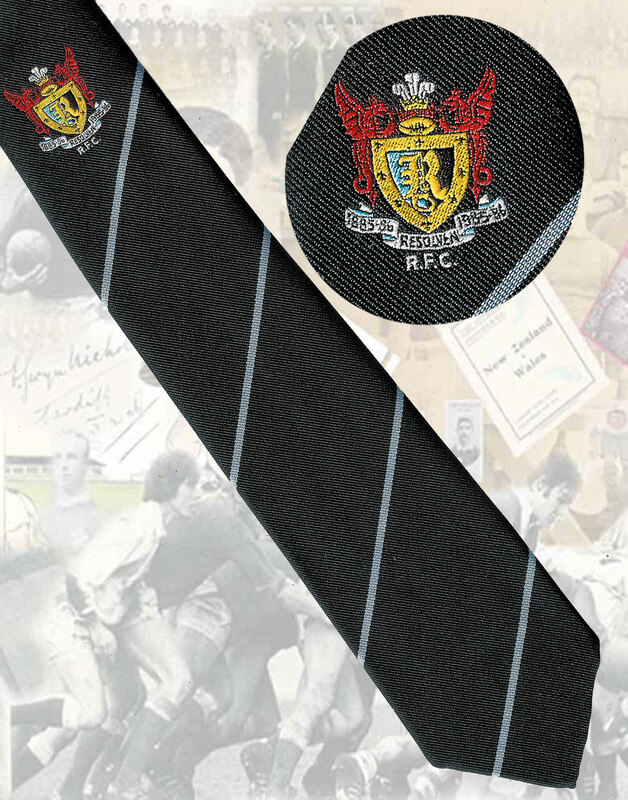 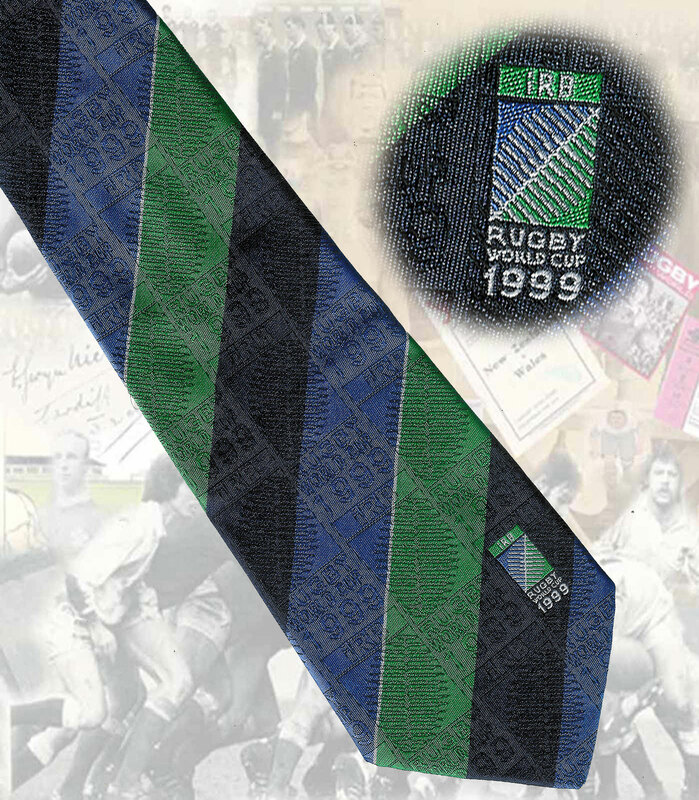 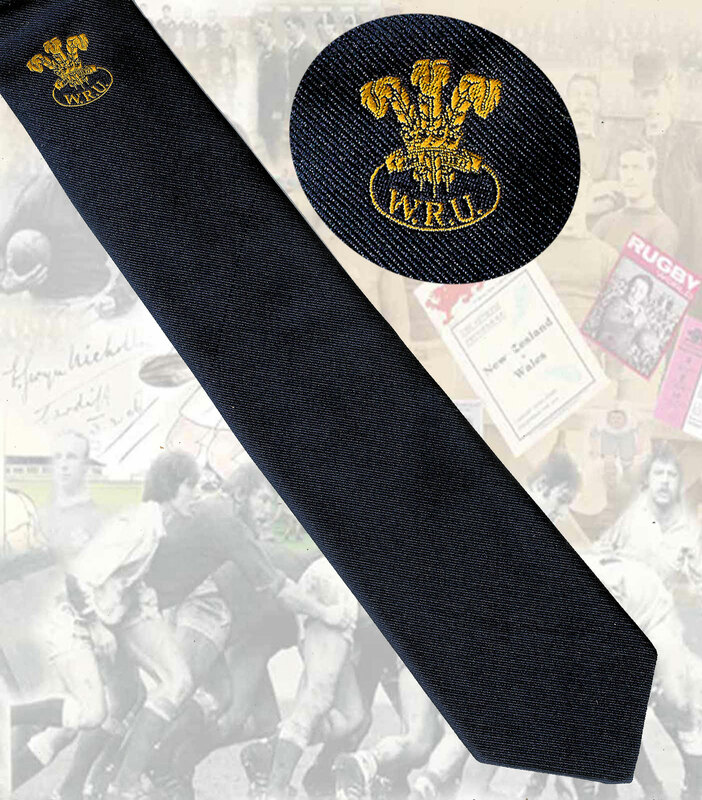 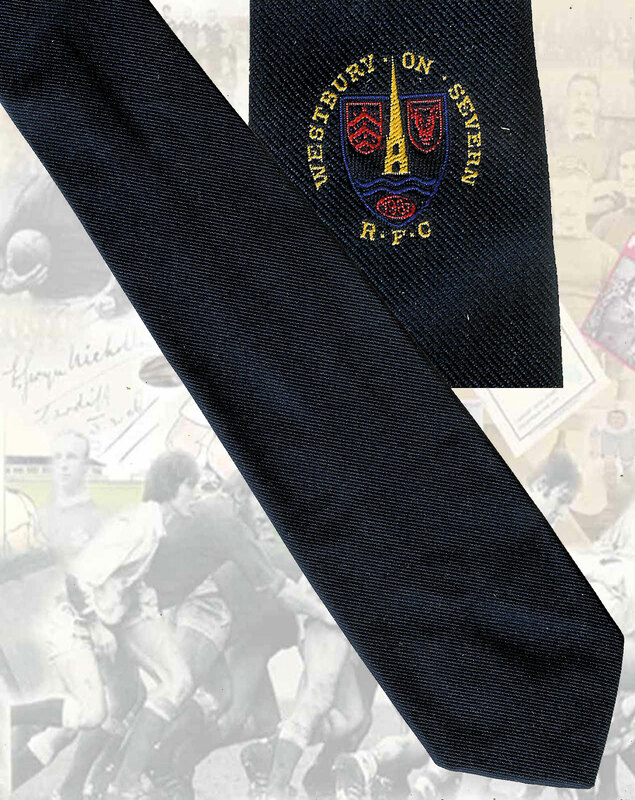 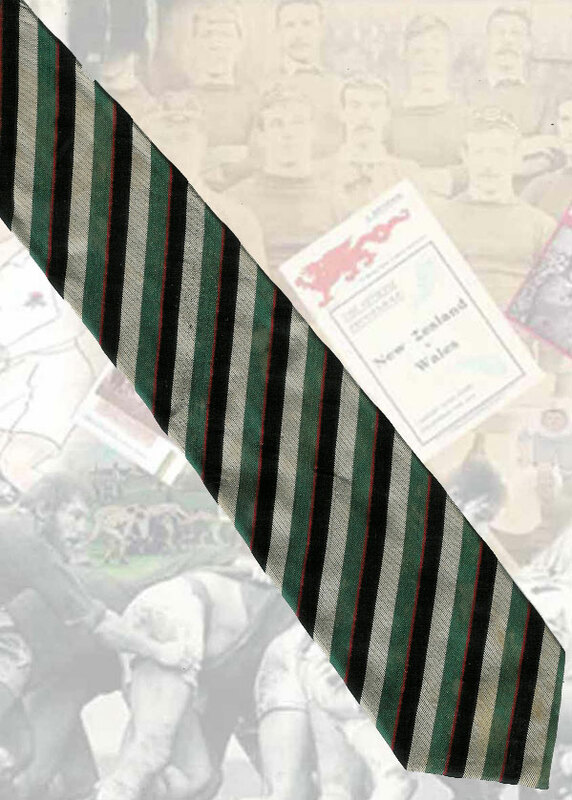 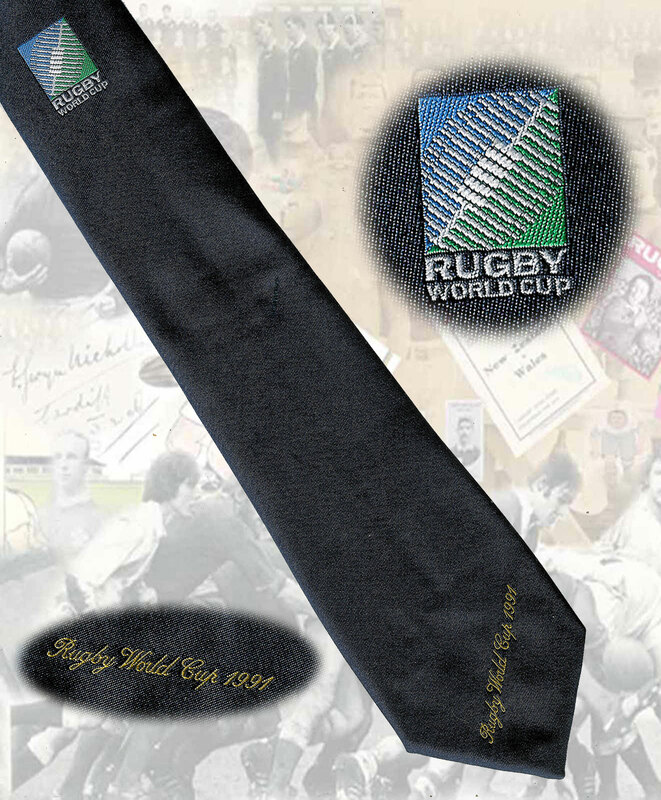 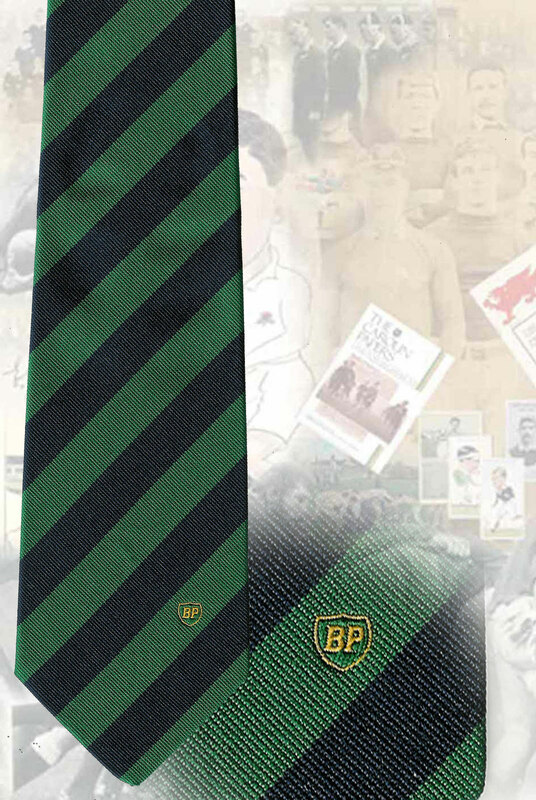 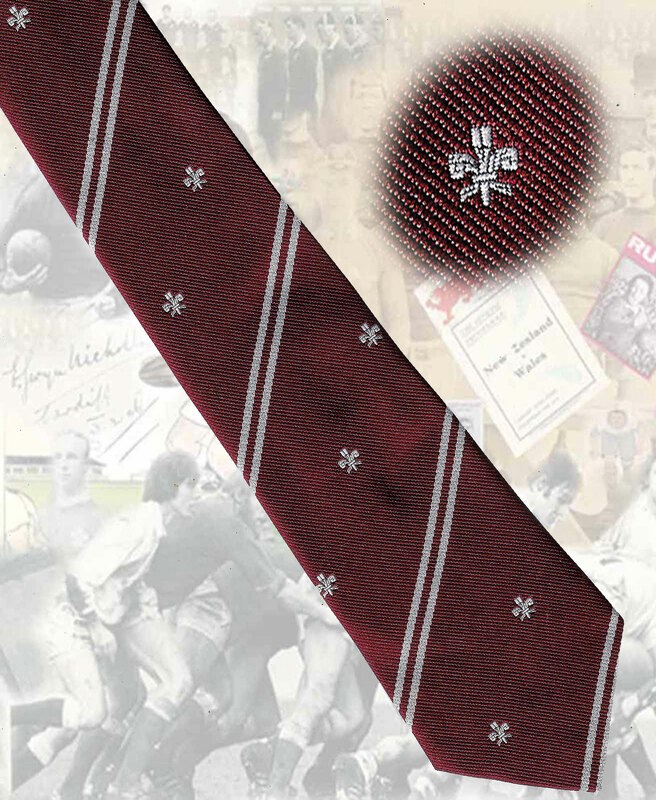 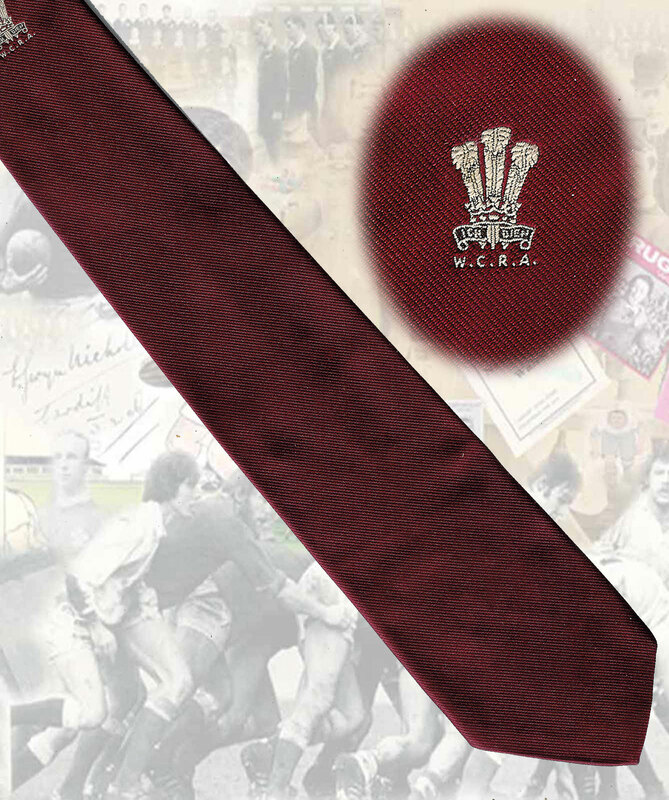 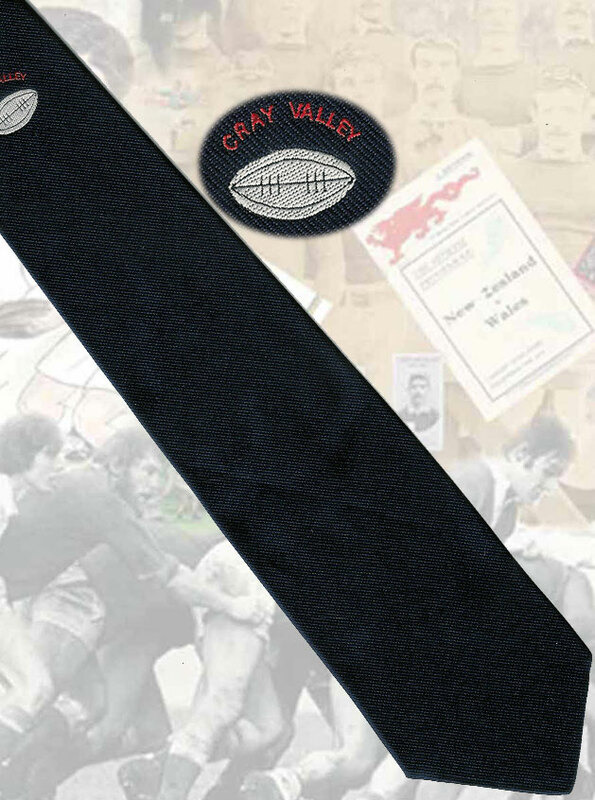 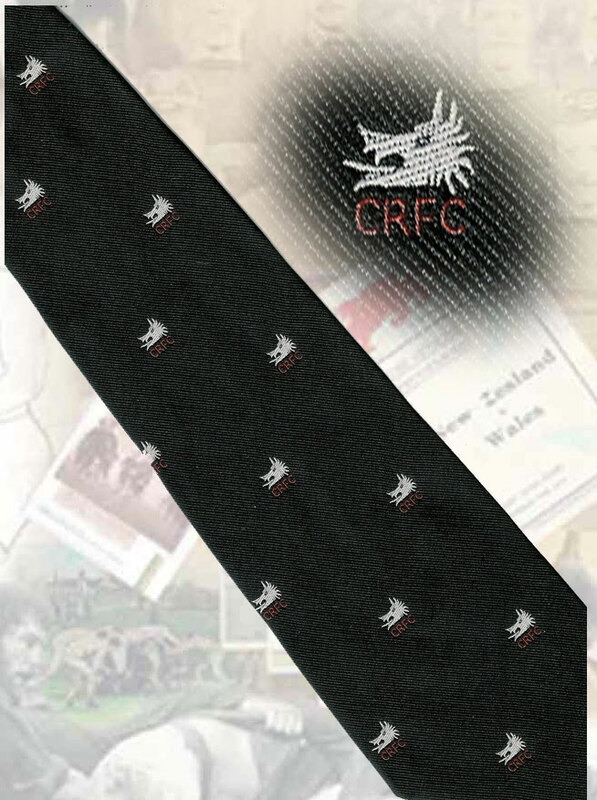 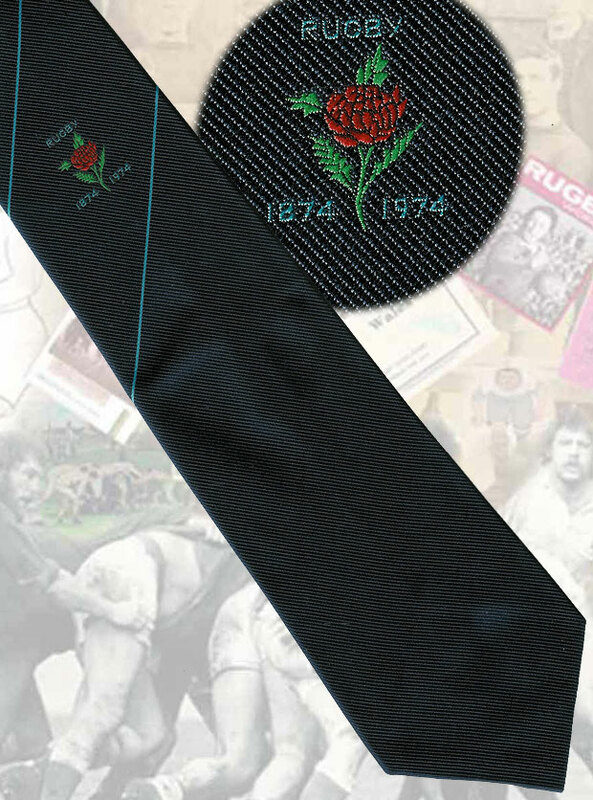 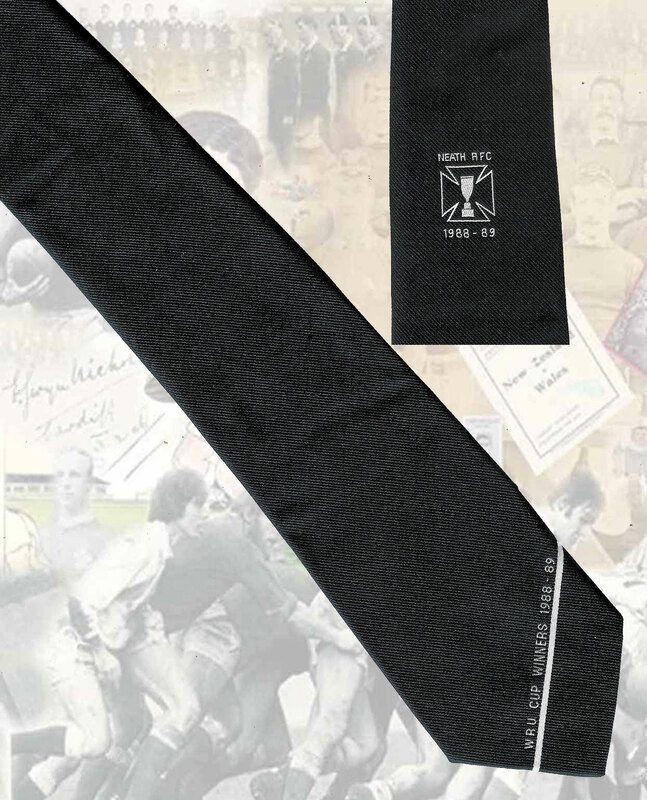 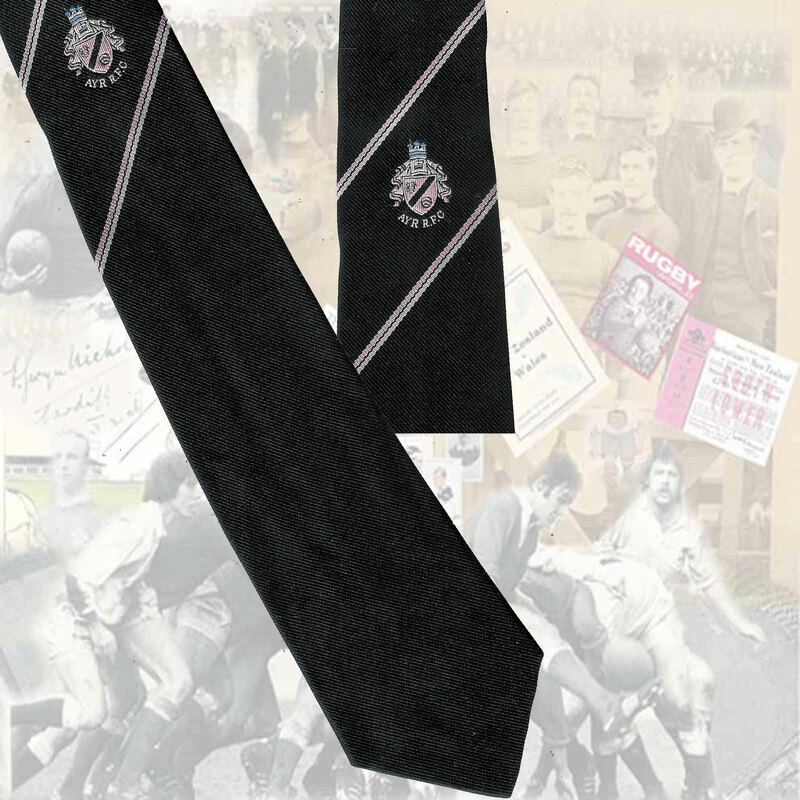 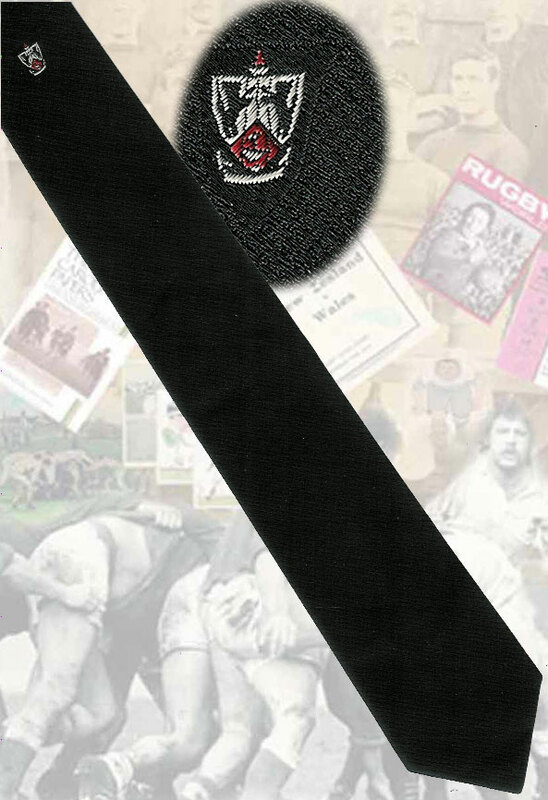 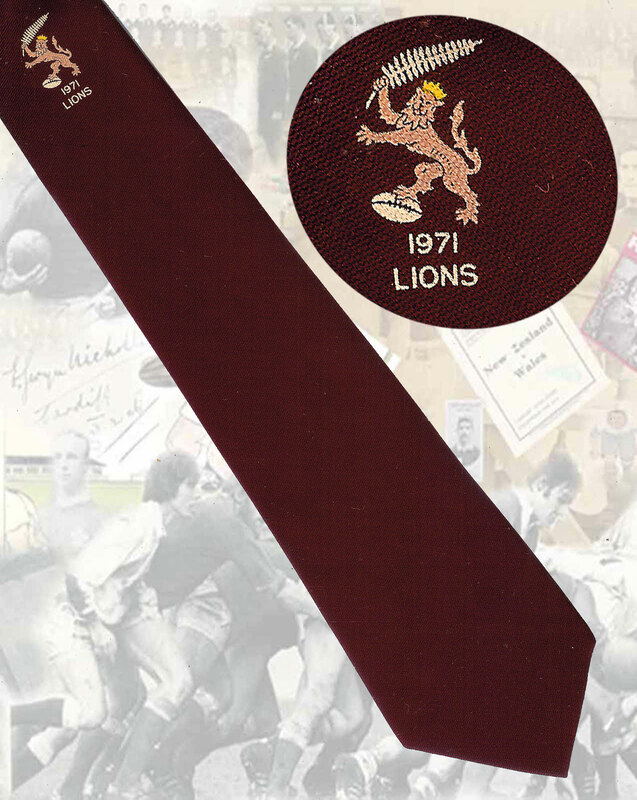 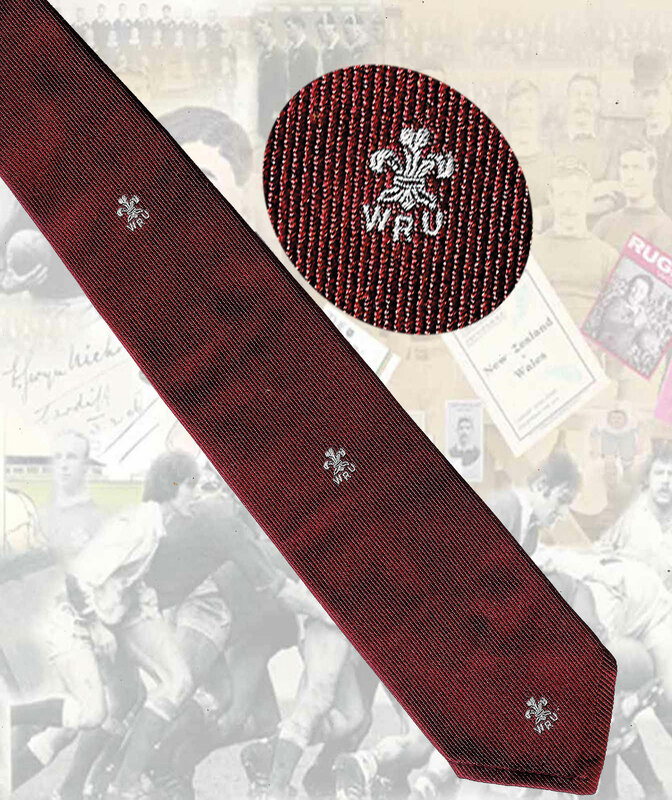 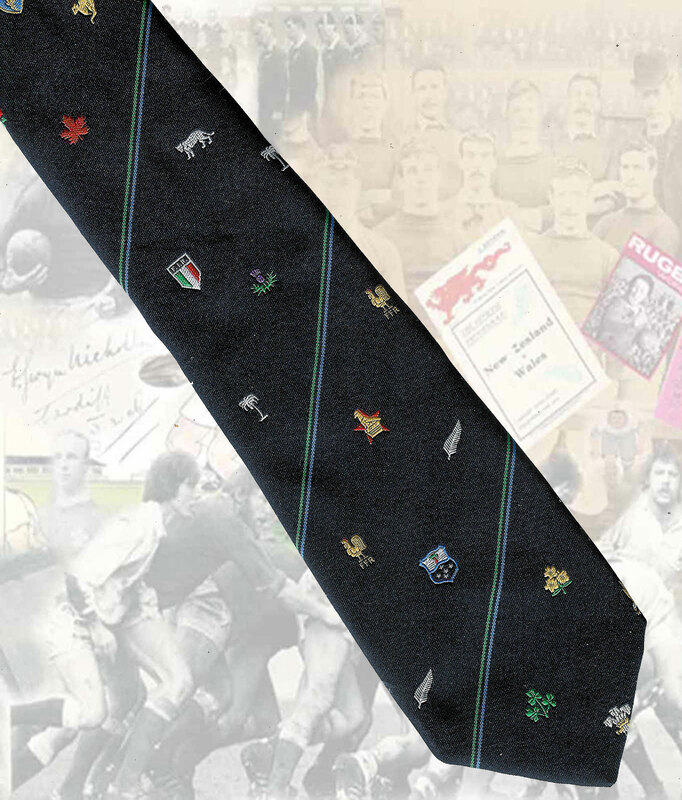 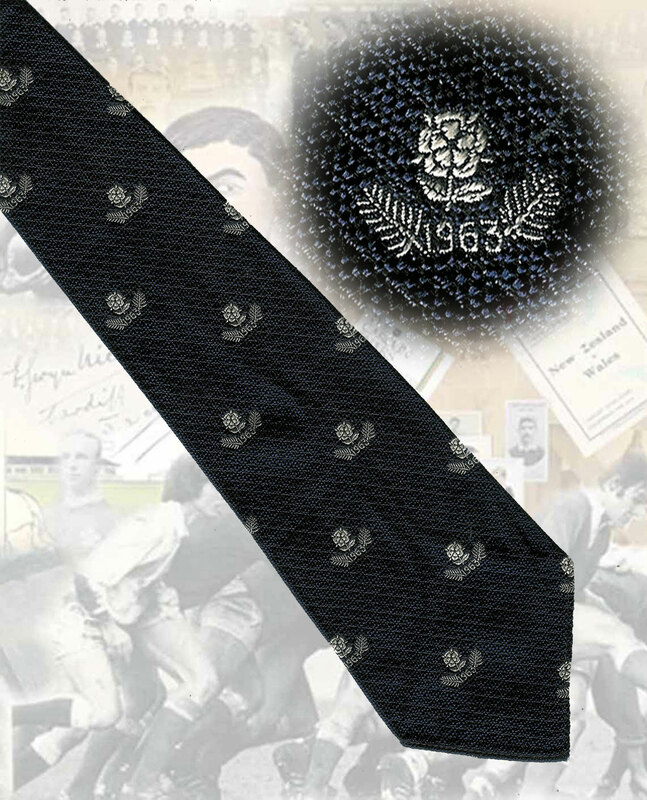 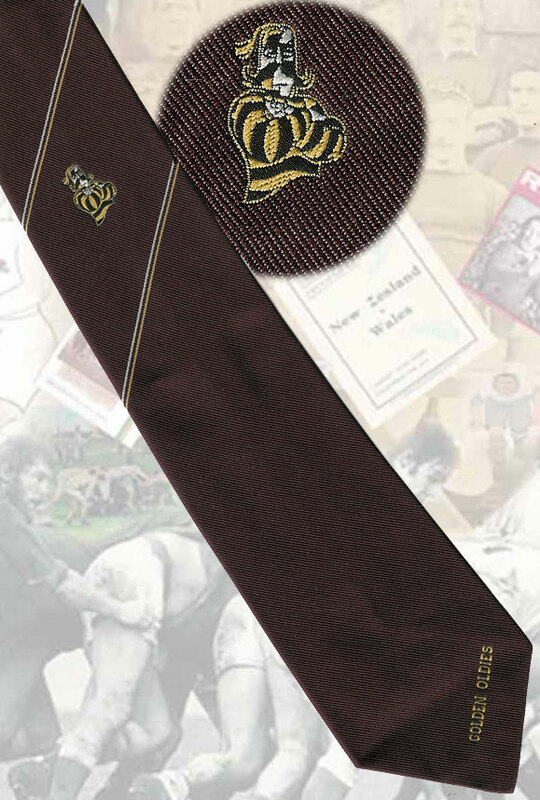 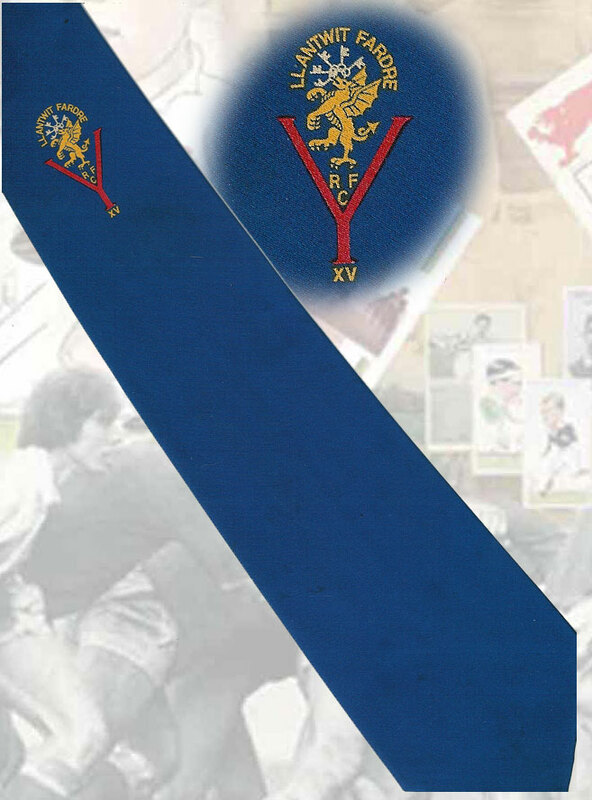 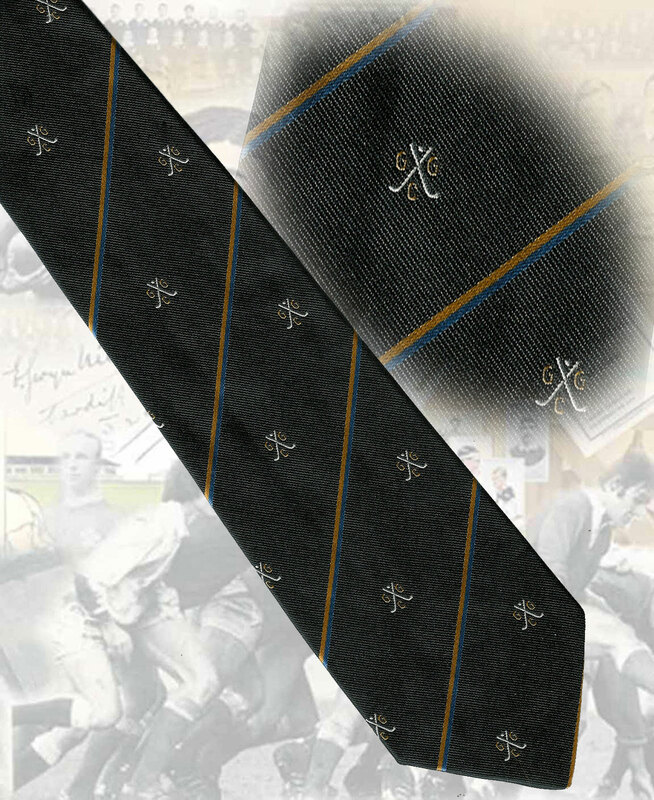 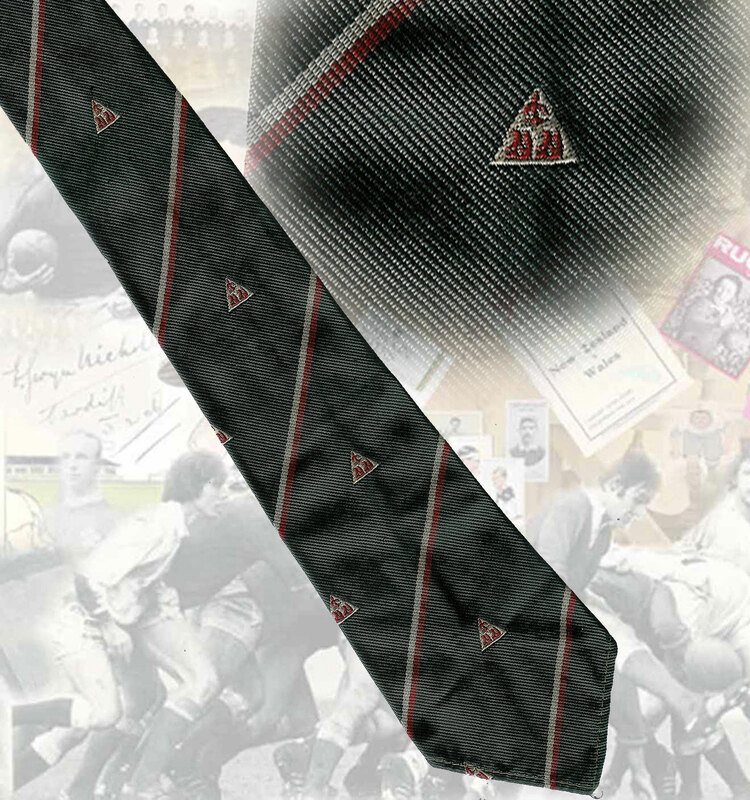 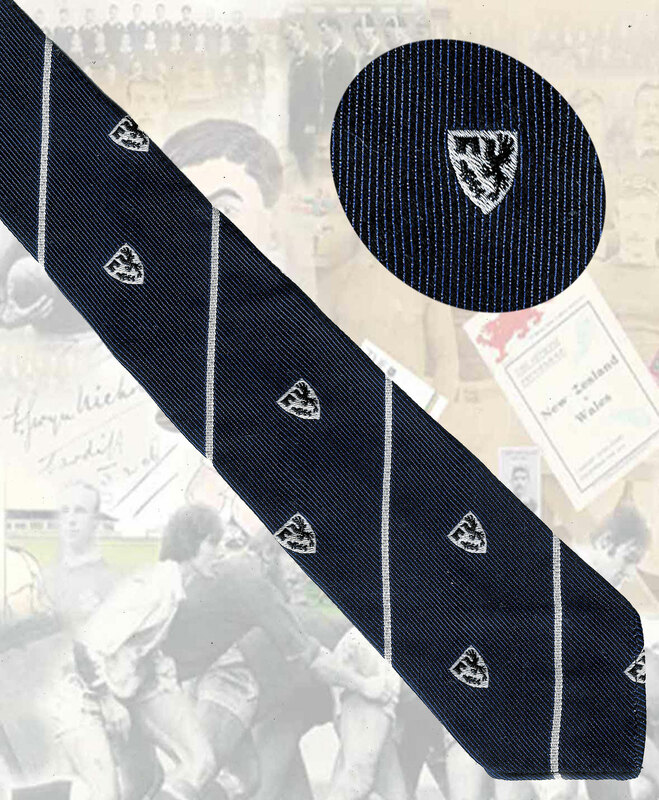 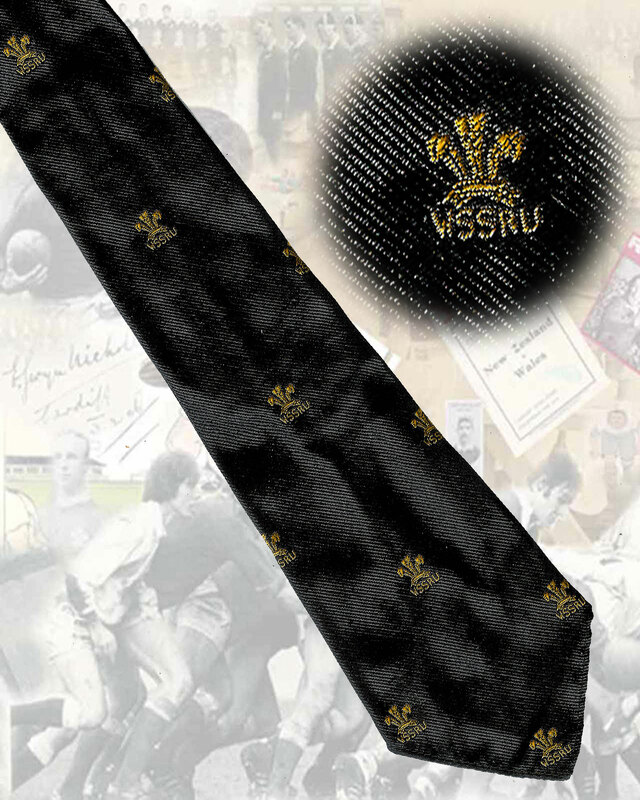 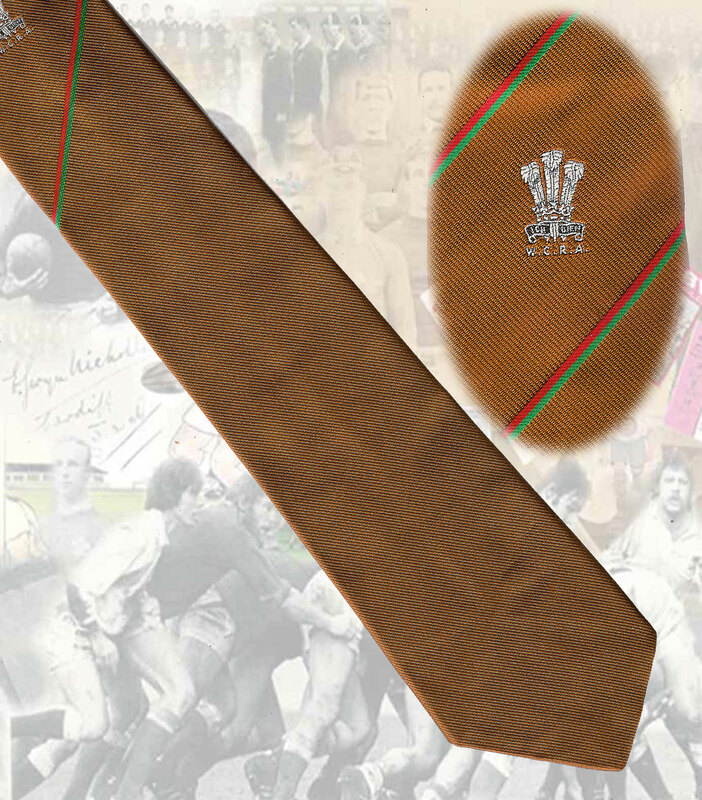 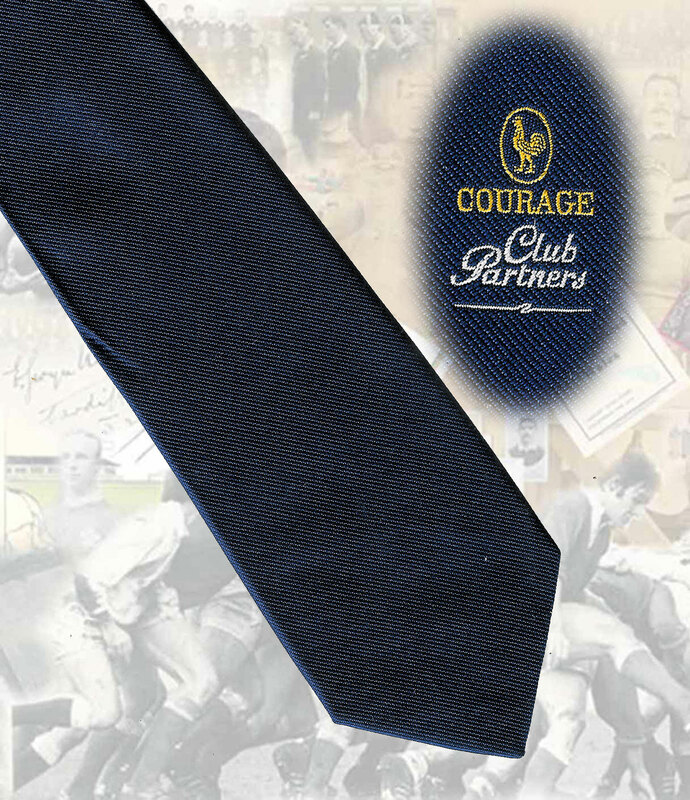 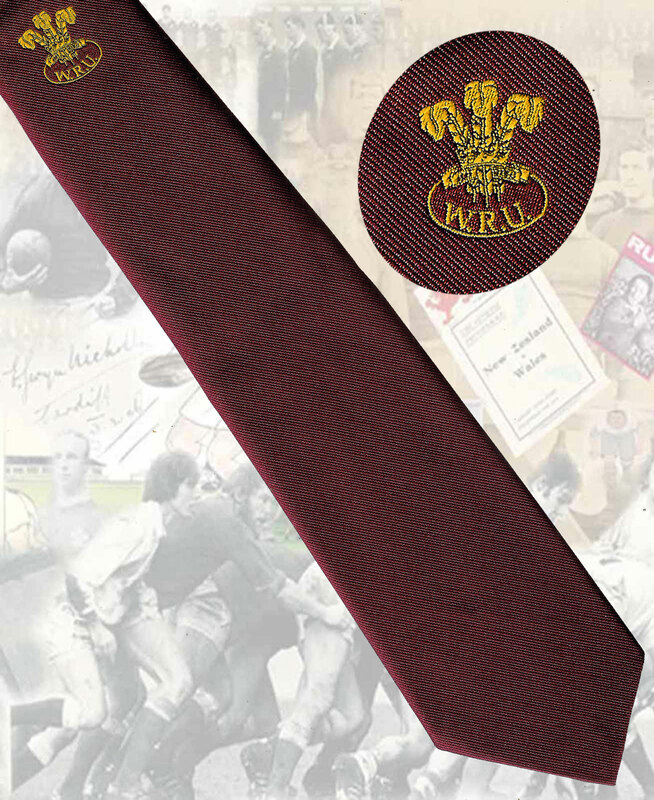 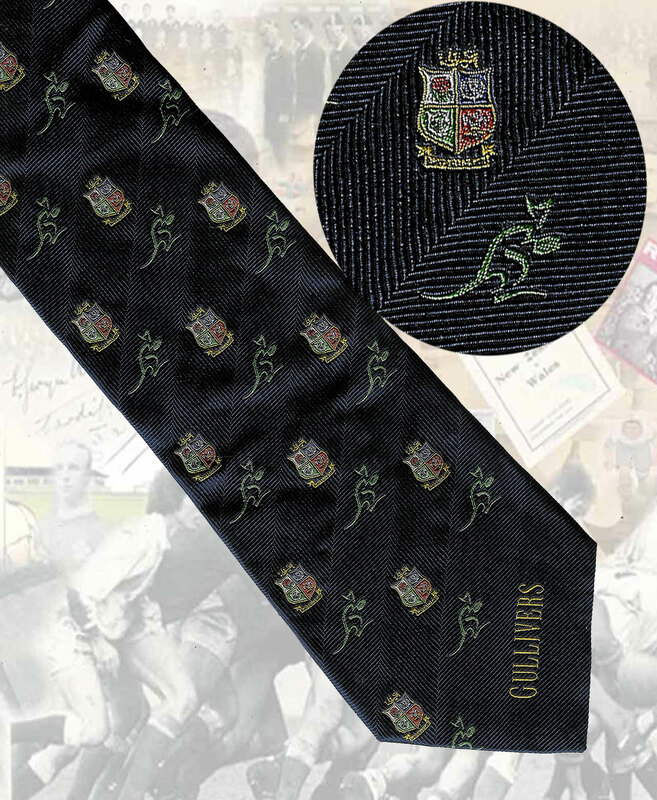 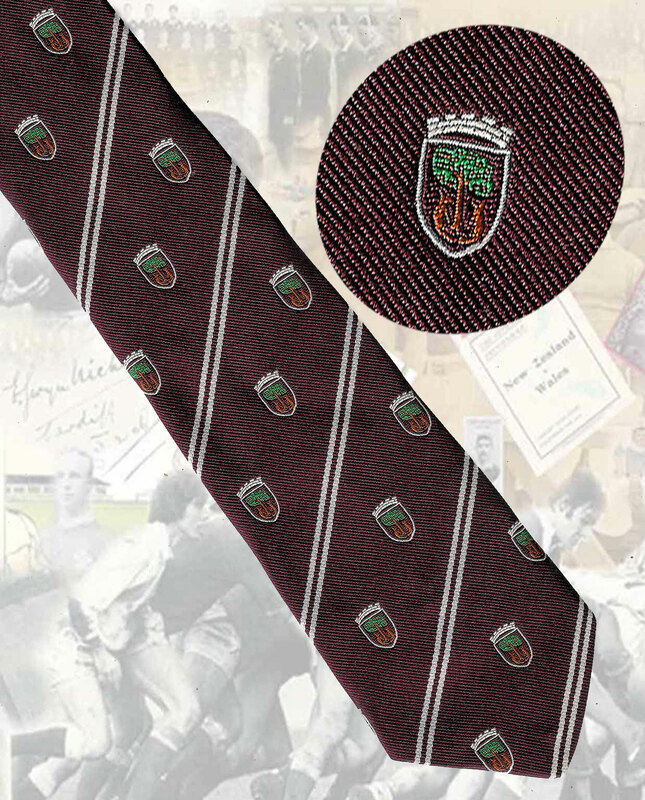 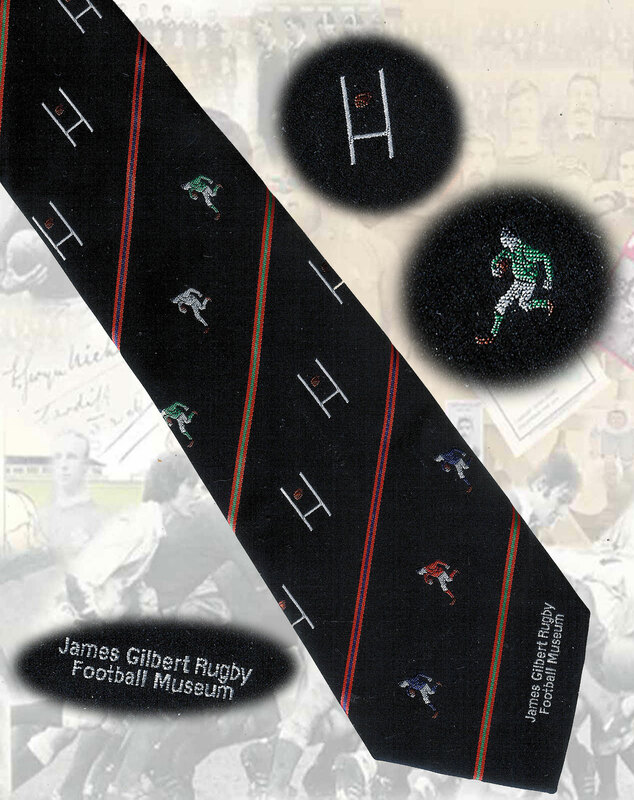 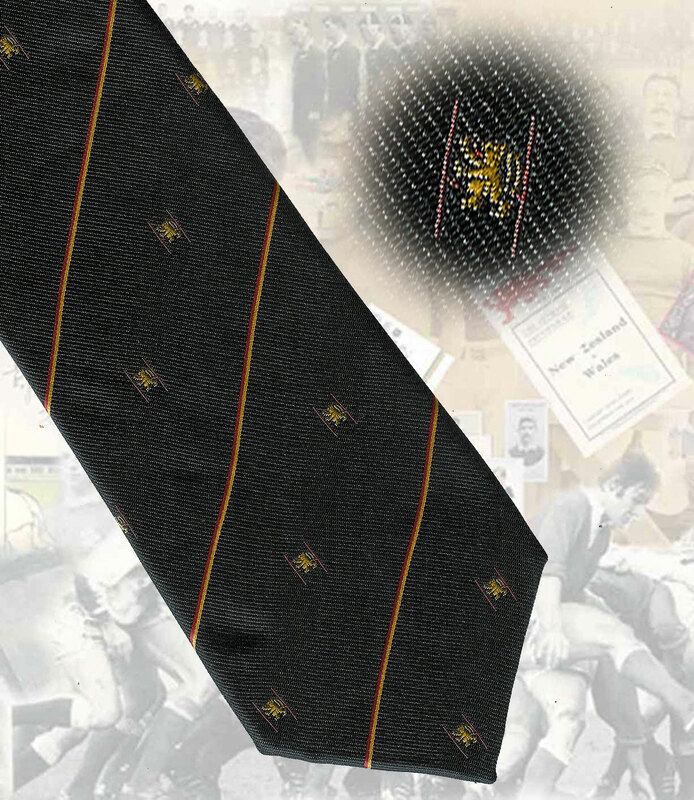 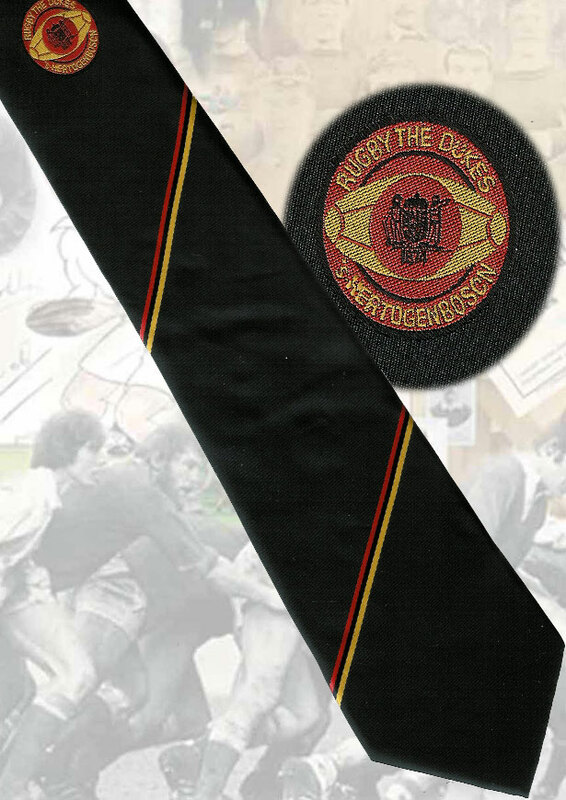 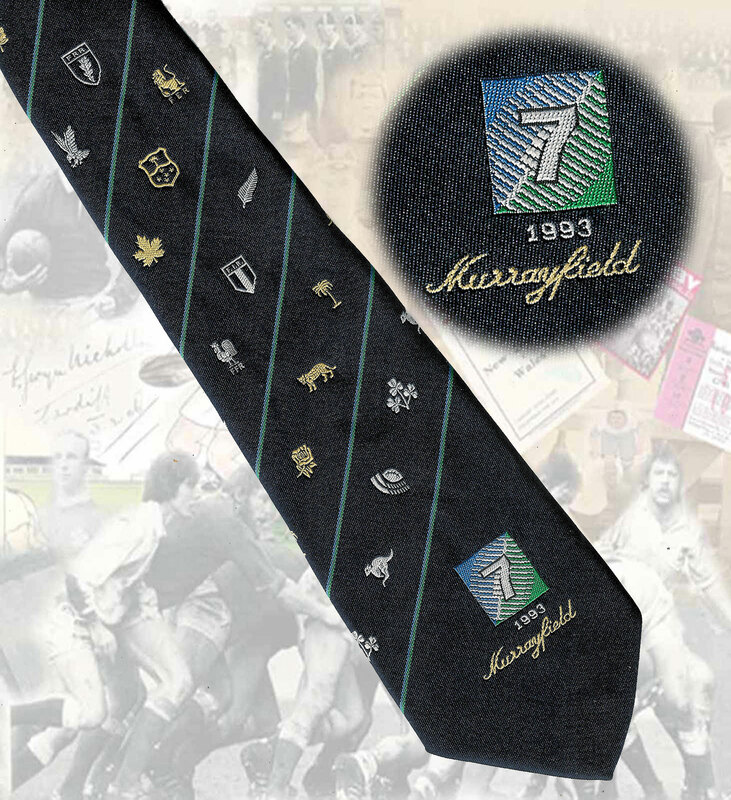 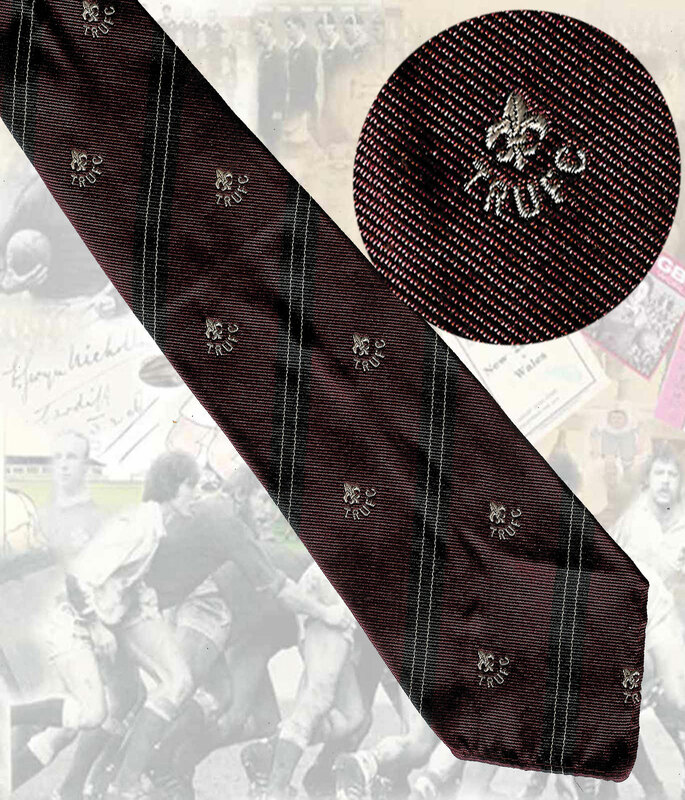 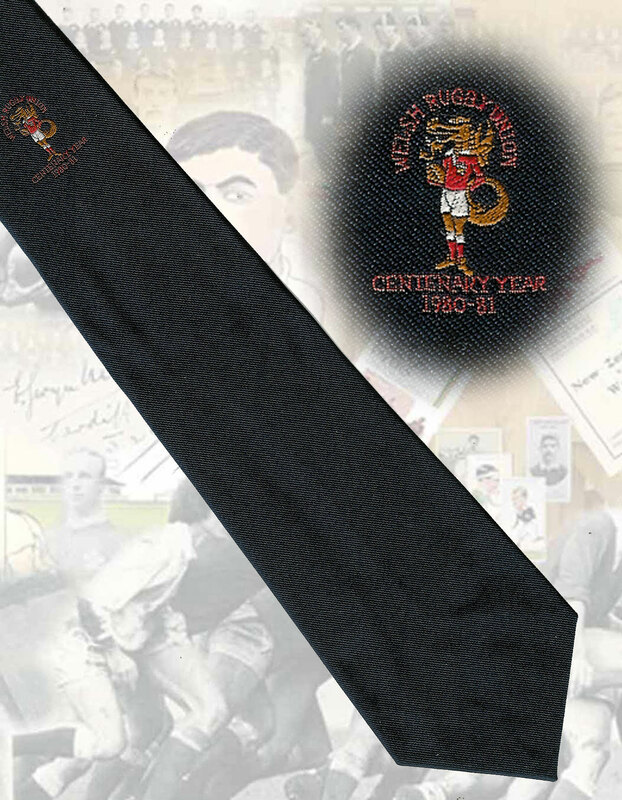 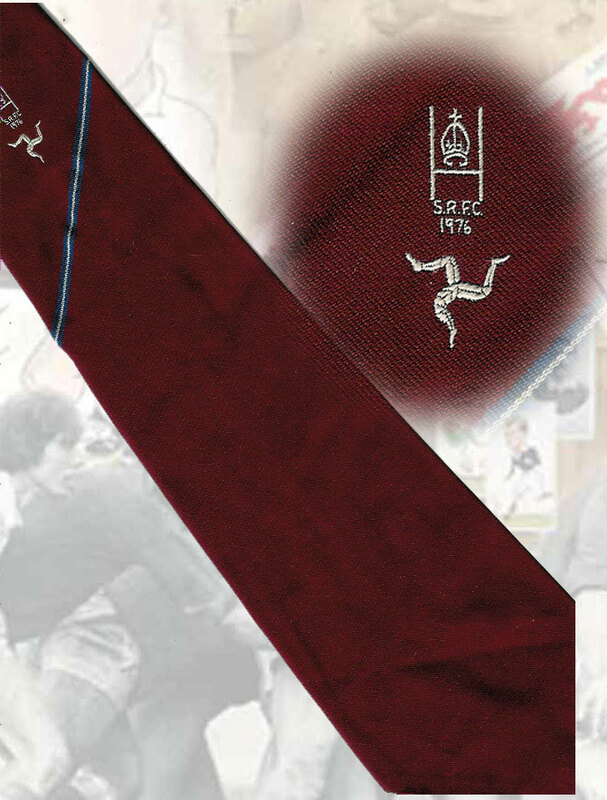 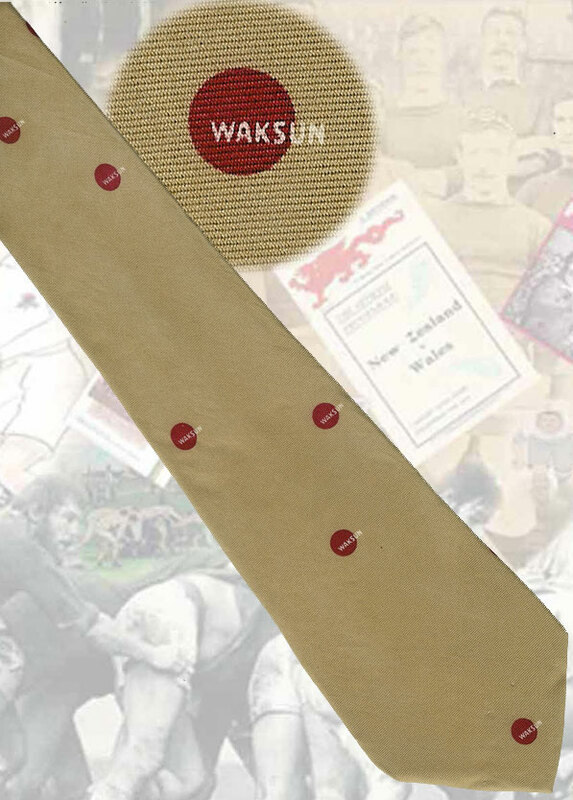 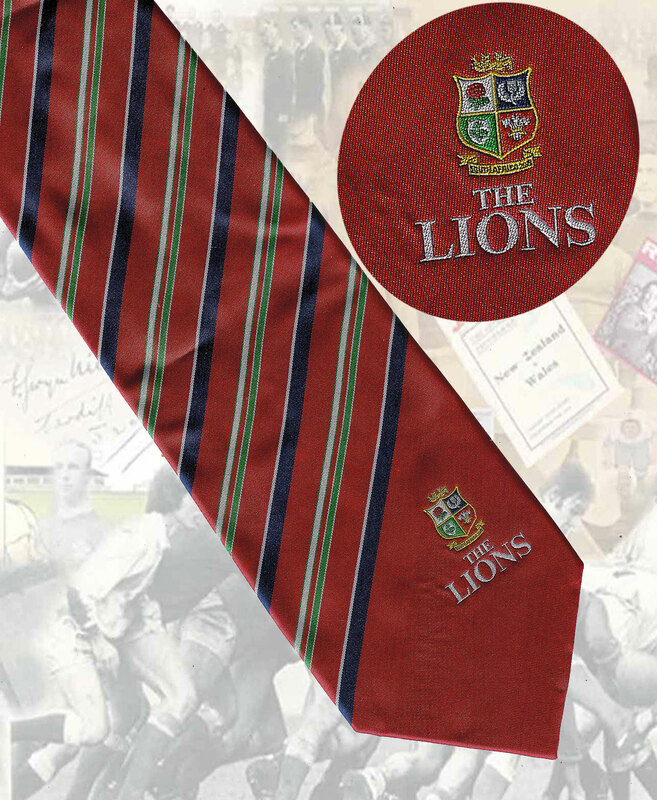 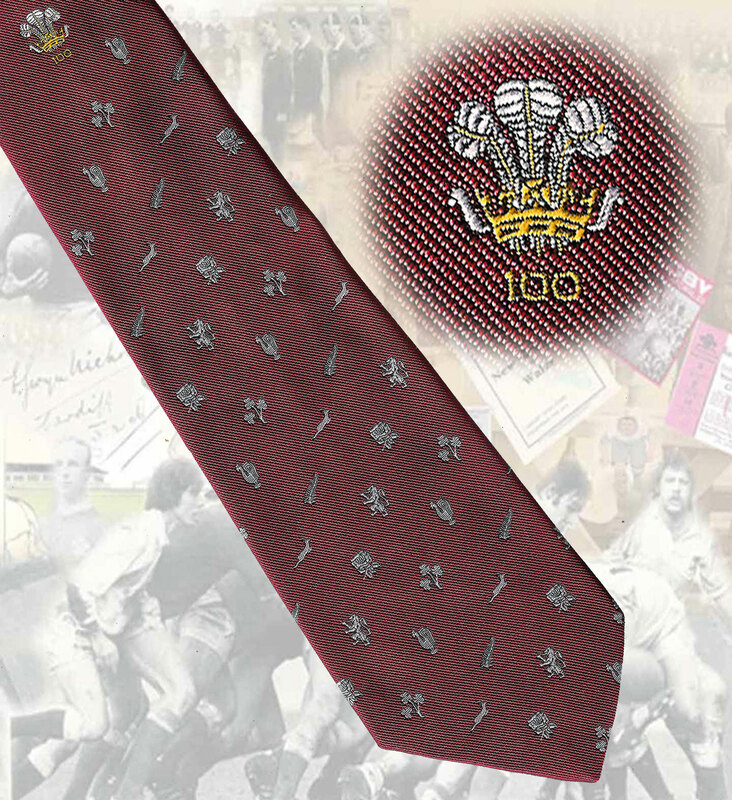 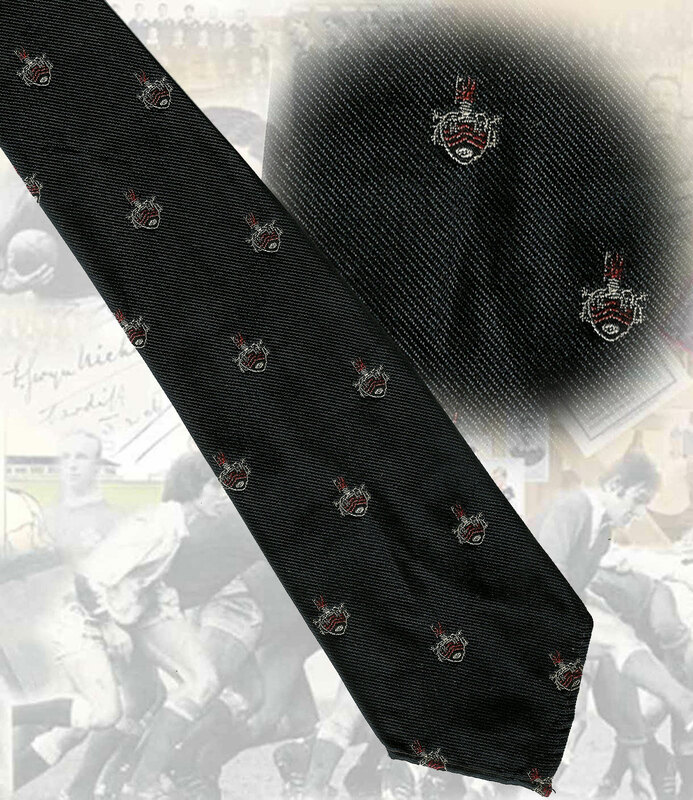 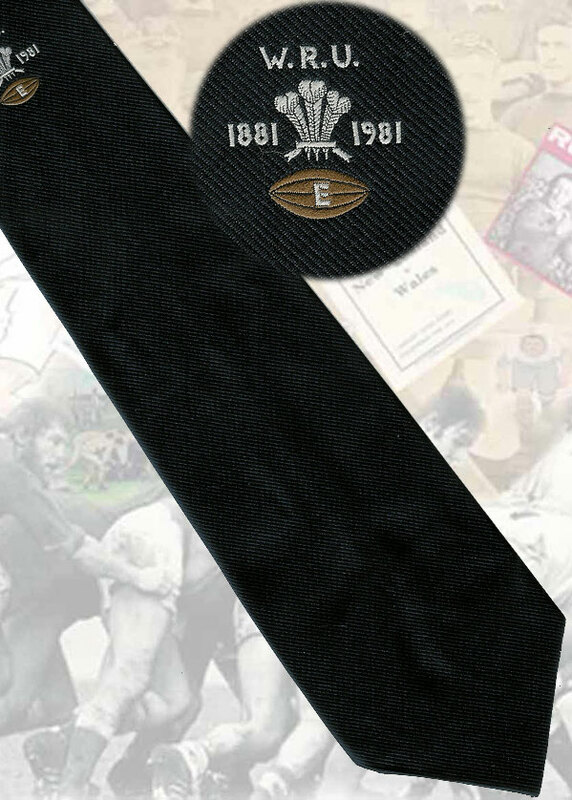 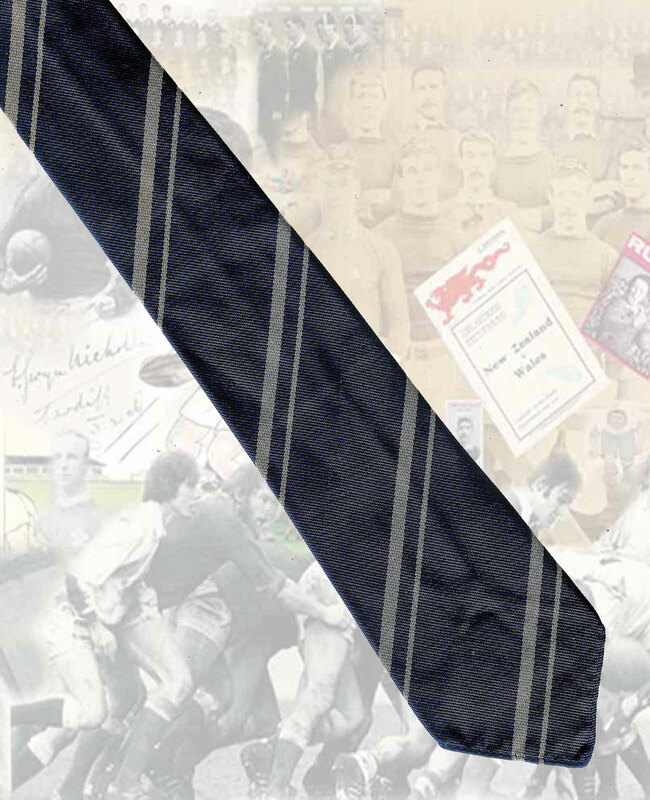 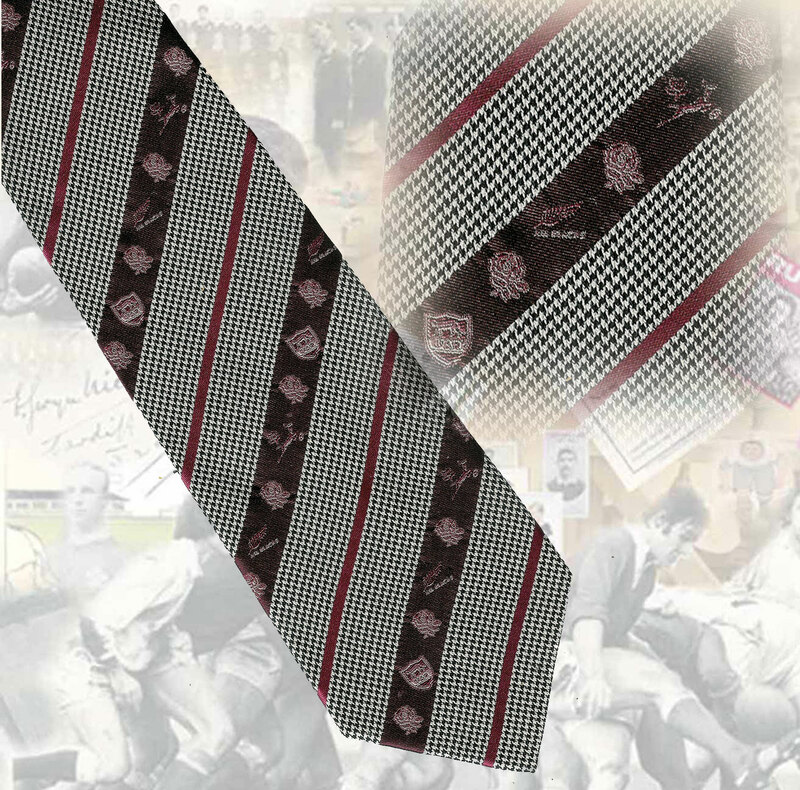 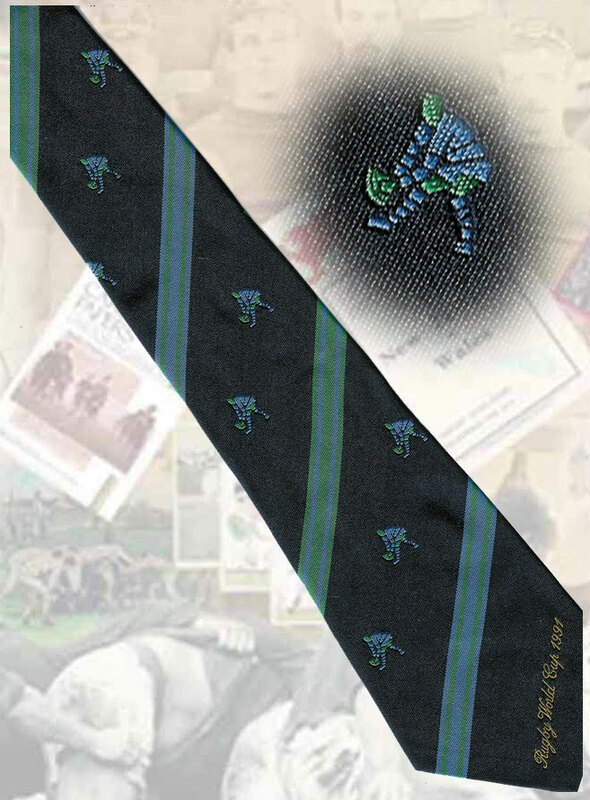 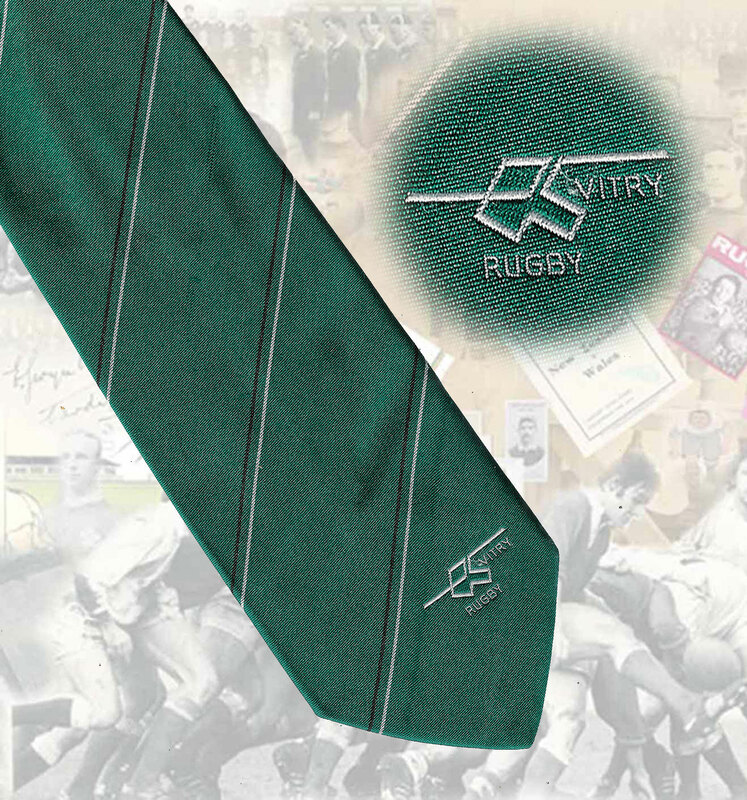 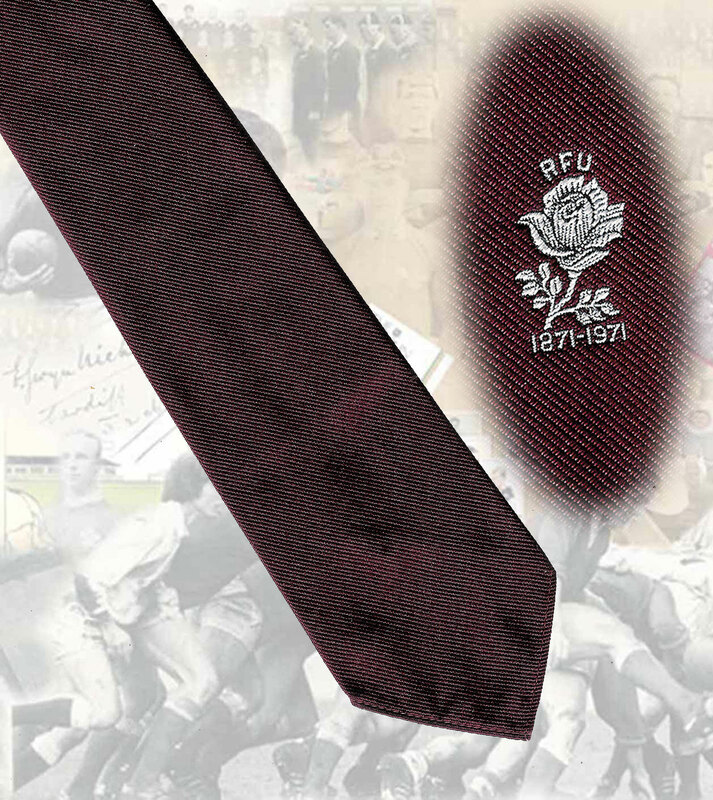 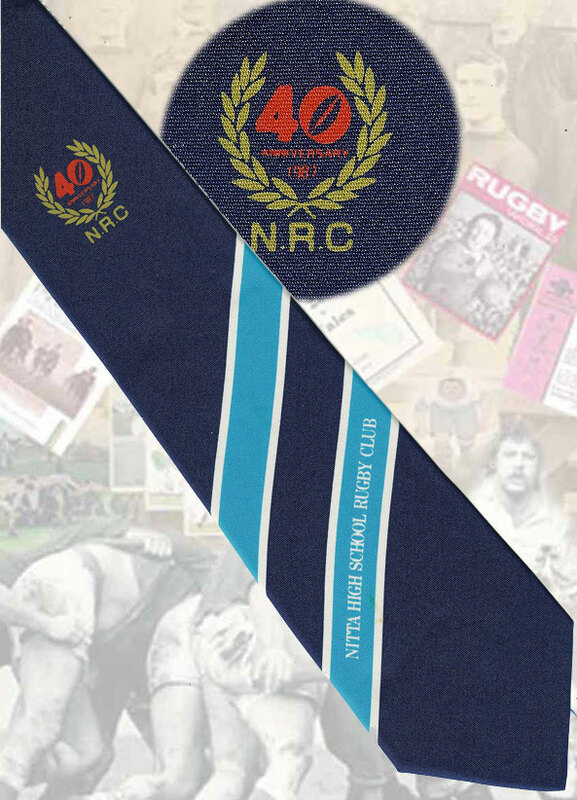 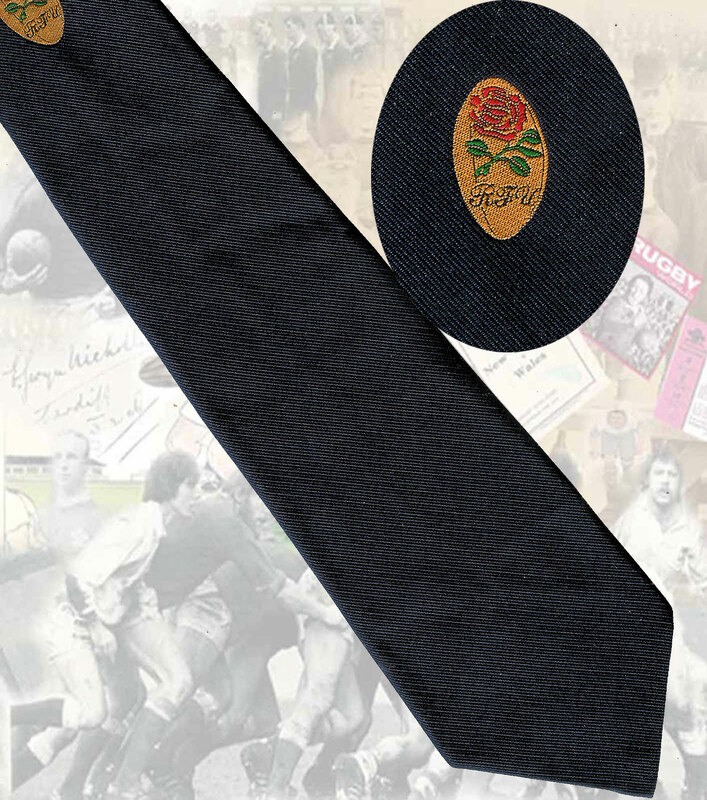 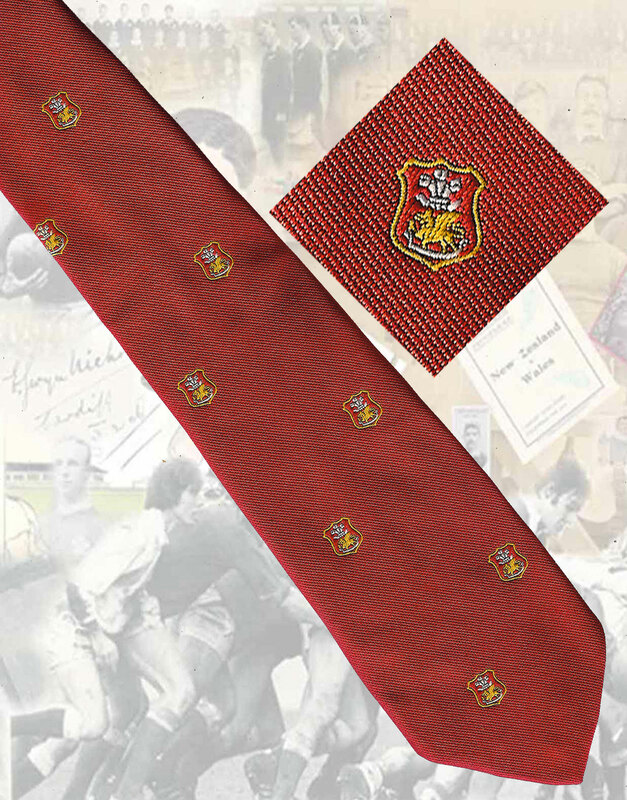 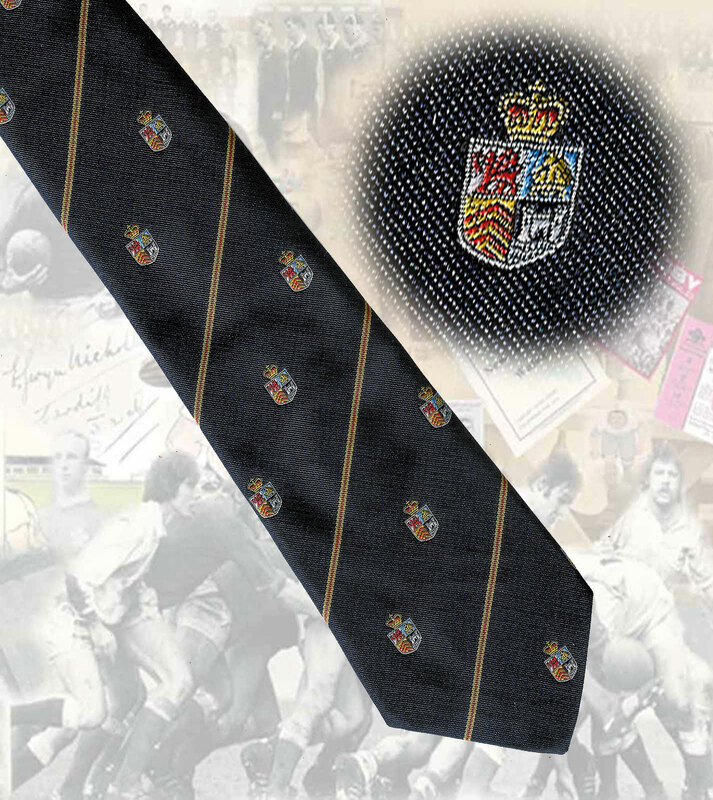 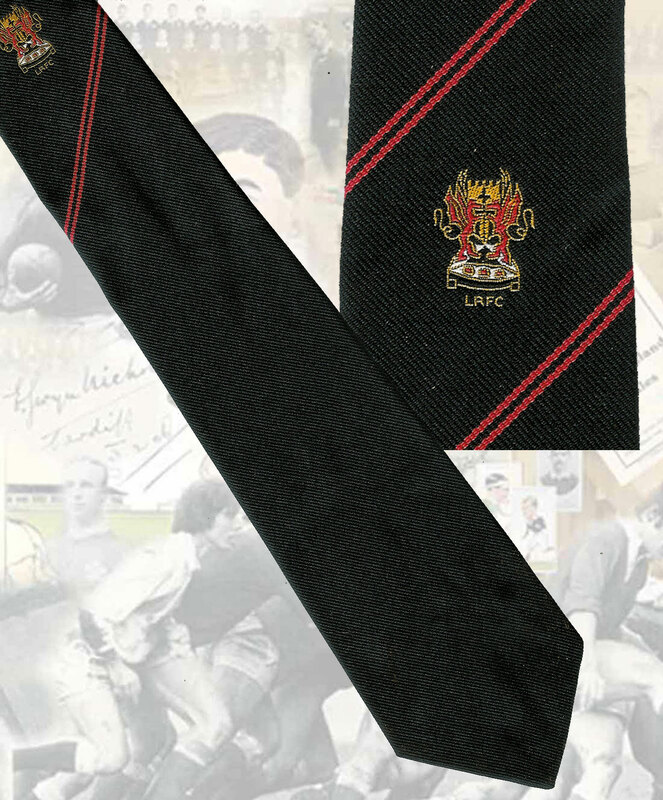 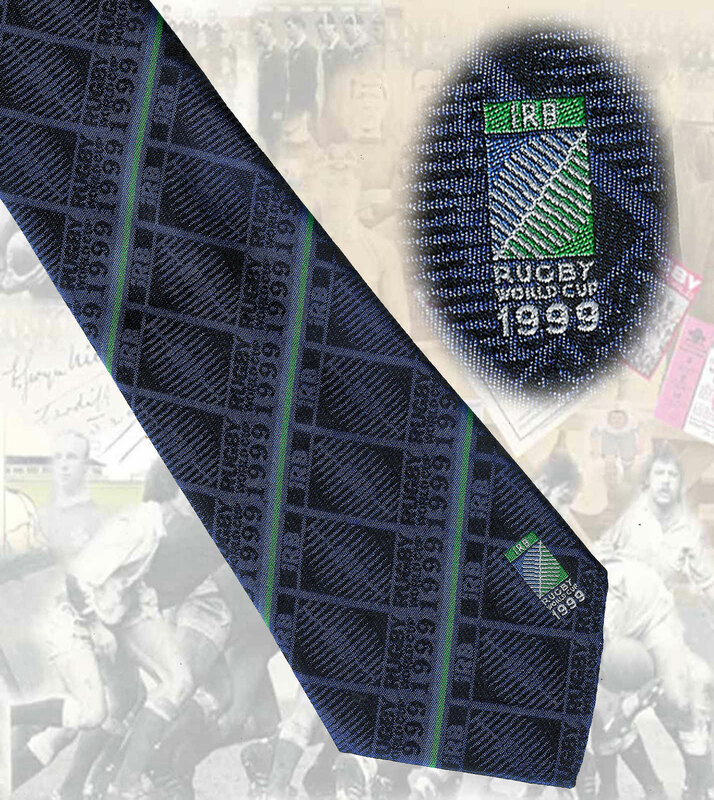 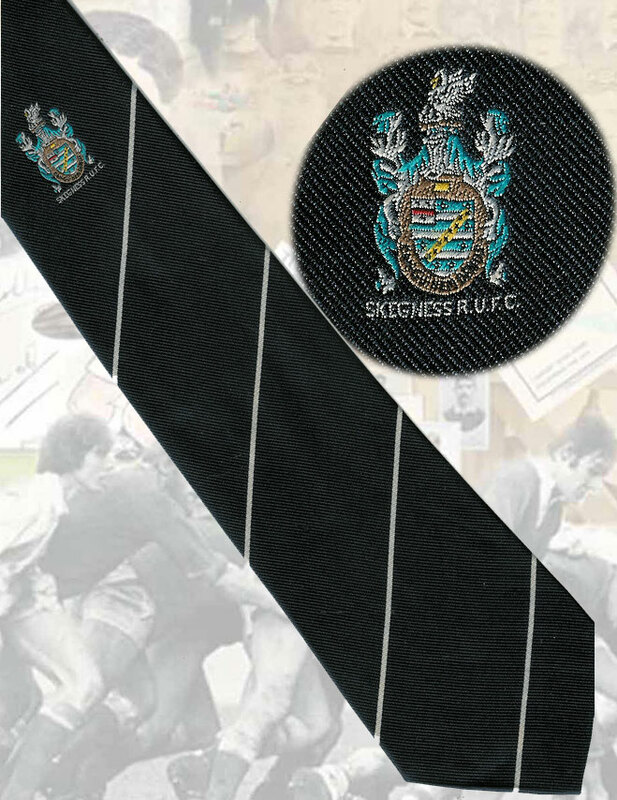 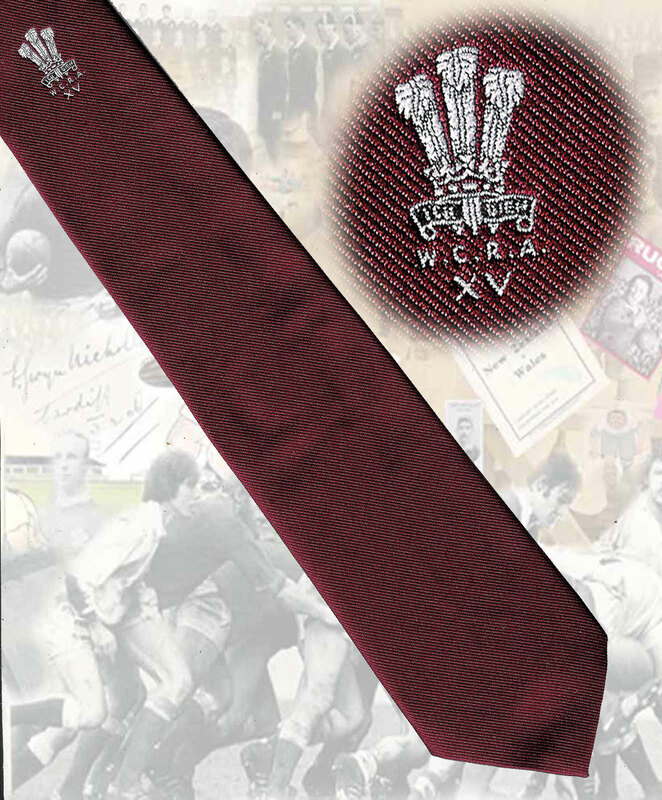 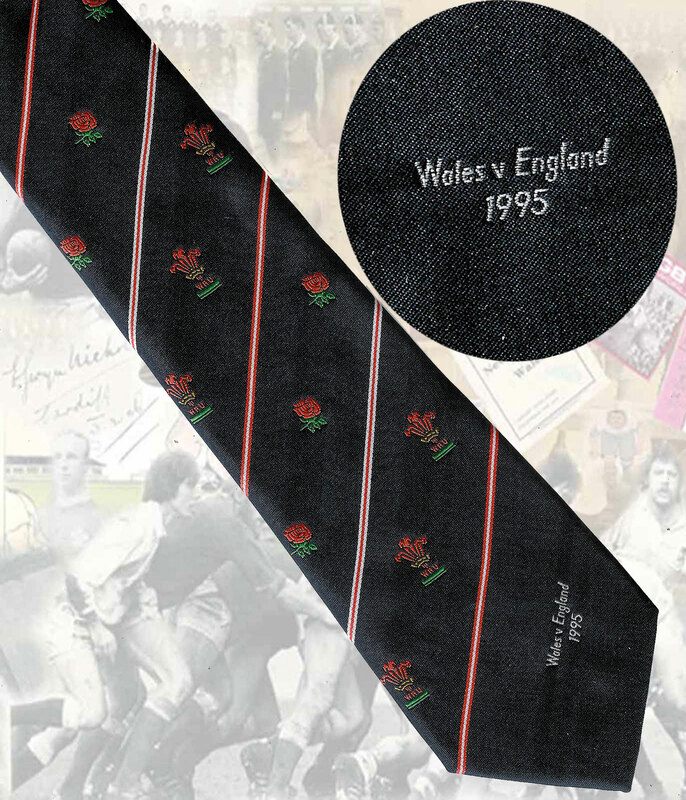 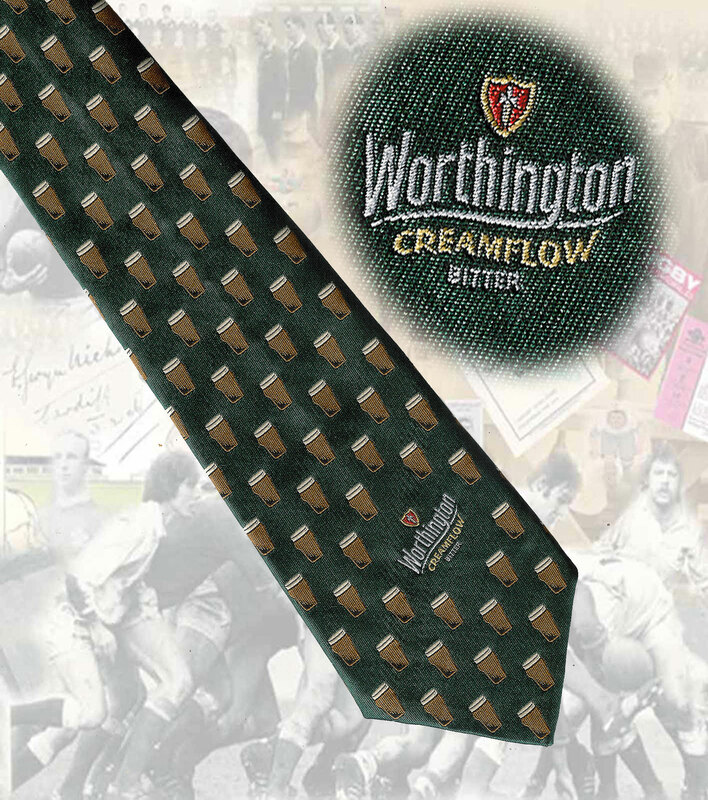 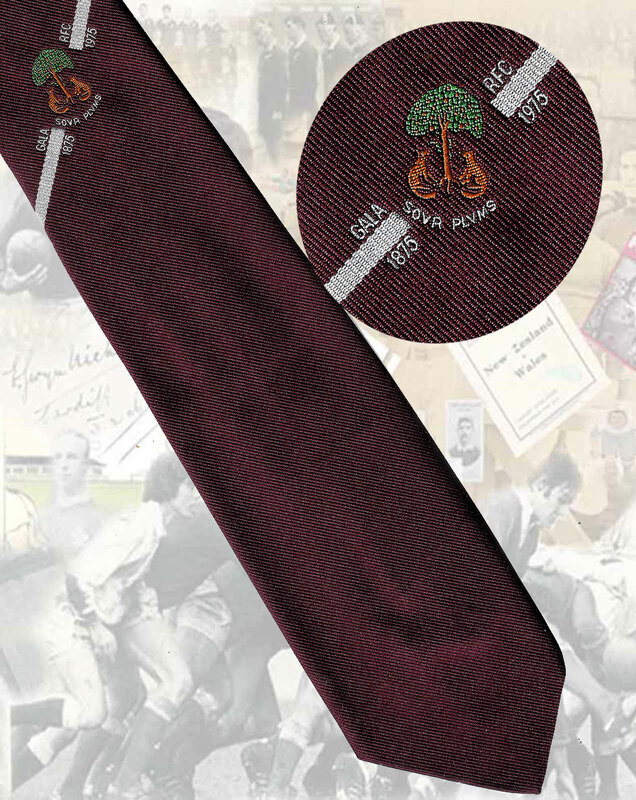 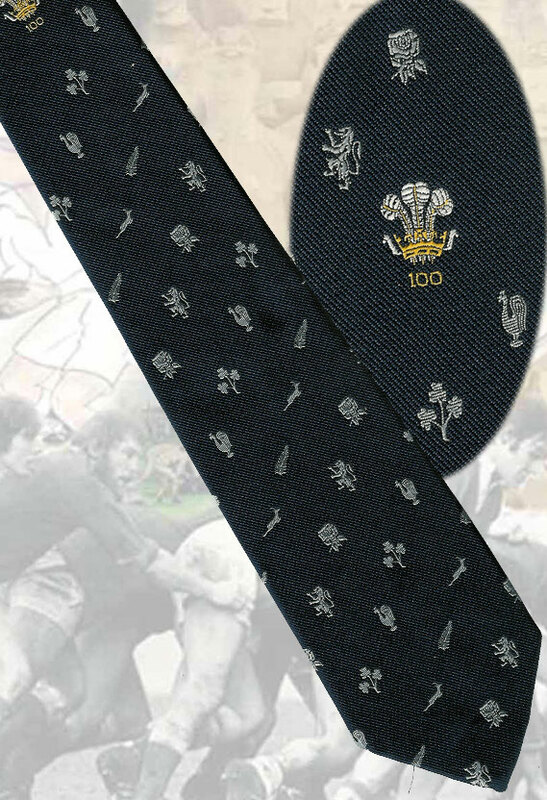 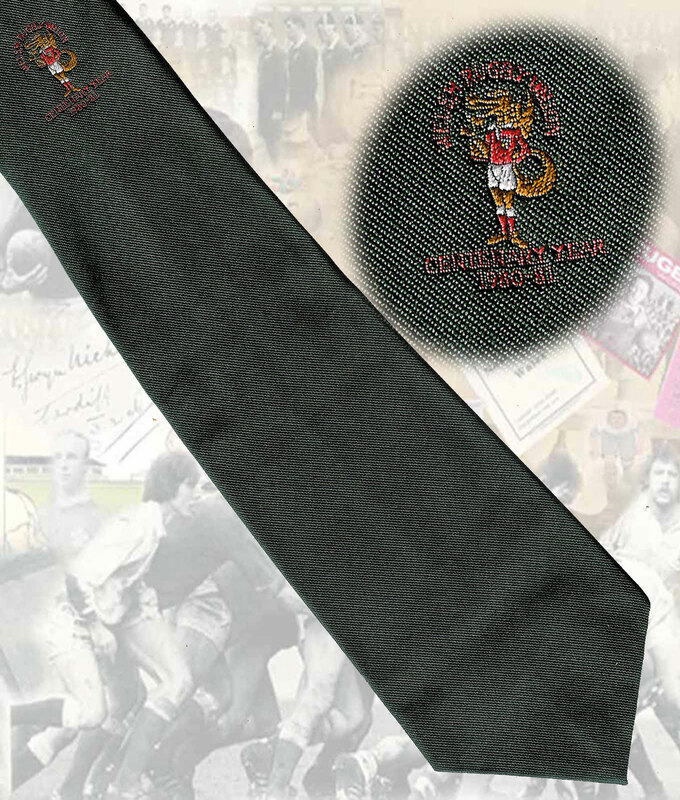 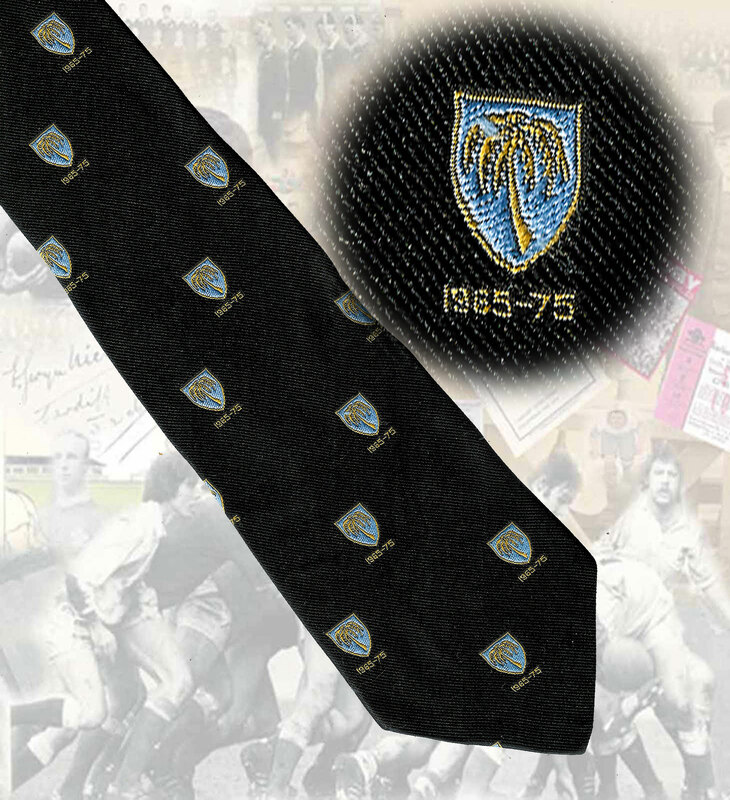 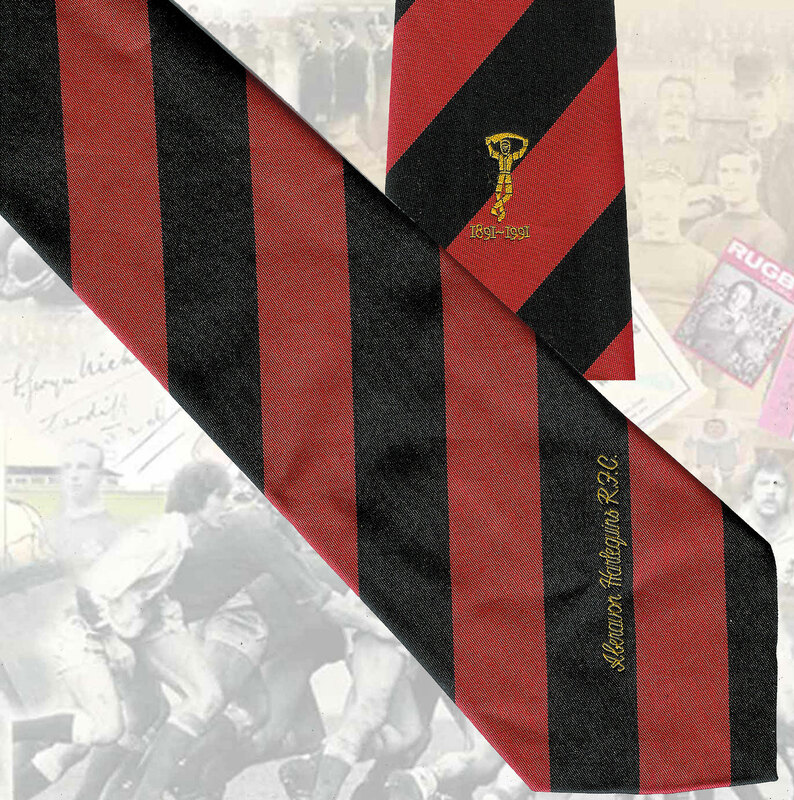 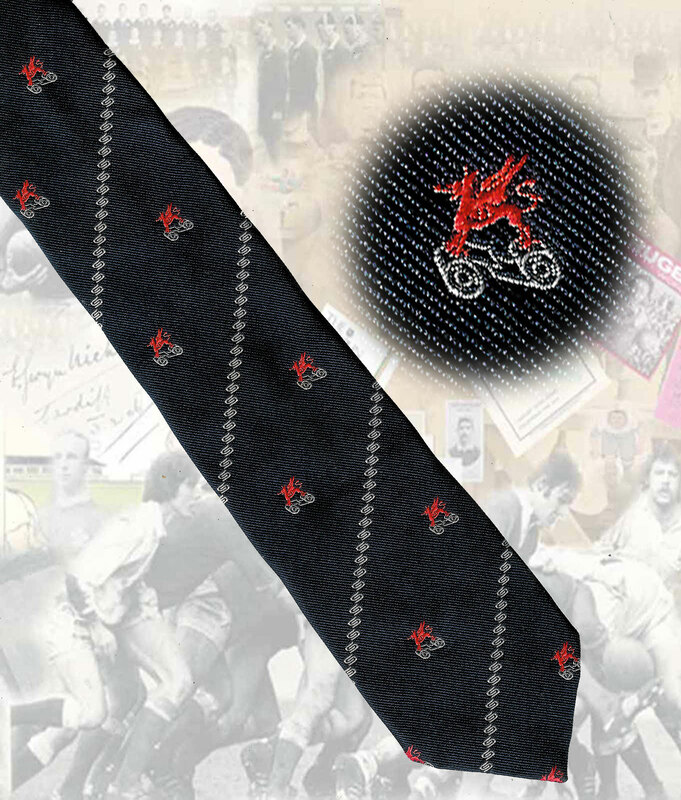 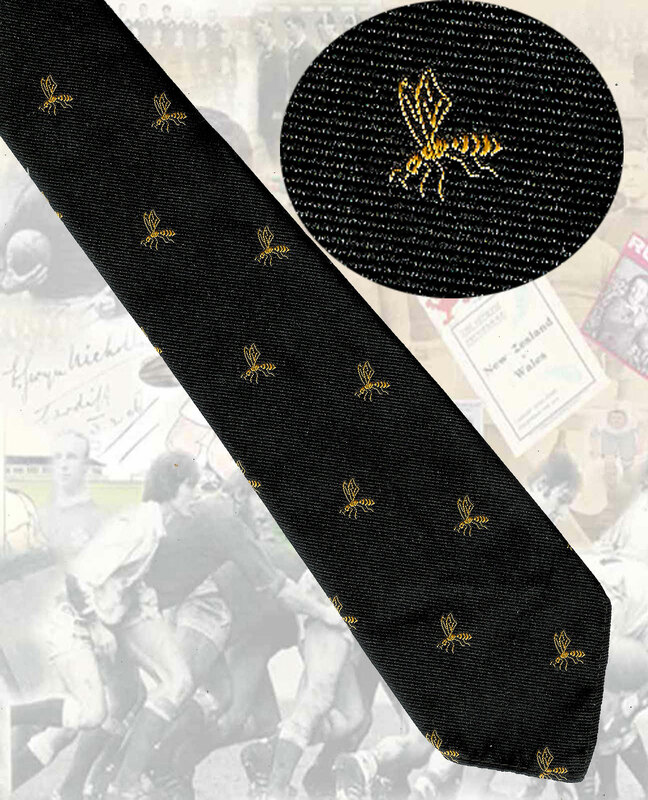 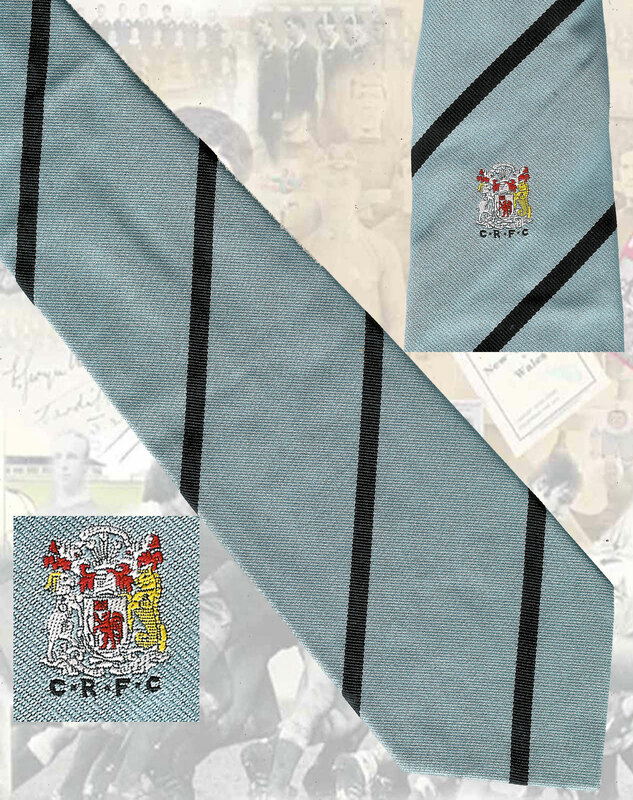 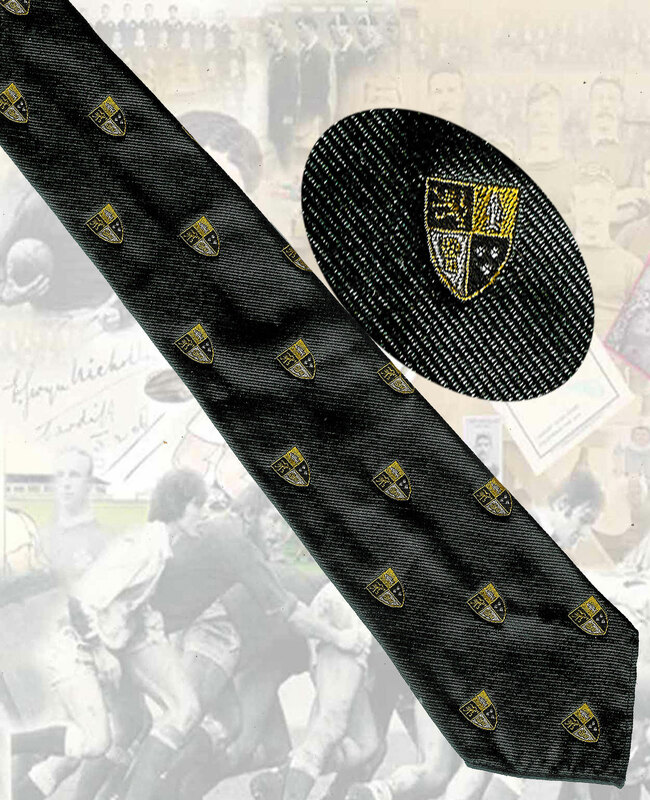 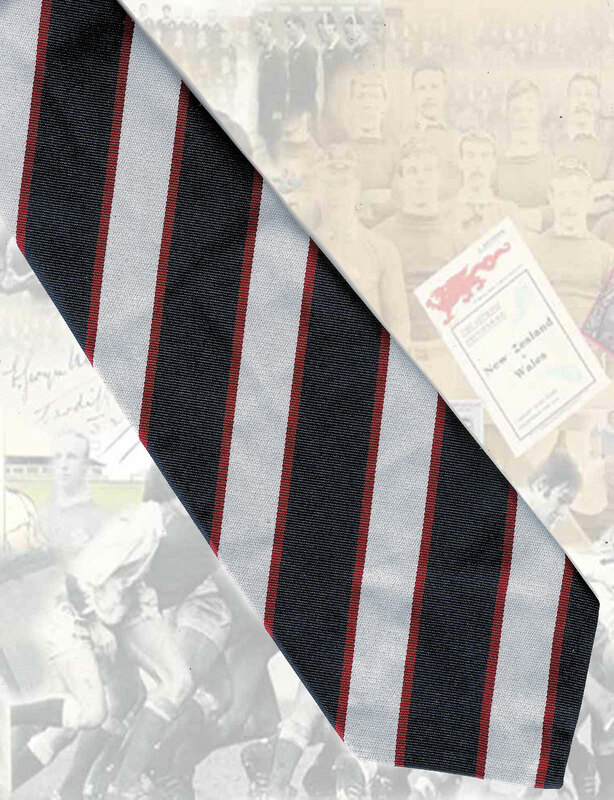 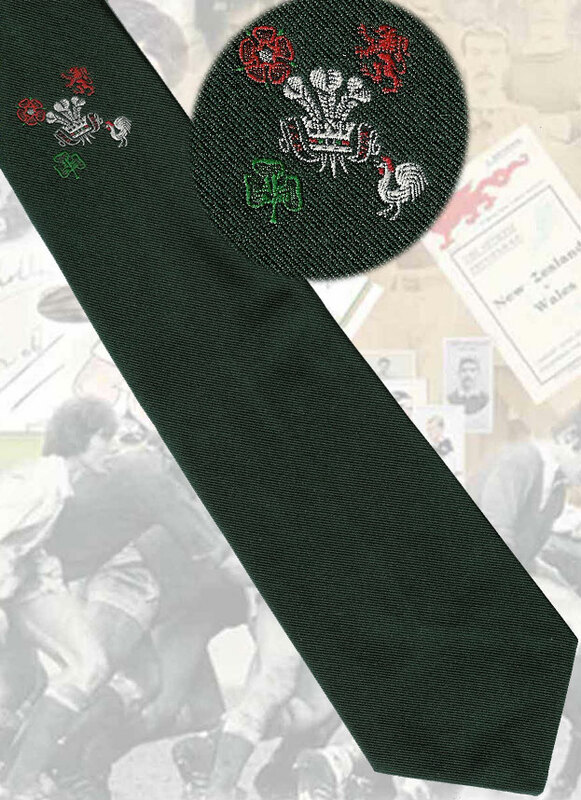 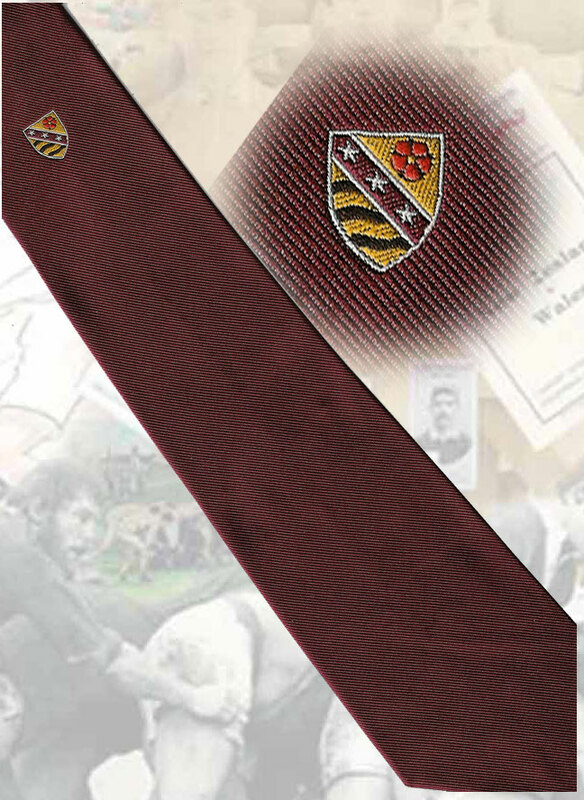 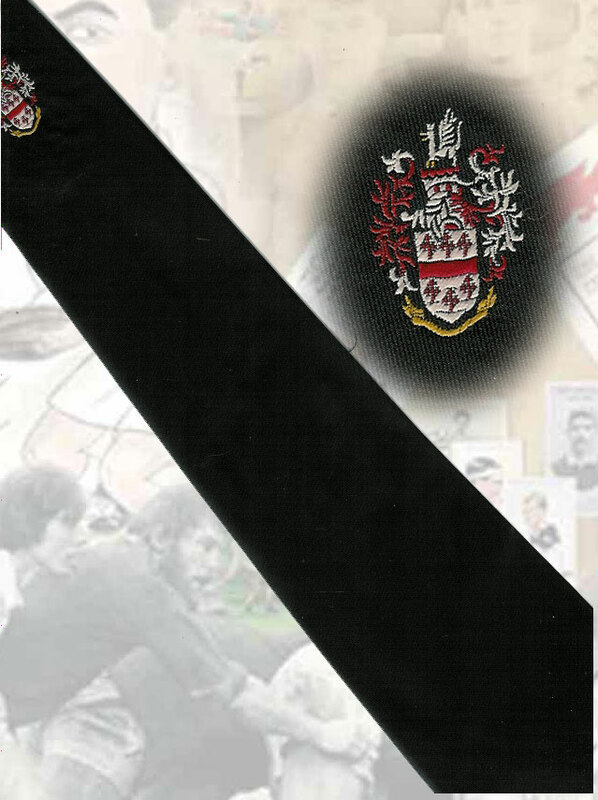 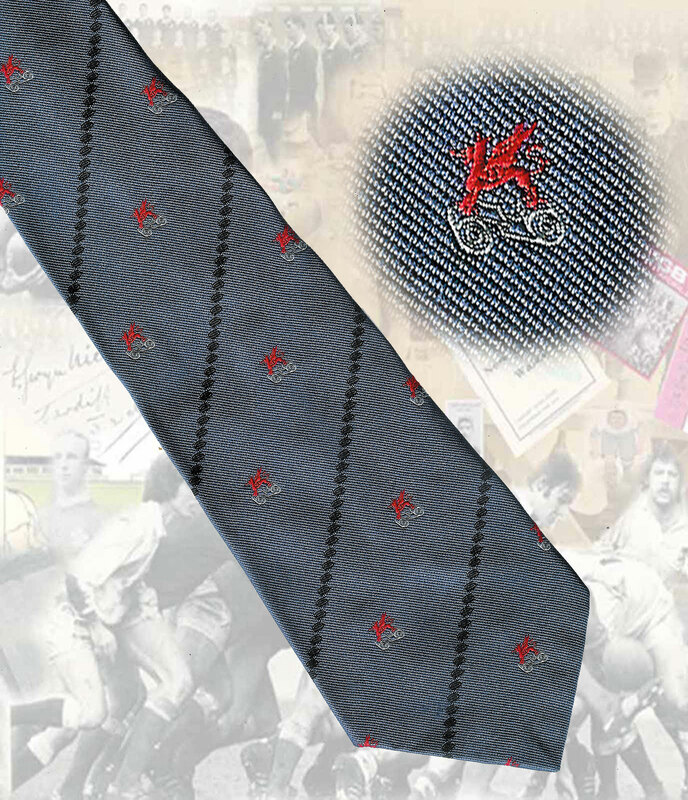 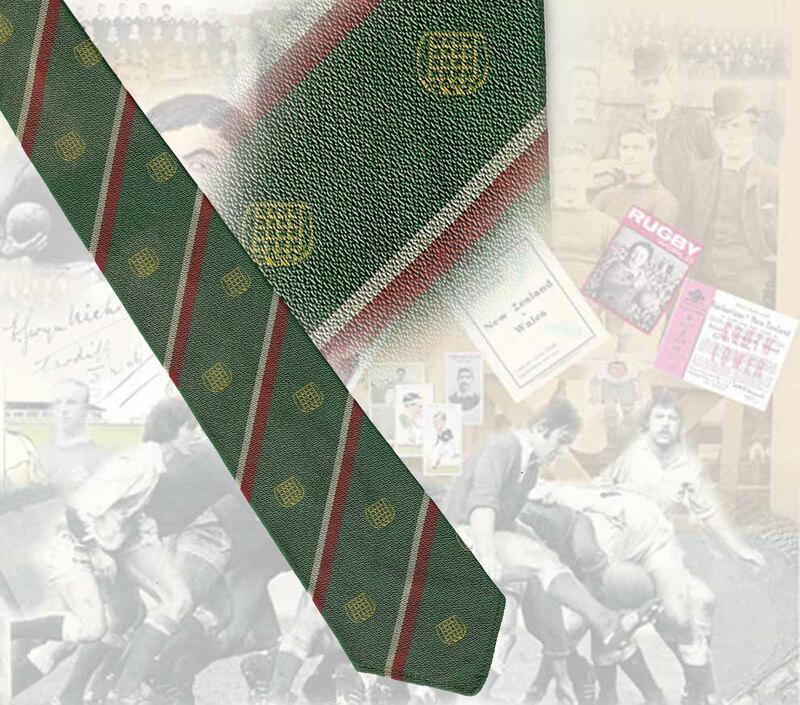 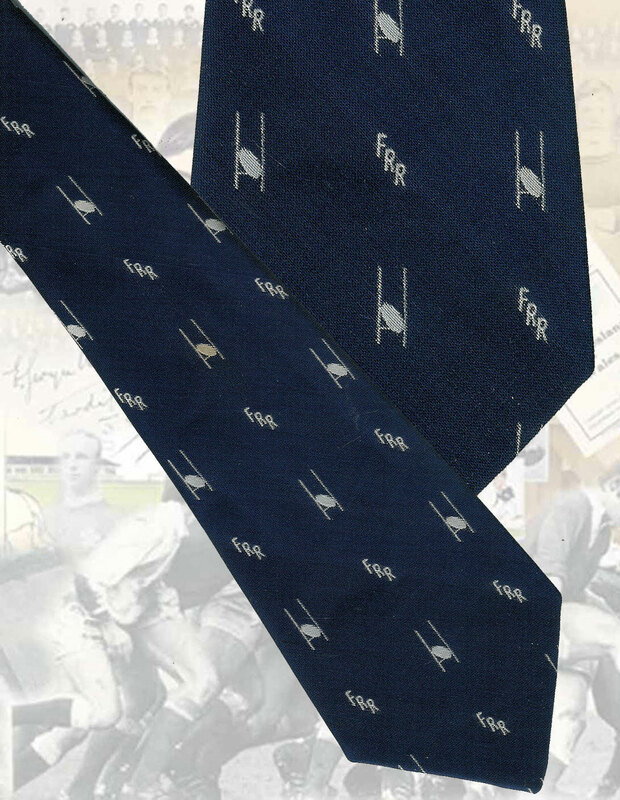 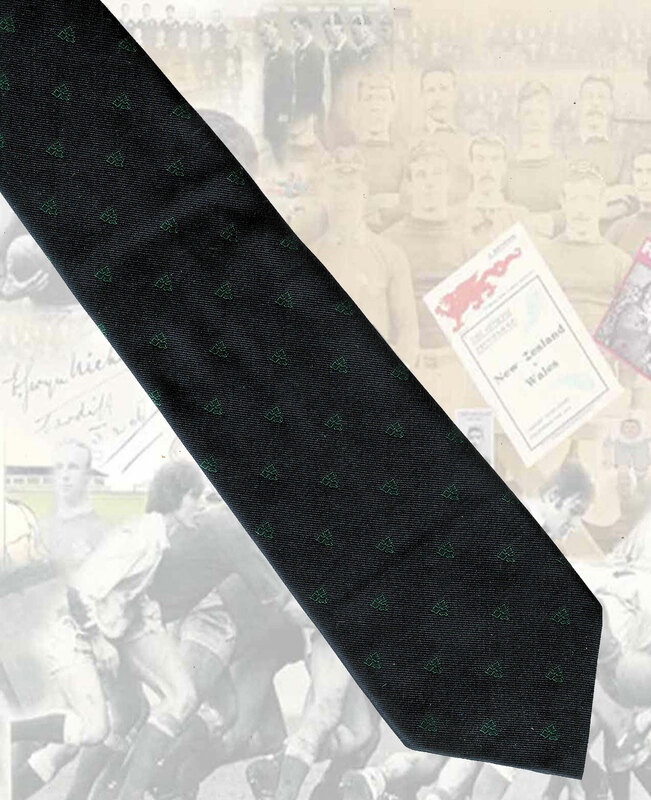 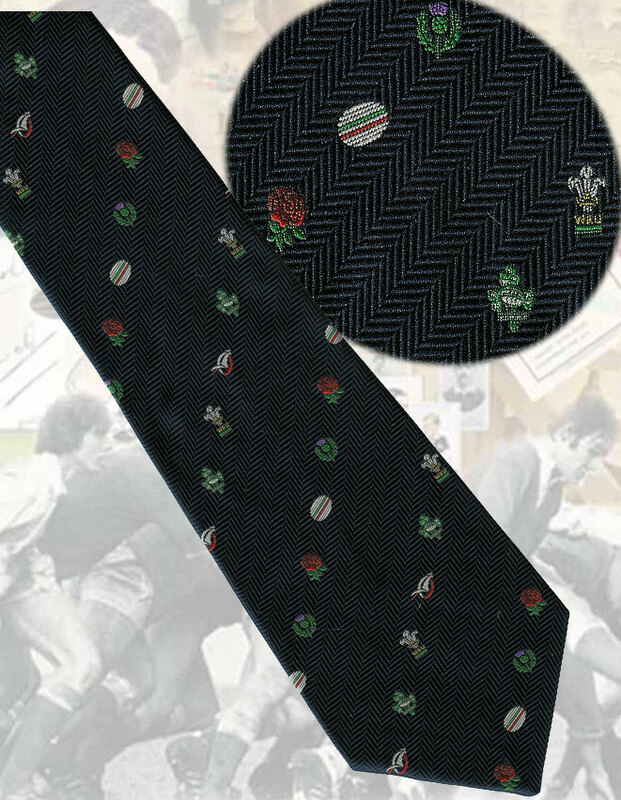 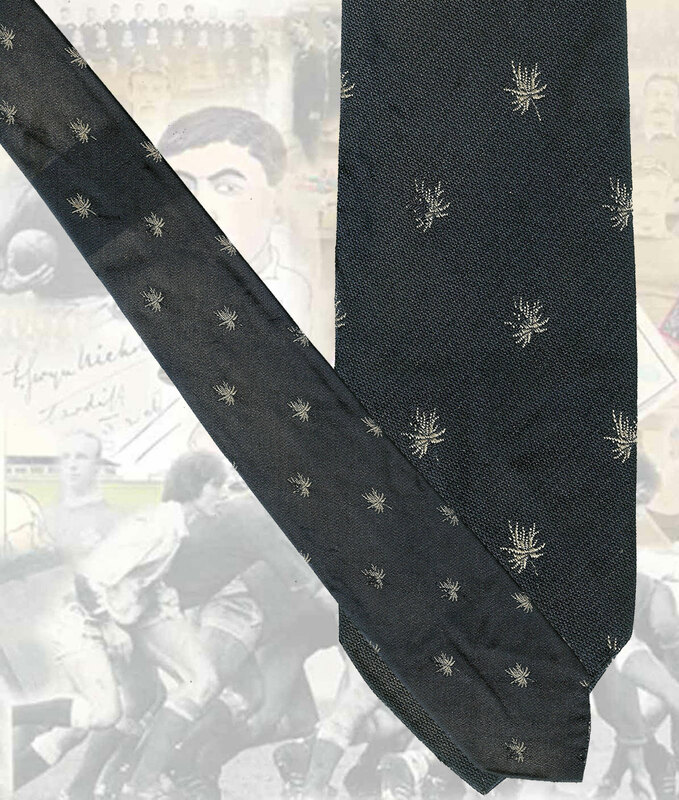 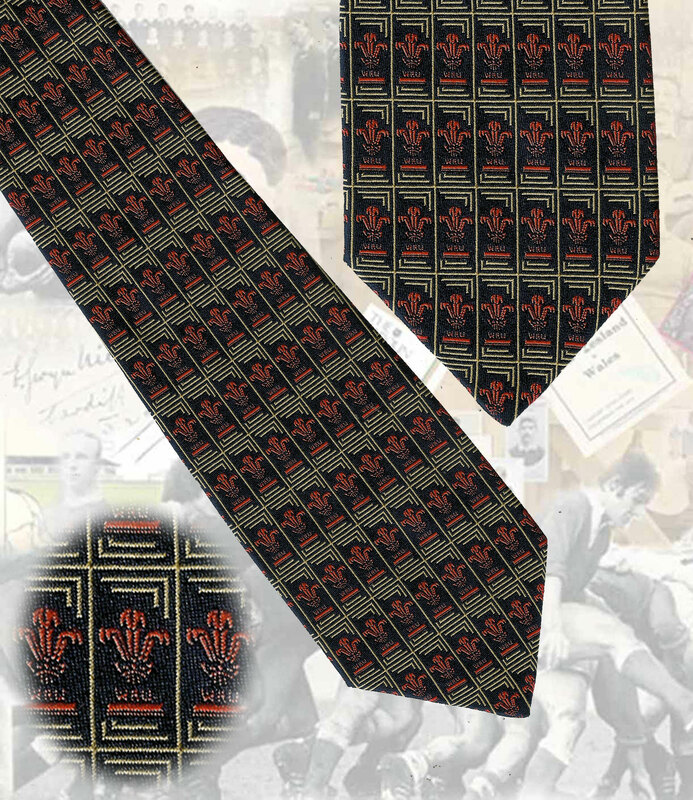 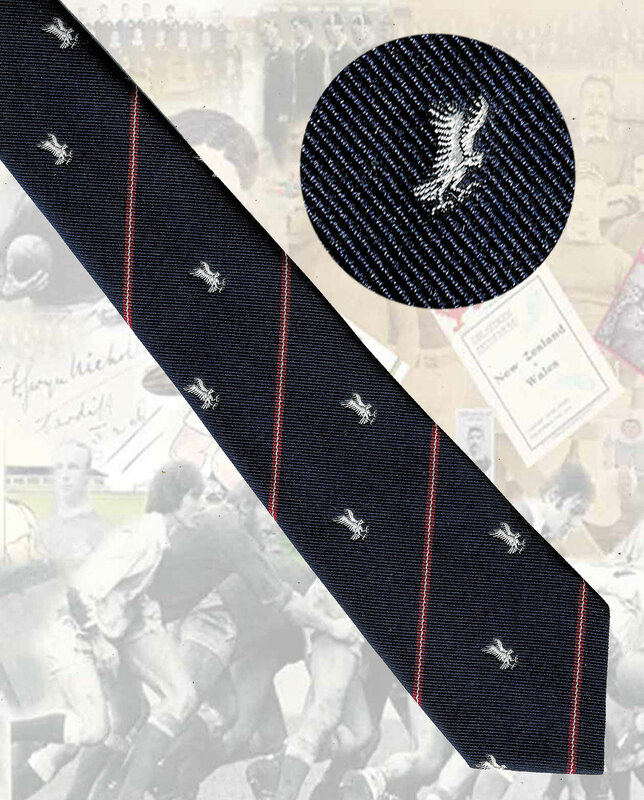 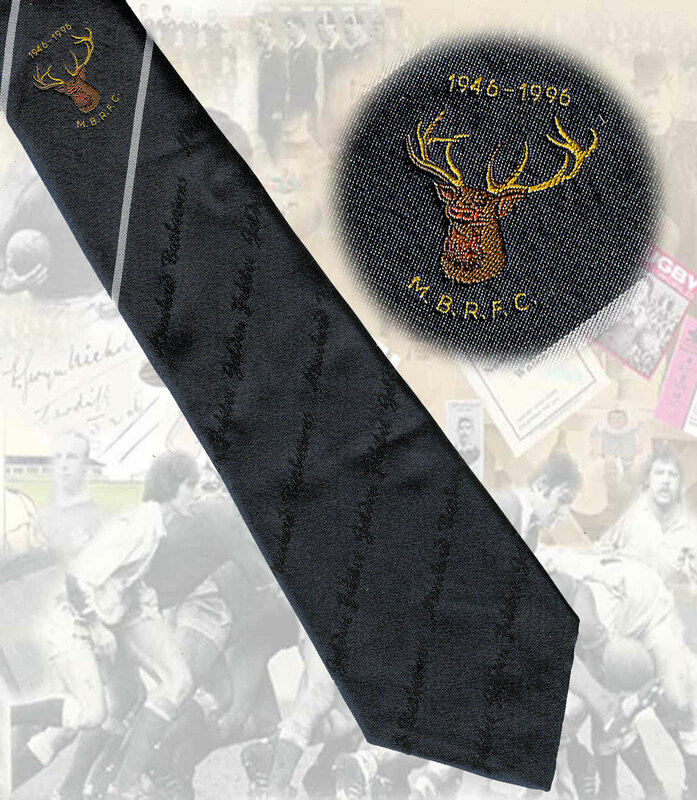 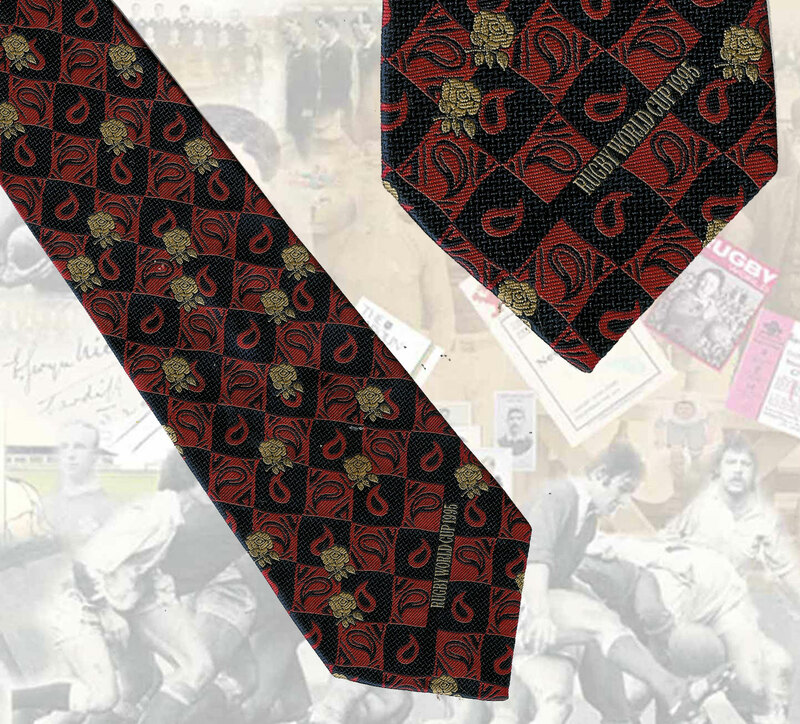 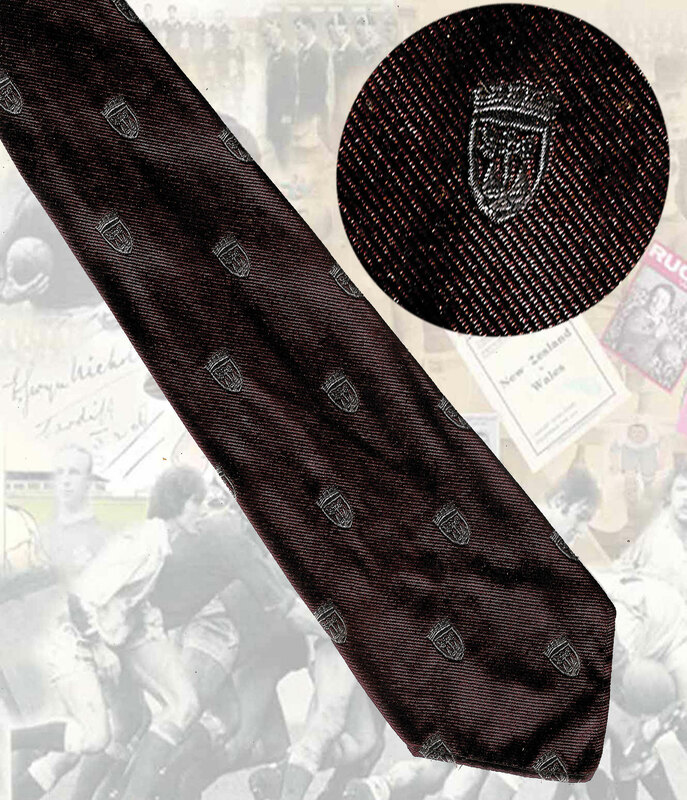 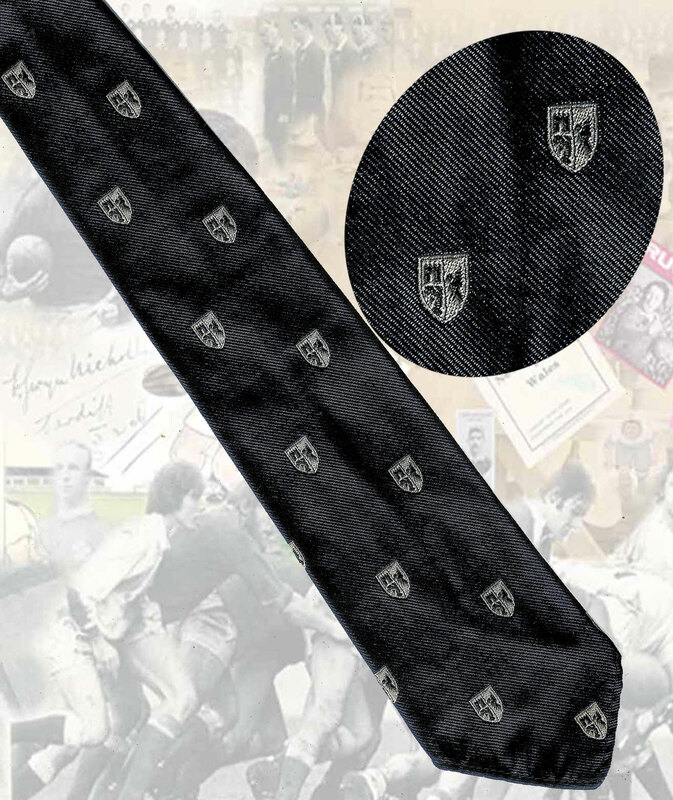 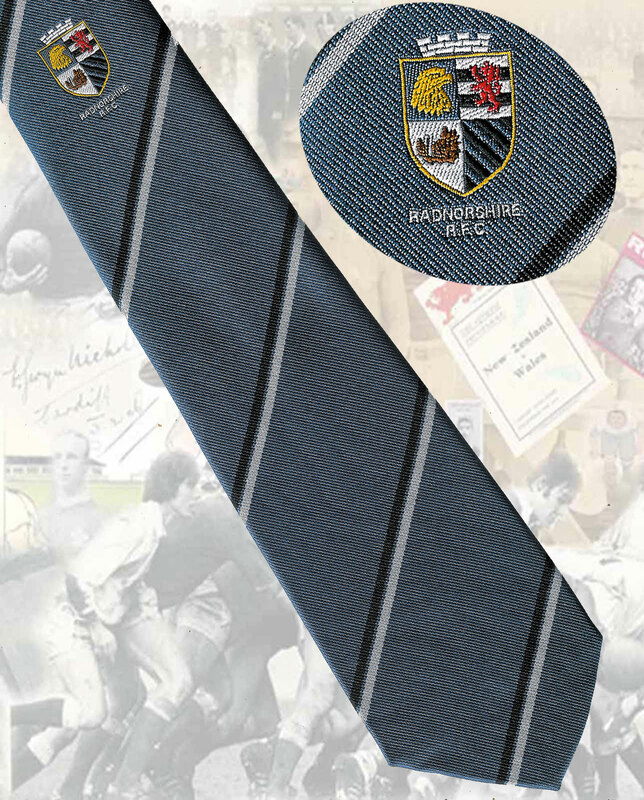 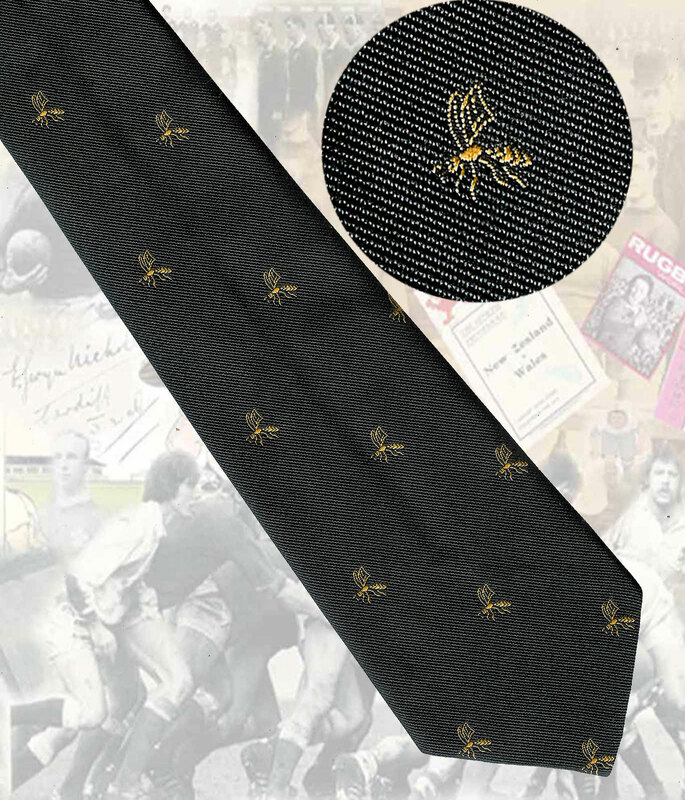 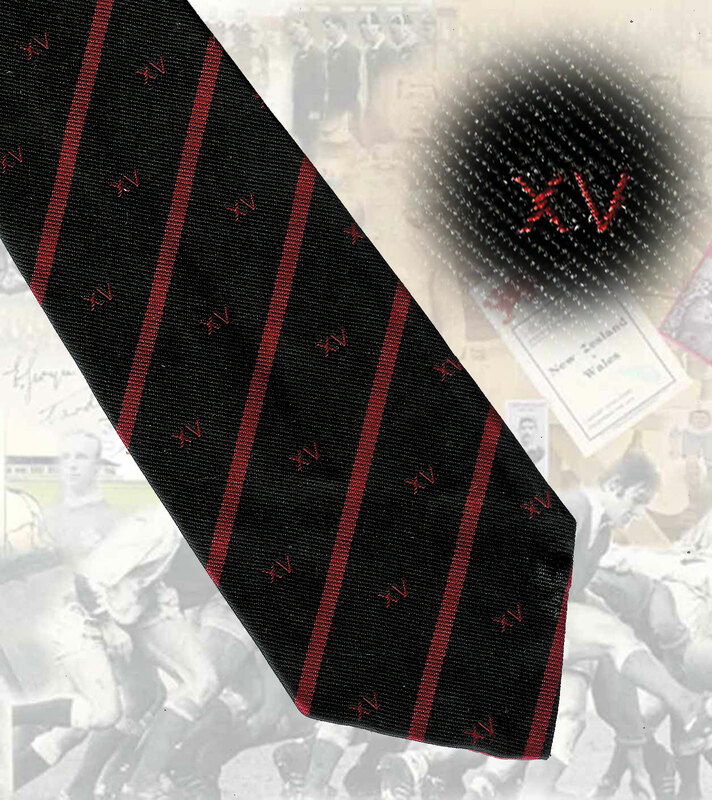 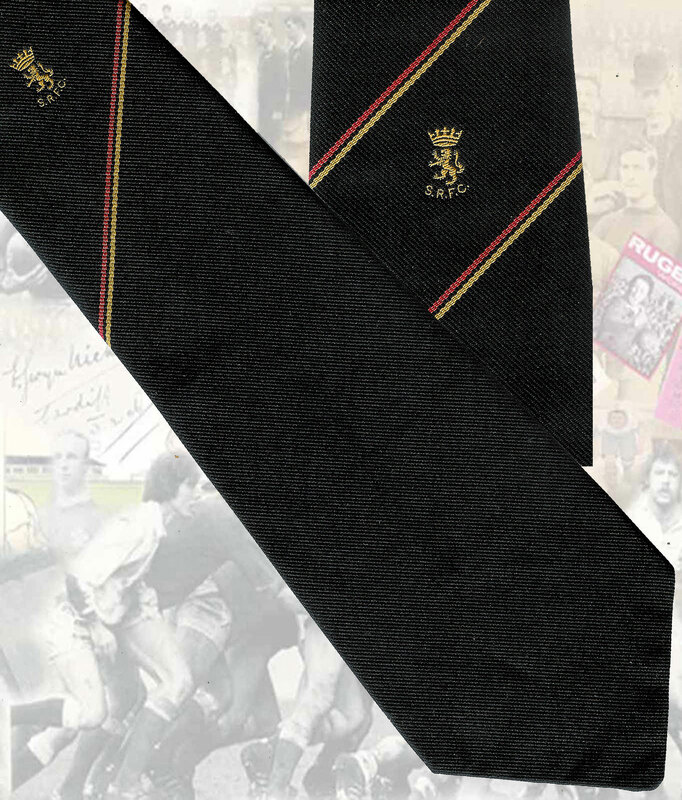 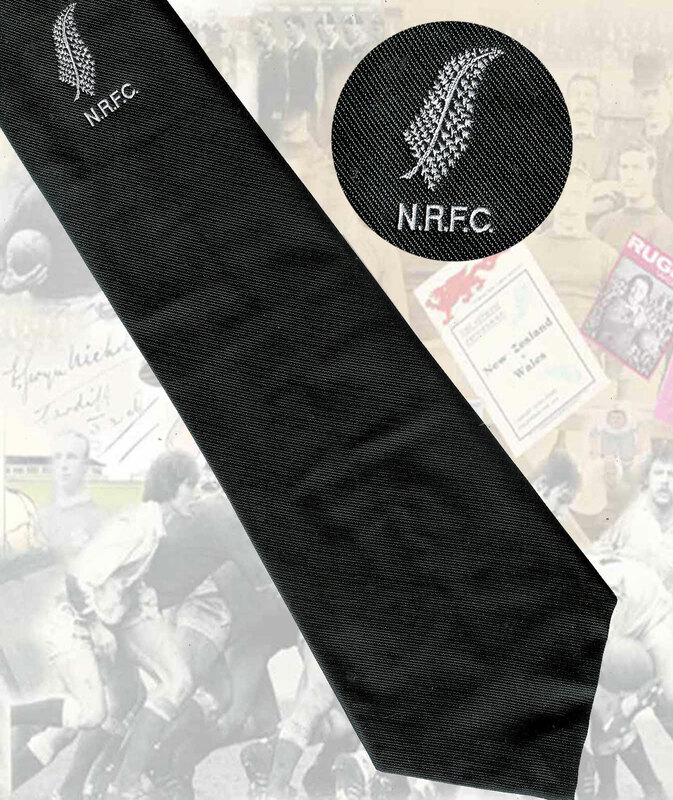 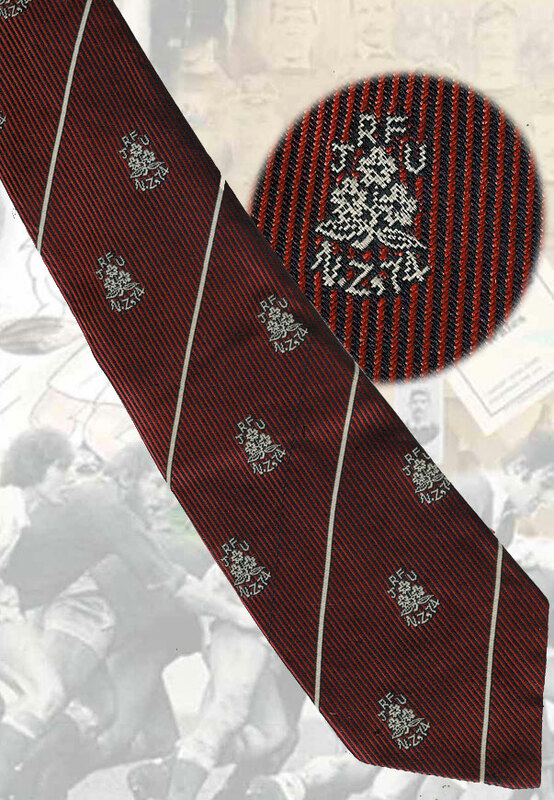 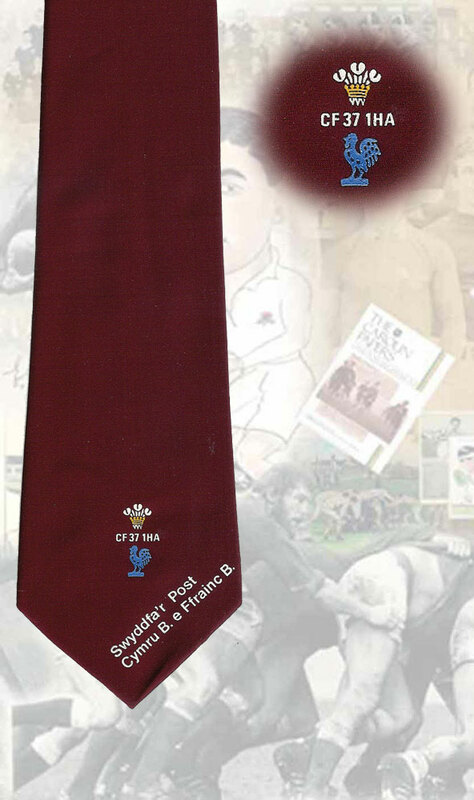 We are unsure whether or not these ties were available to purchase through the RFU shop or not or whether they were player issue only. 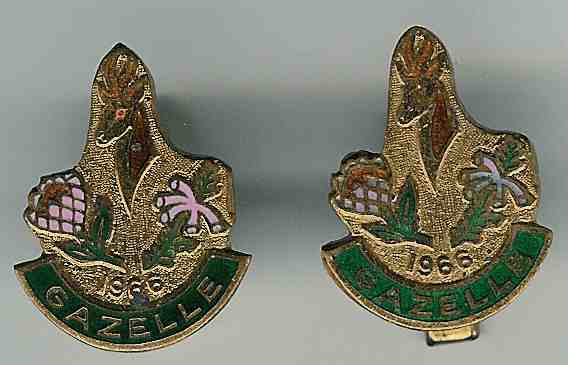 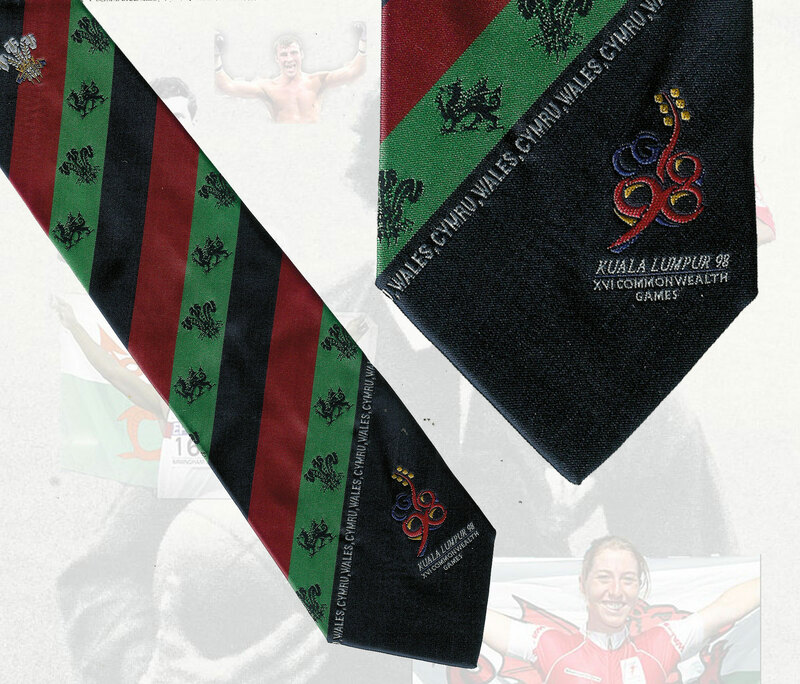 WALES - CLUBS, COUNTY, DISTRICT ETC. 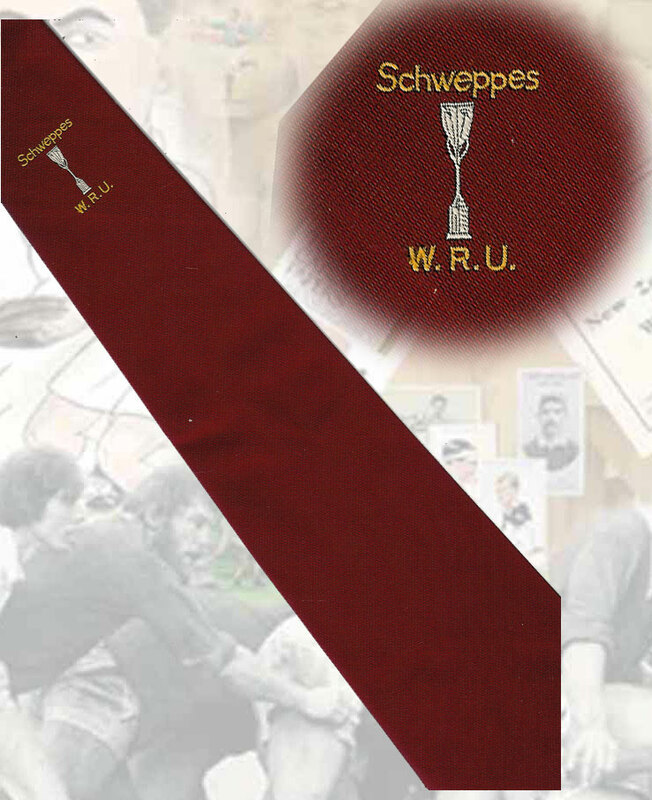 Schweppes (Cup) WRU - 10 cm - very good condition. 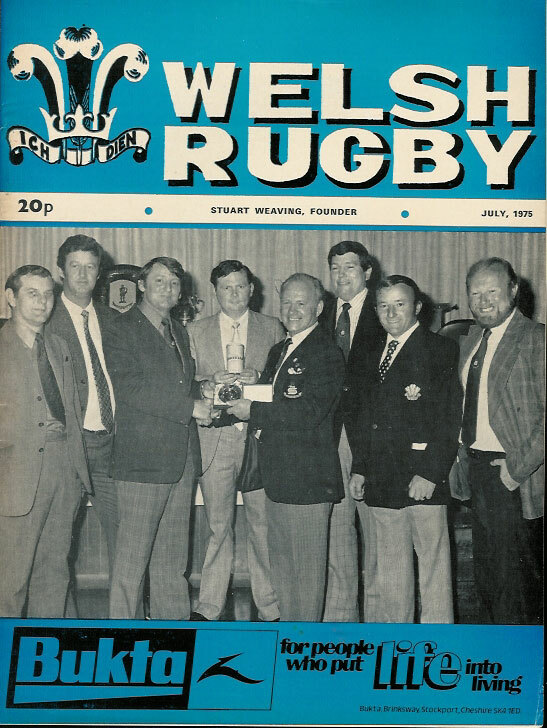 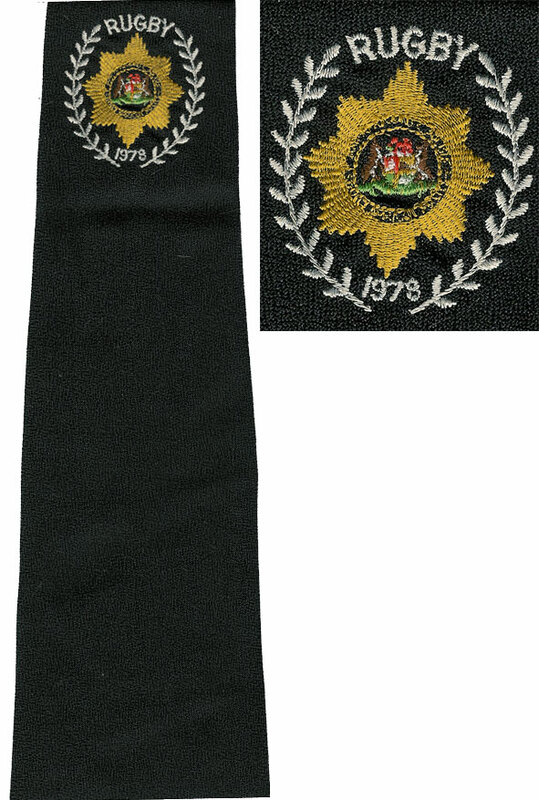 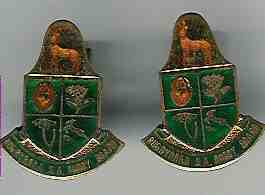 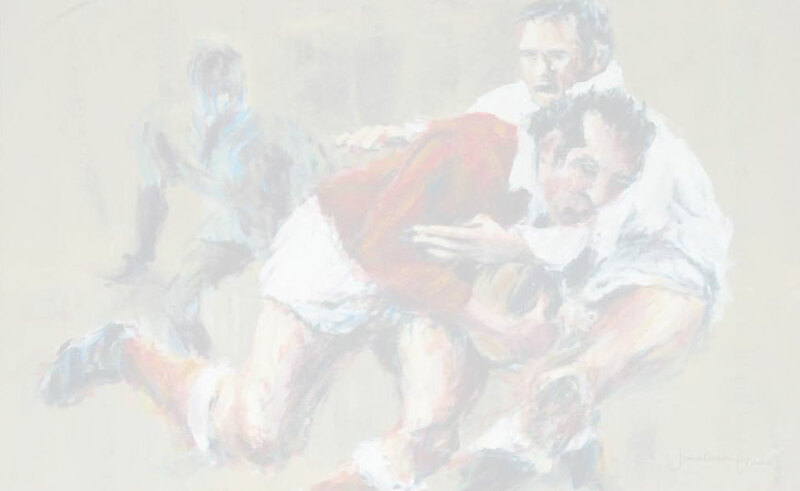 From the collection of a former 1970s WRU President, COA provided. 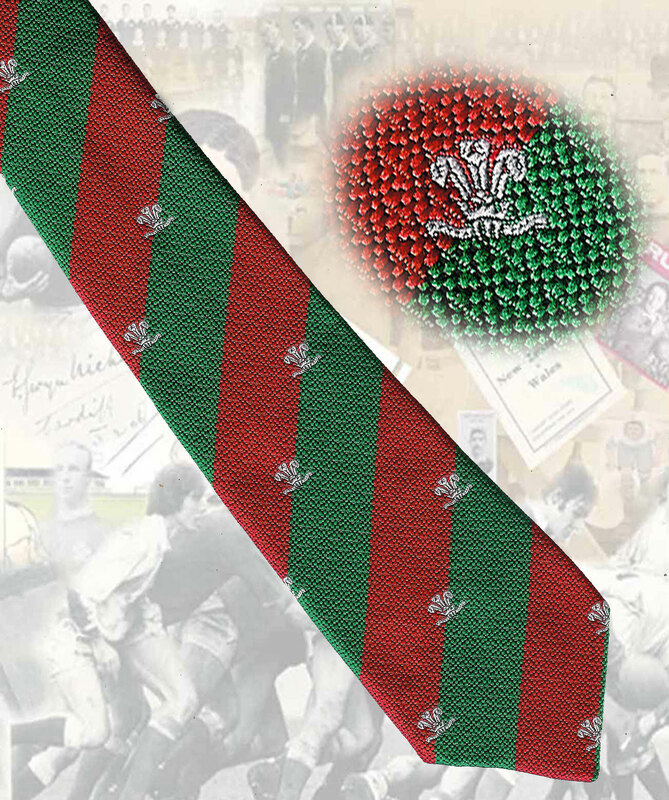 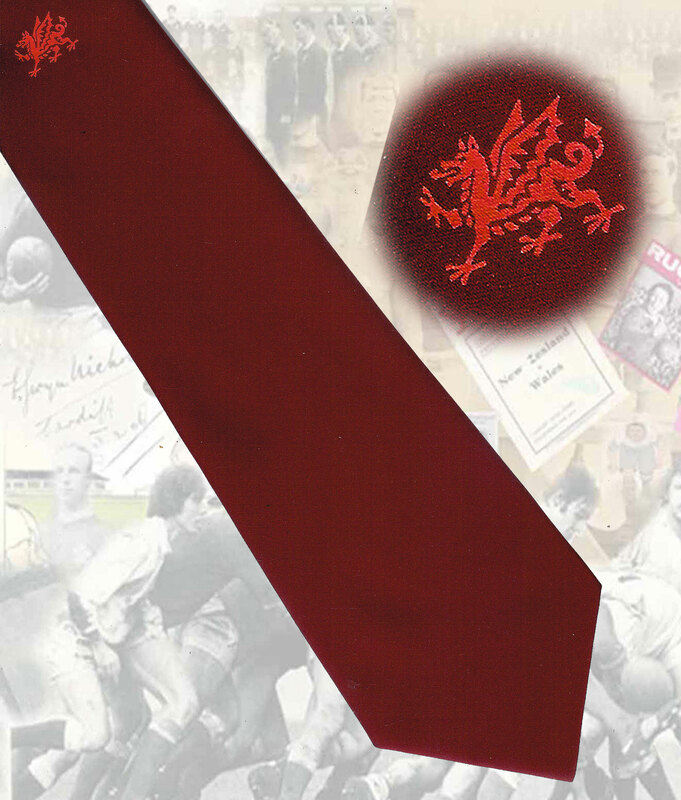 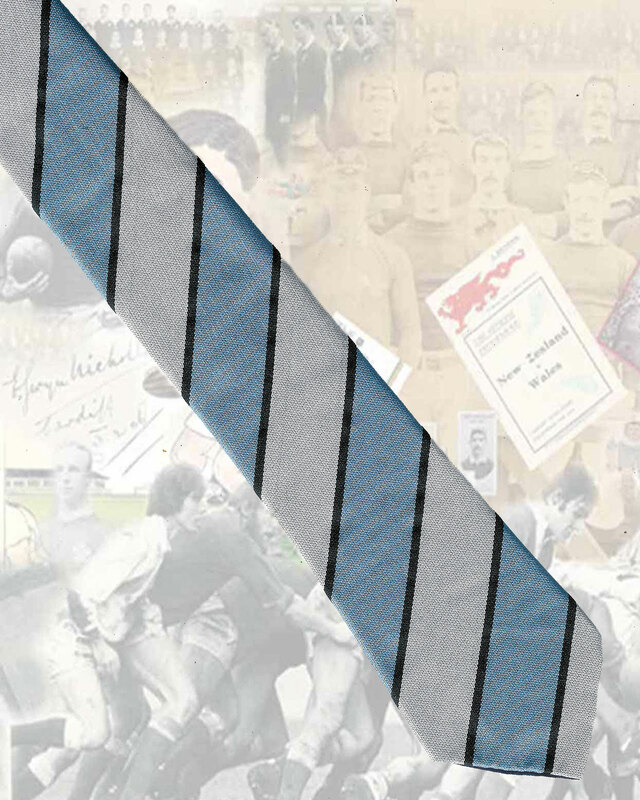 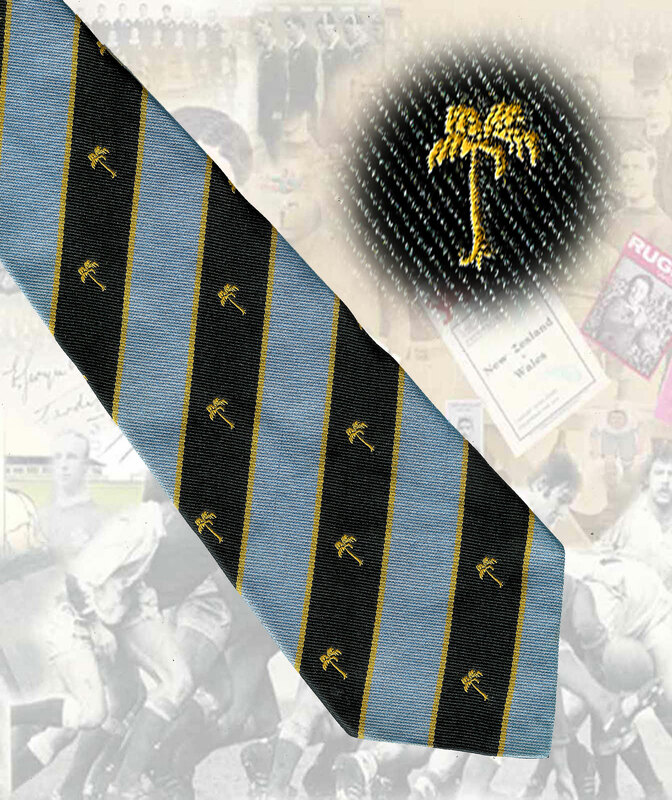 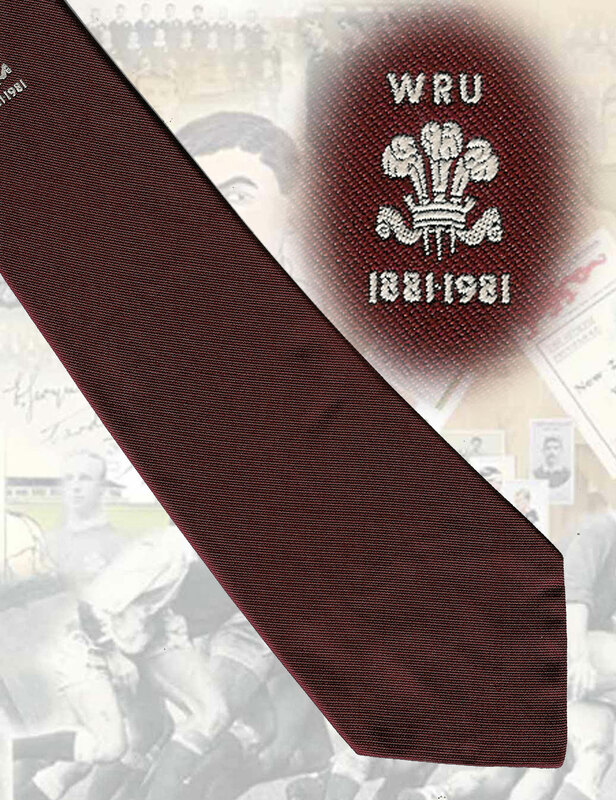 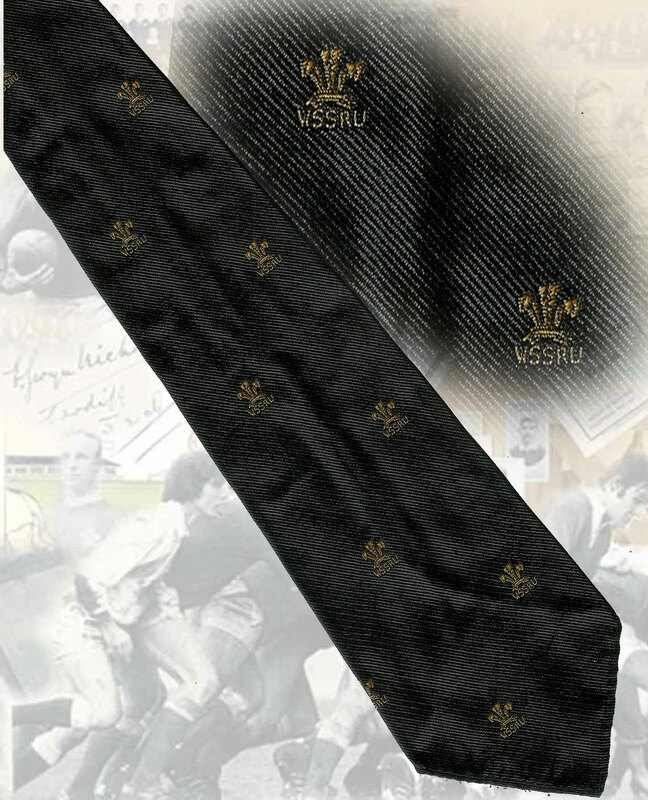 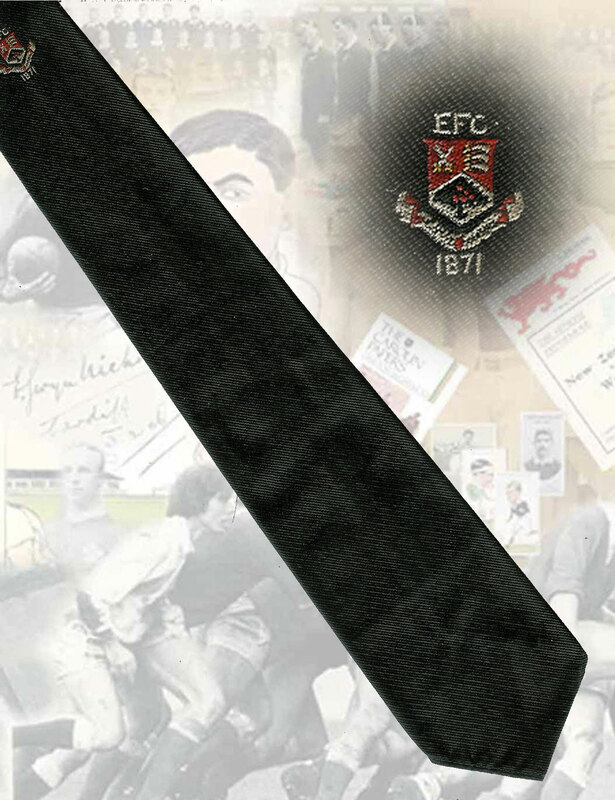 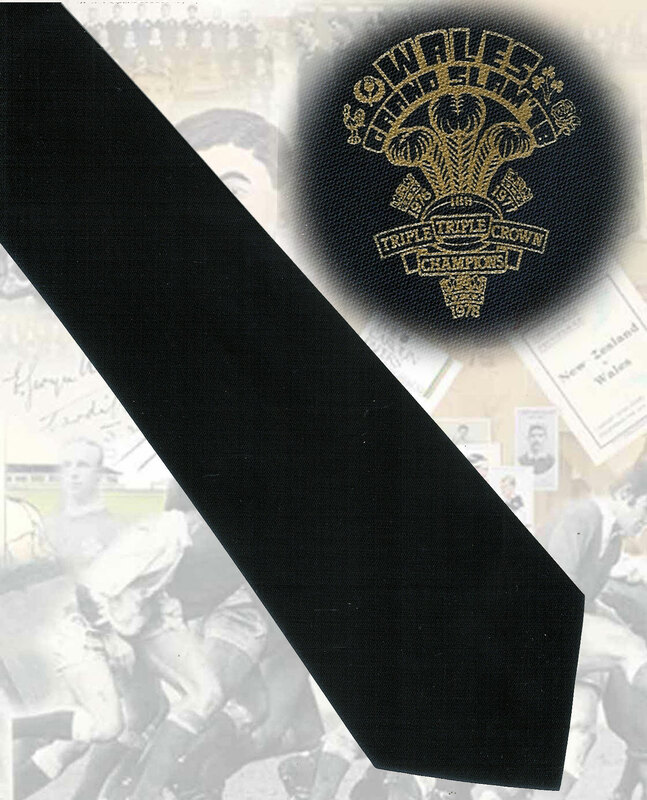 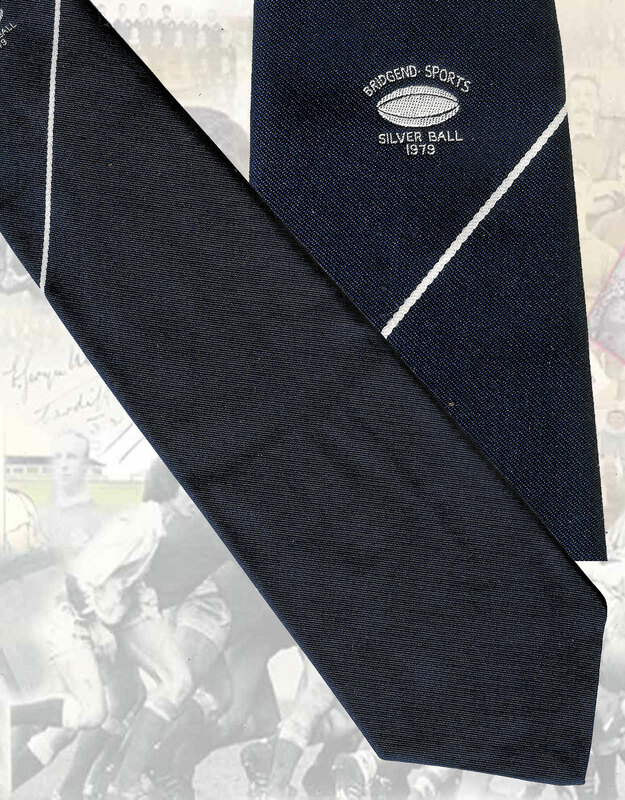 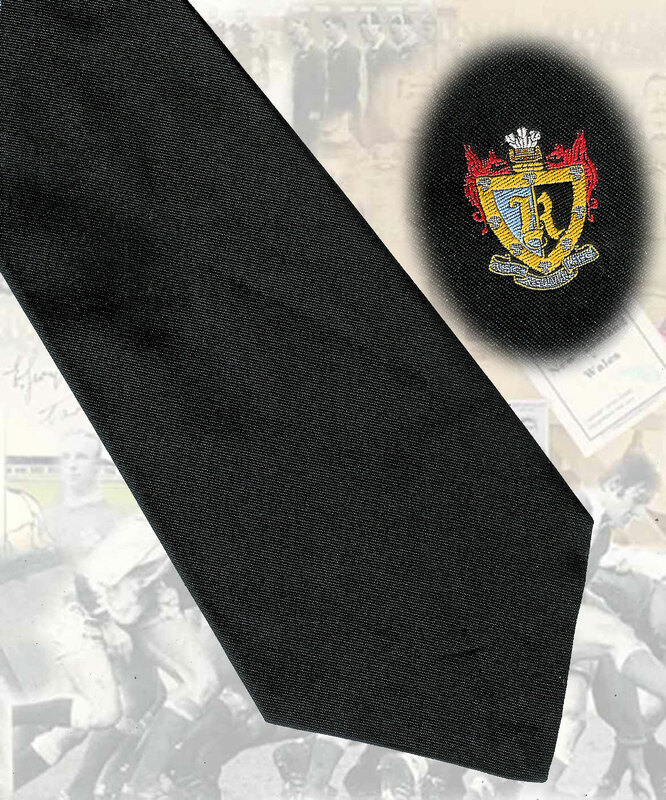 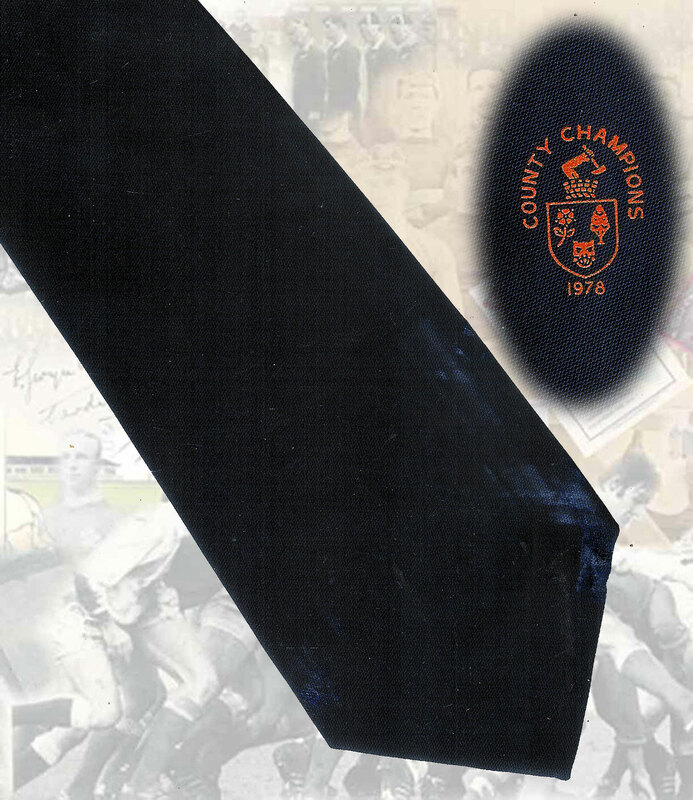 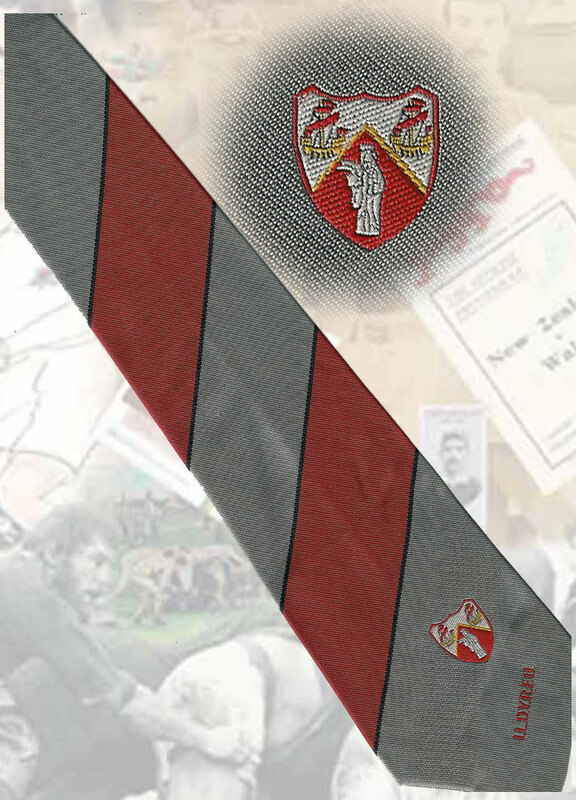 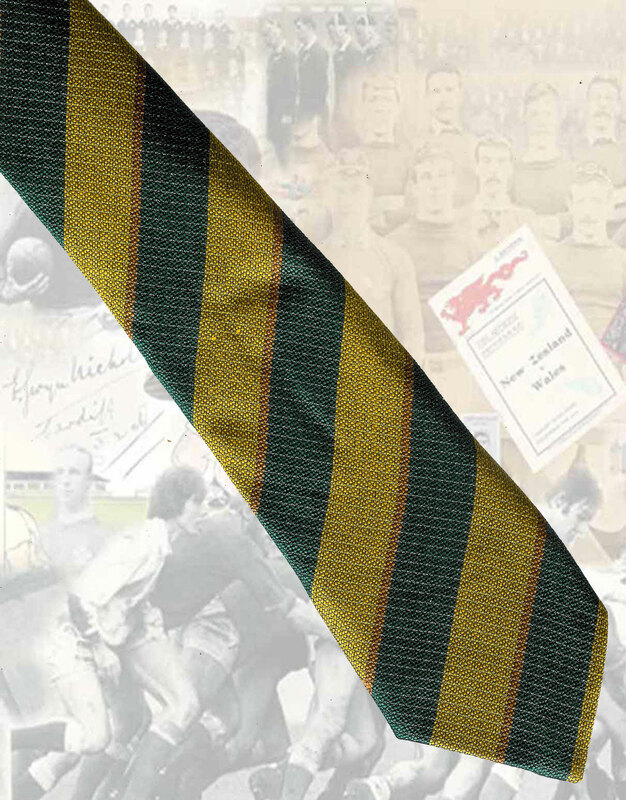 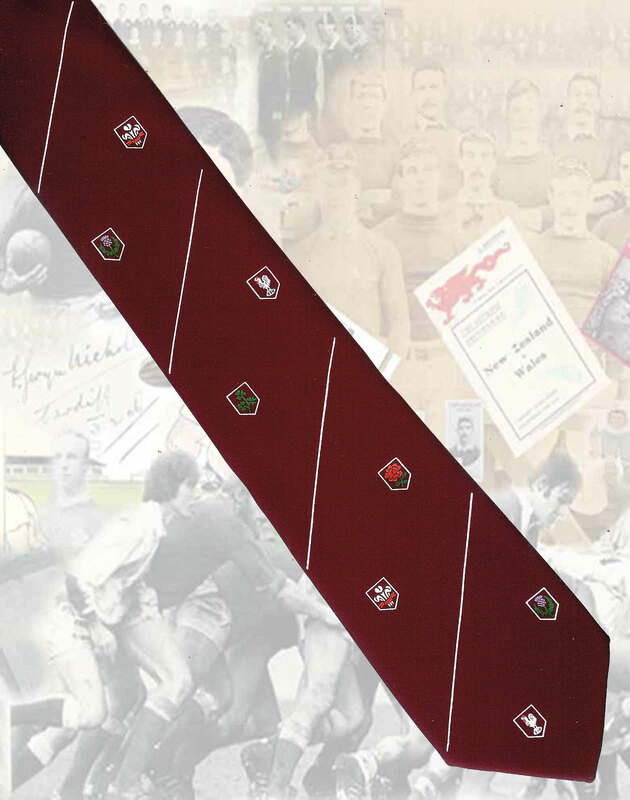 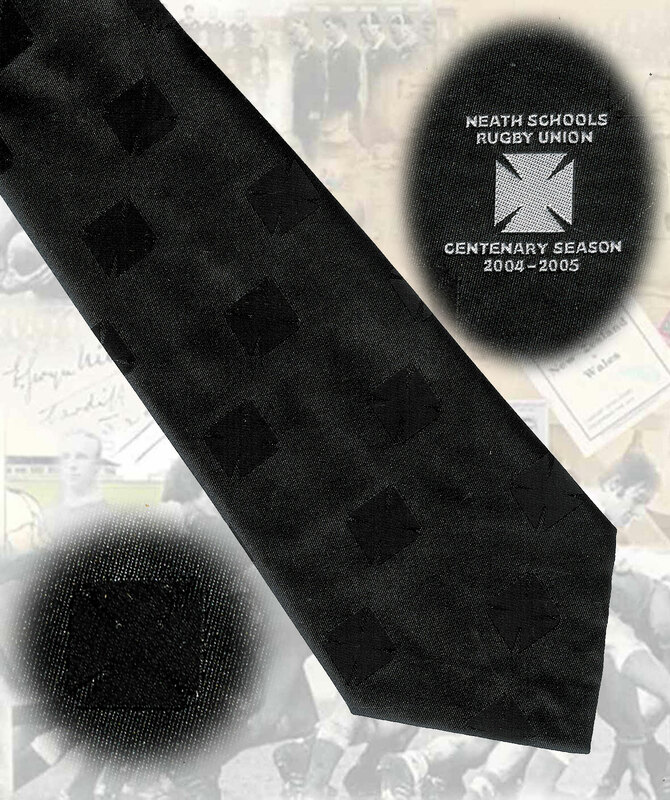 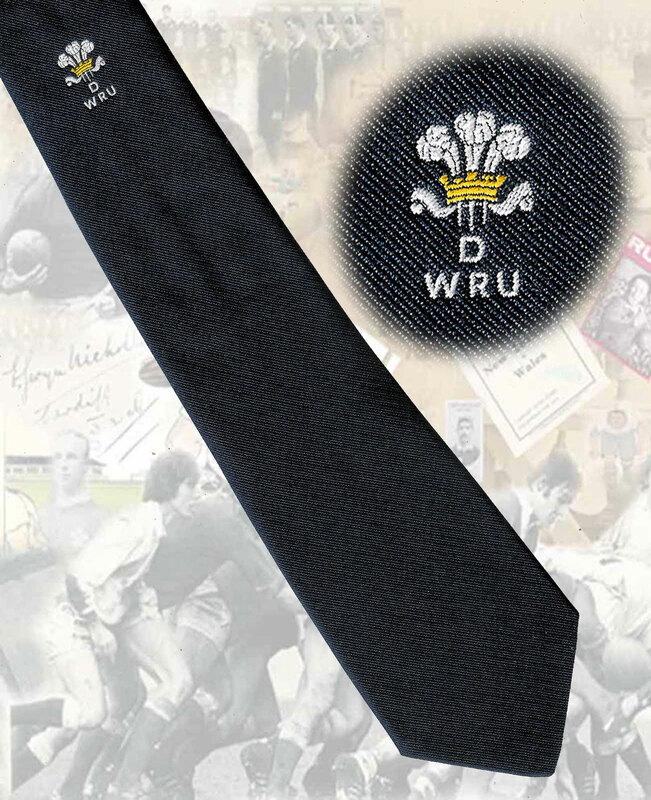 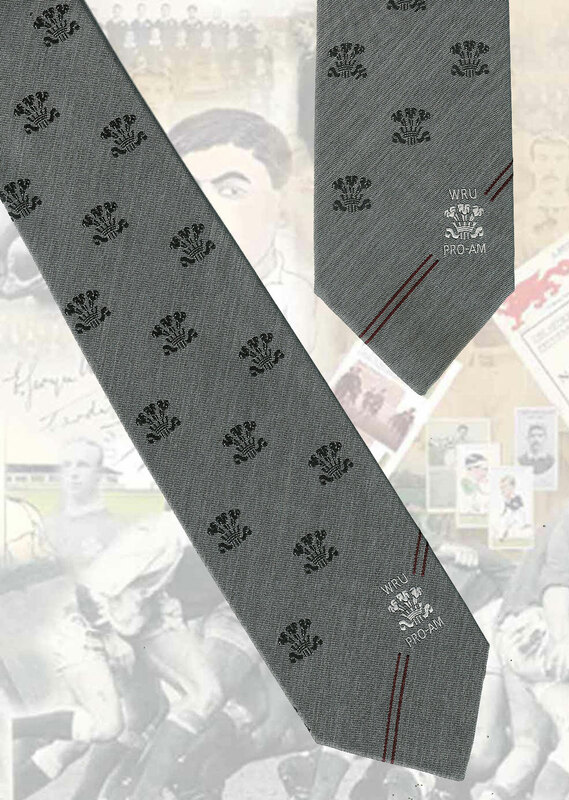 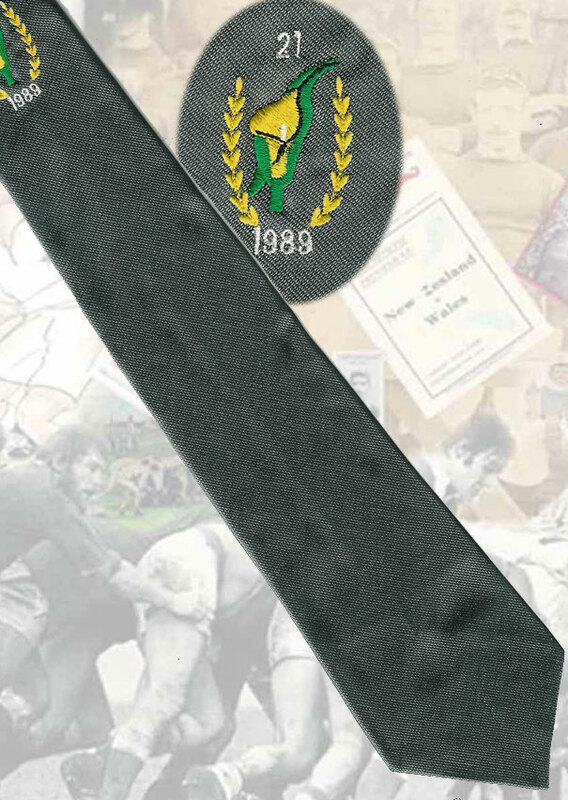 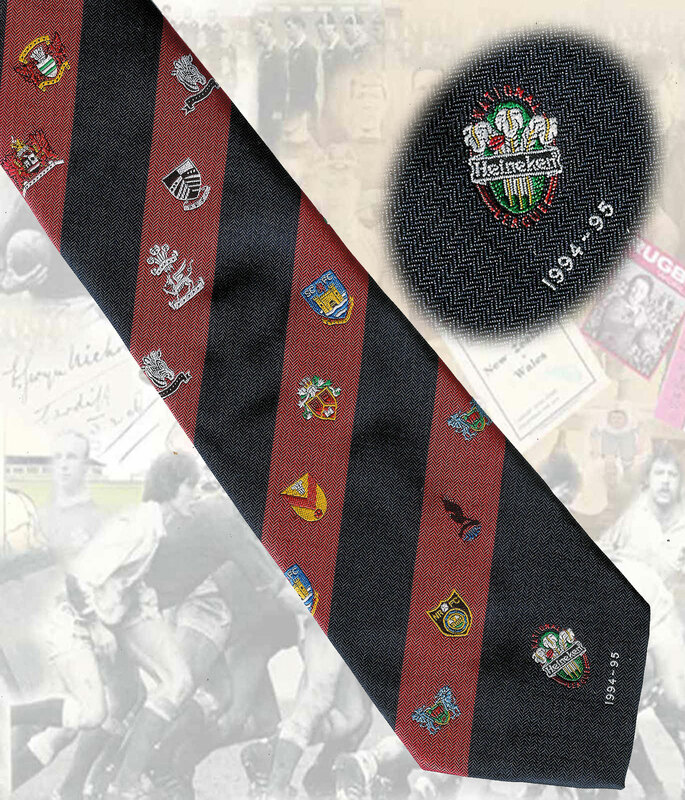 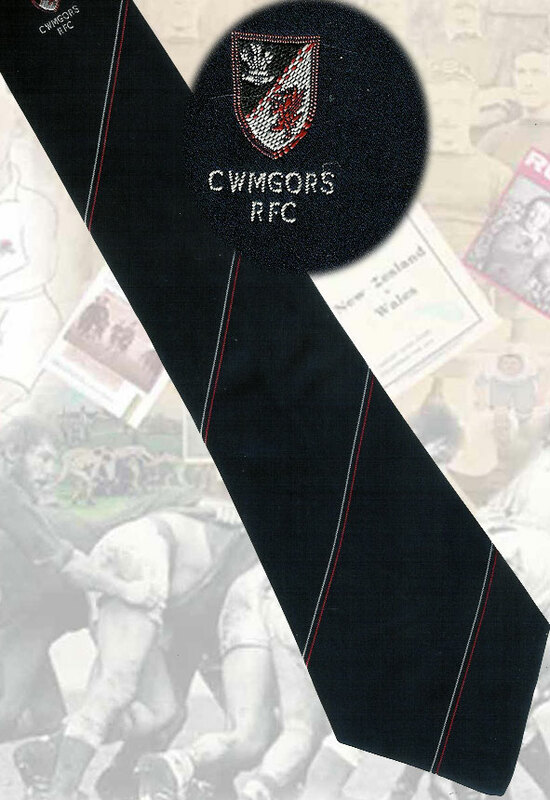 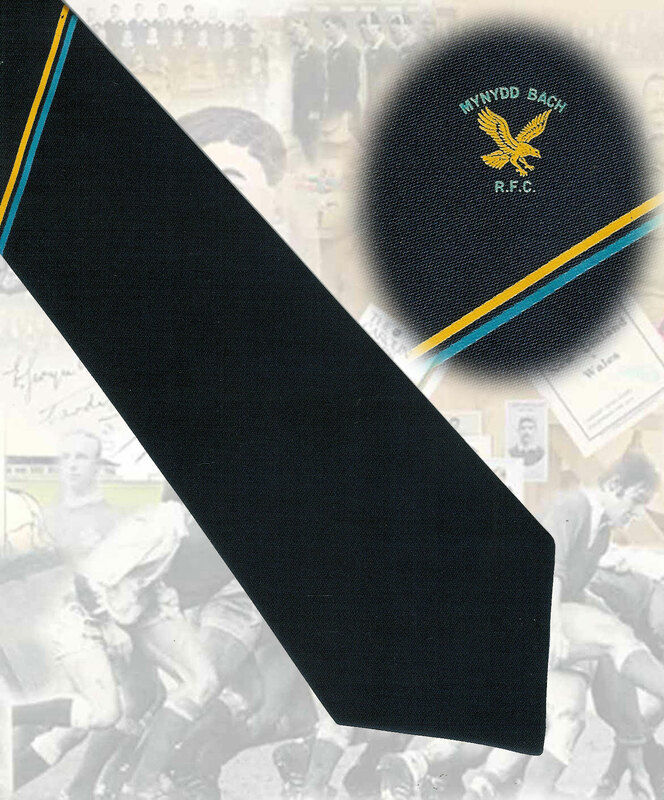 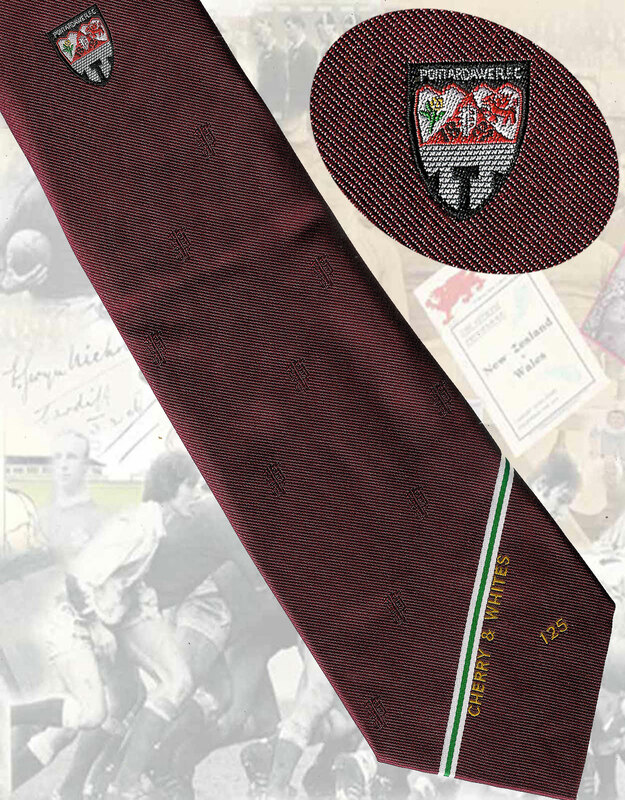 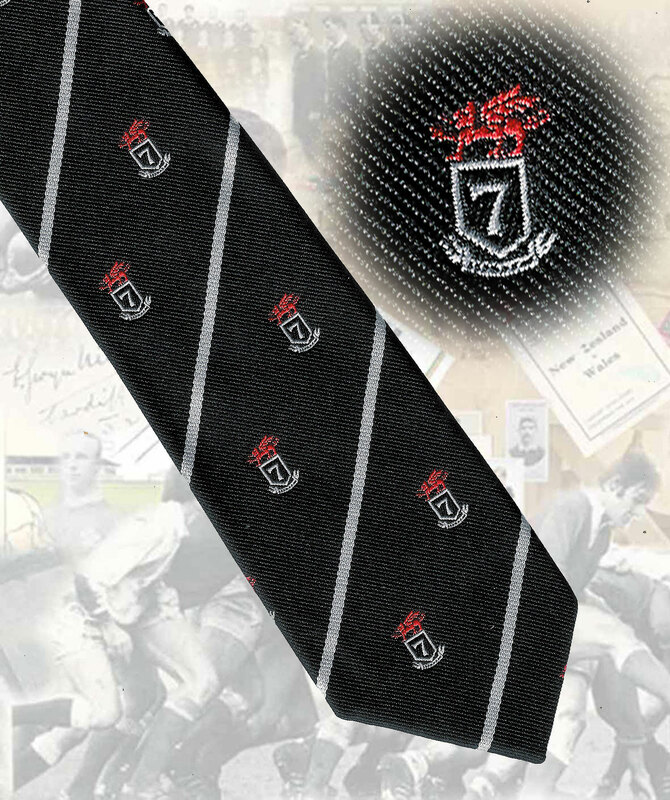 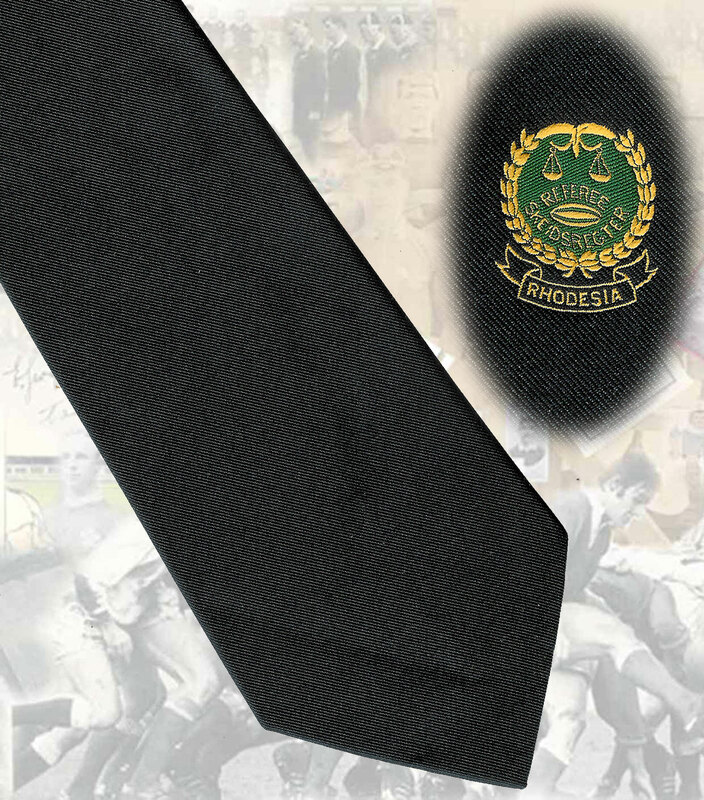 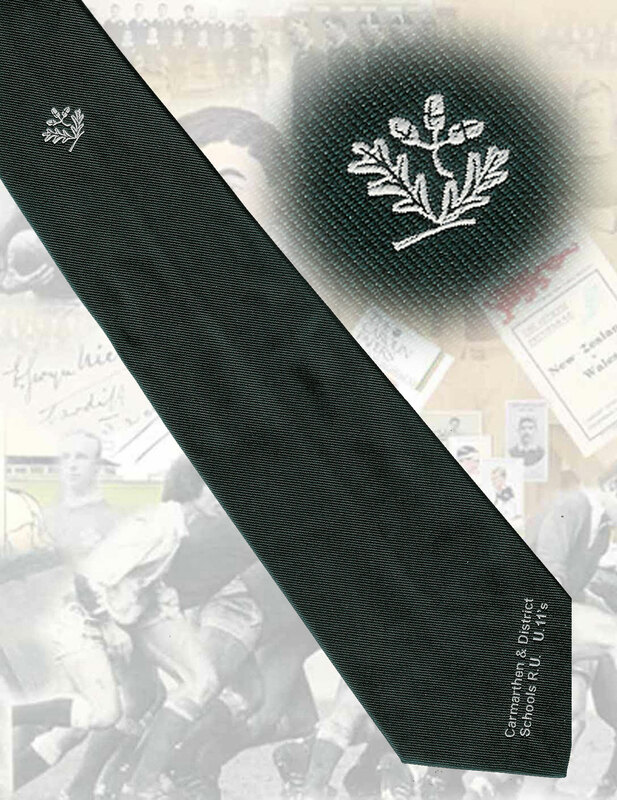 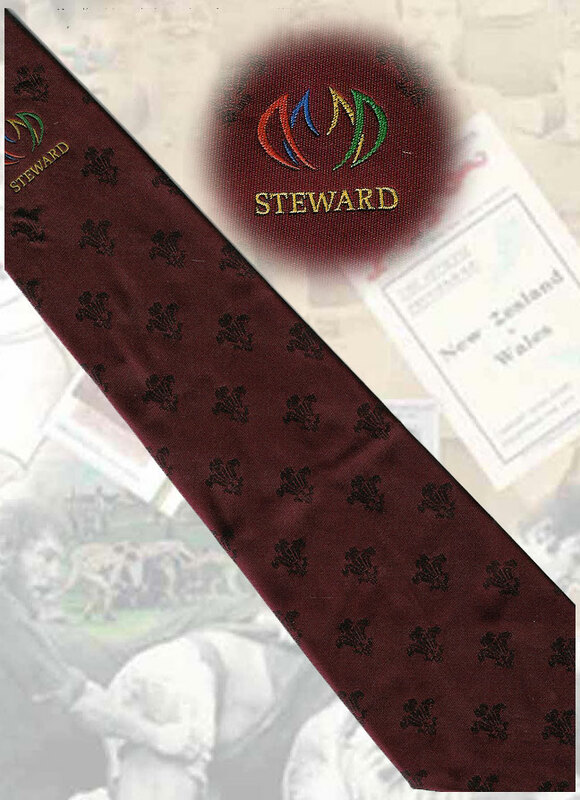 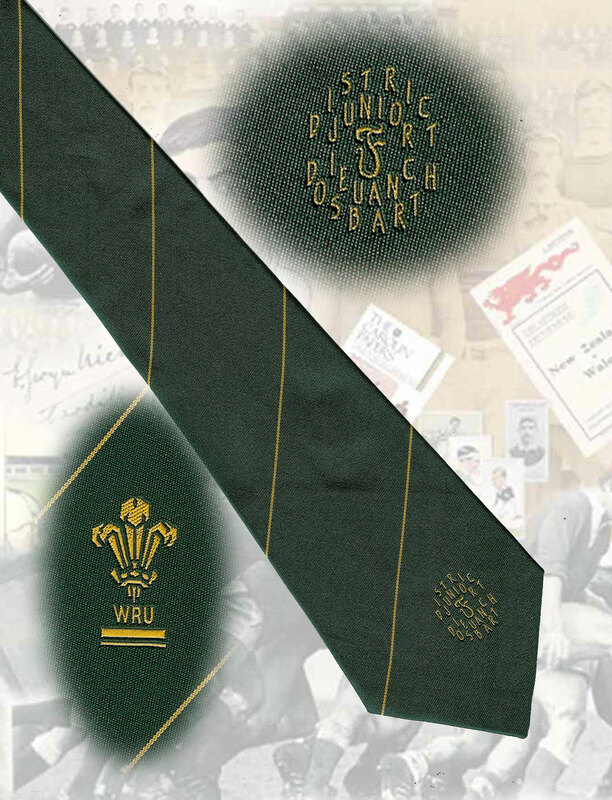 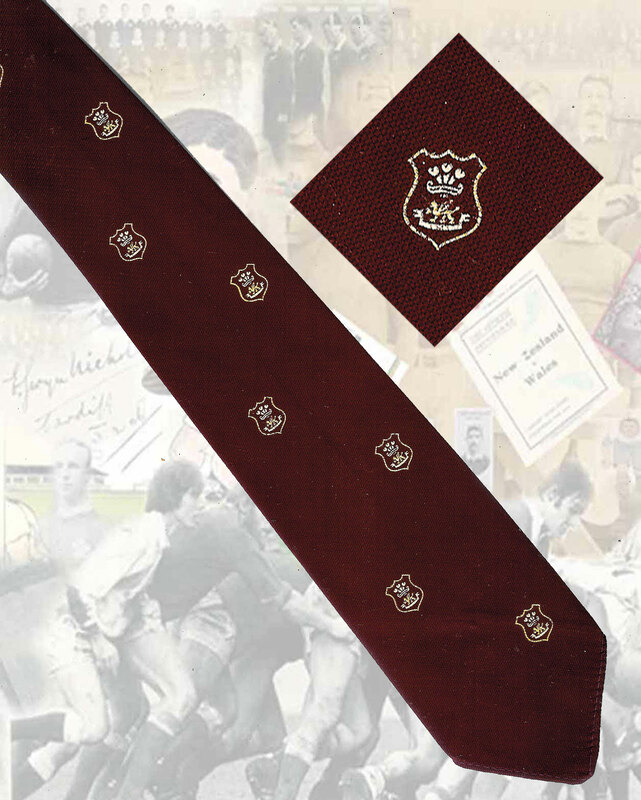 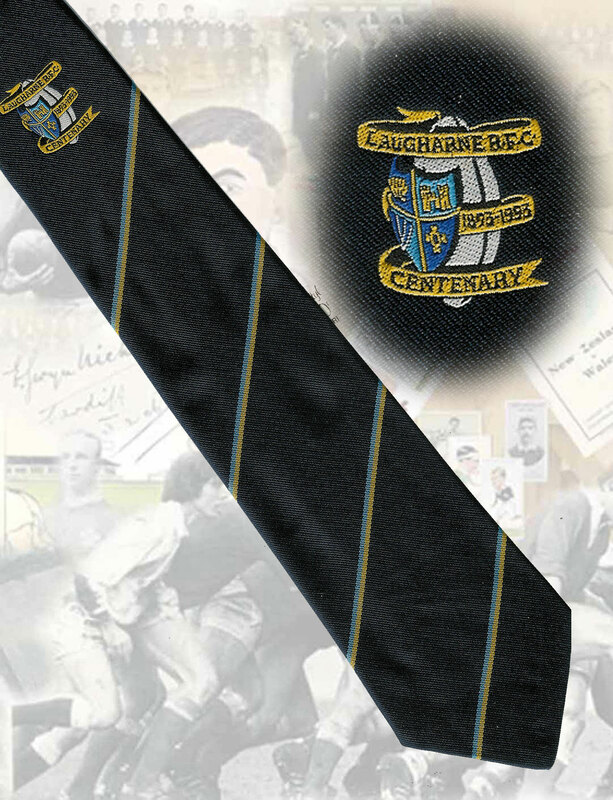 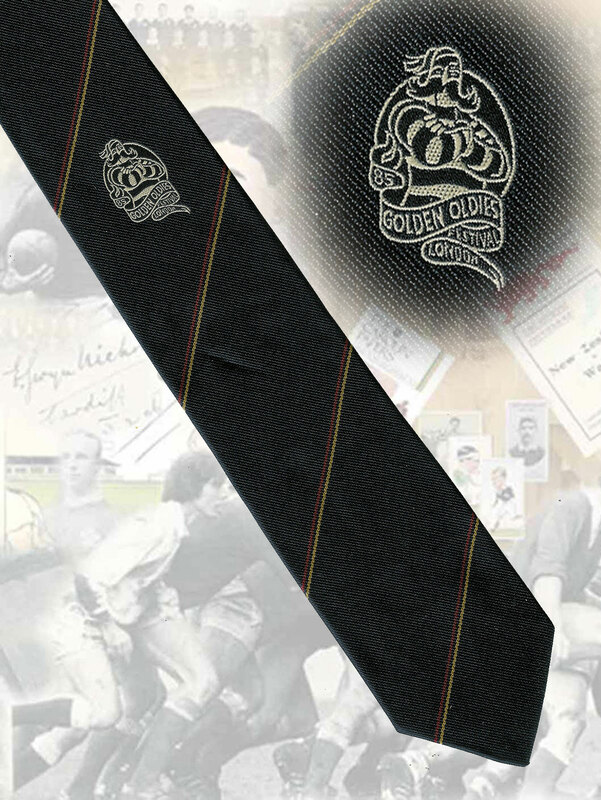 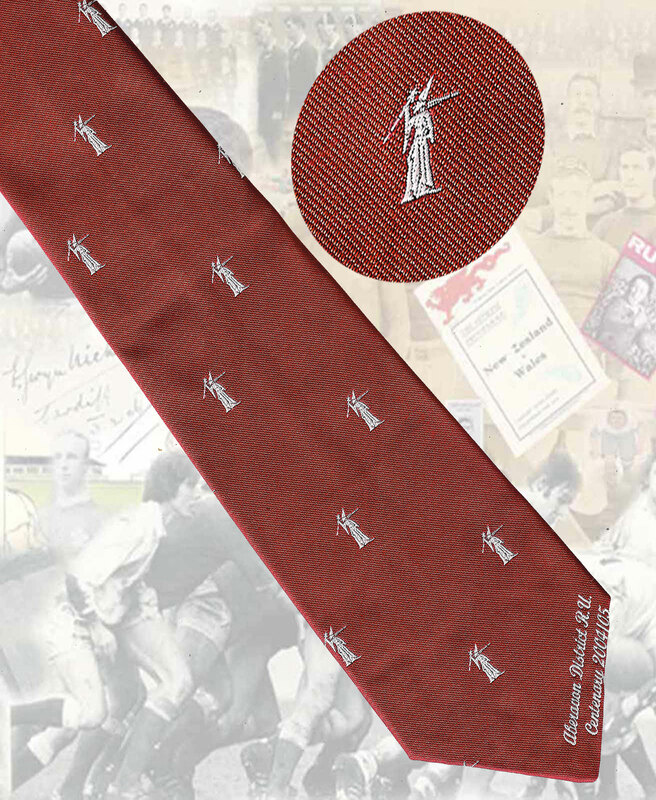 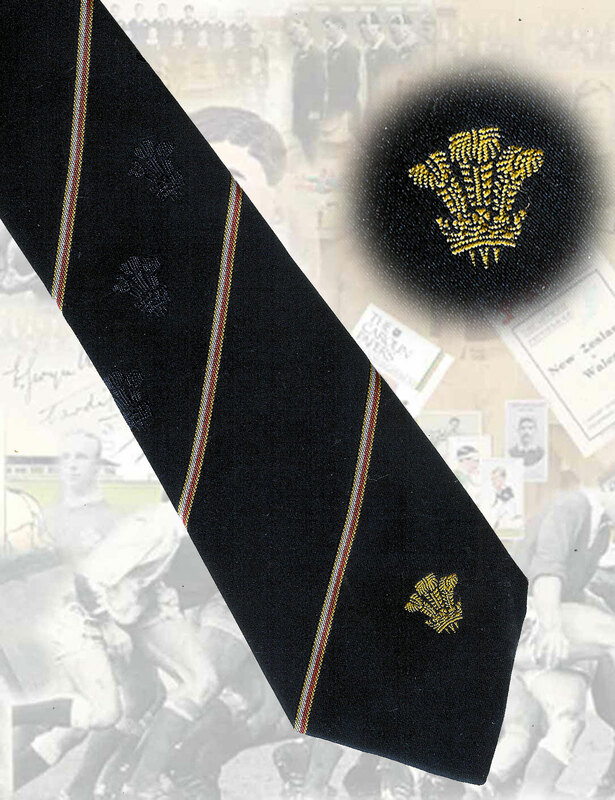 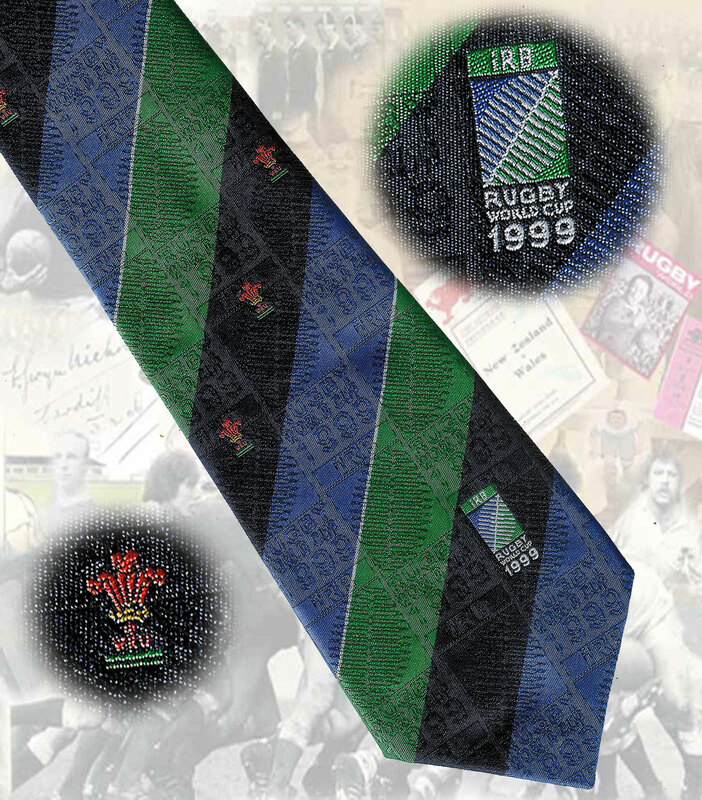 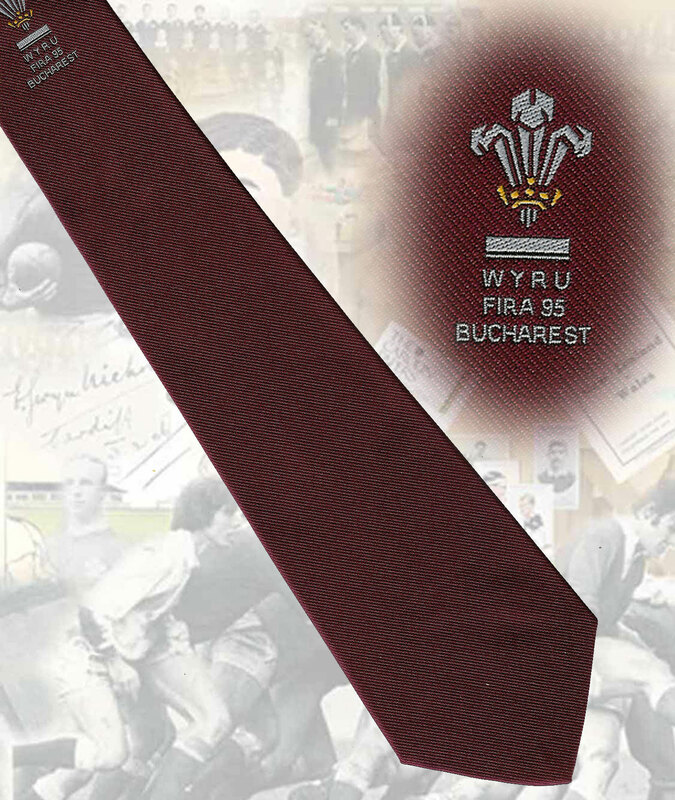 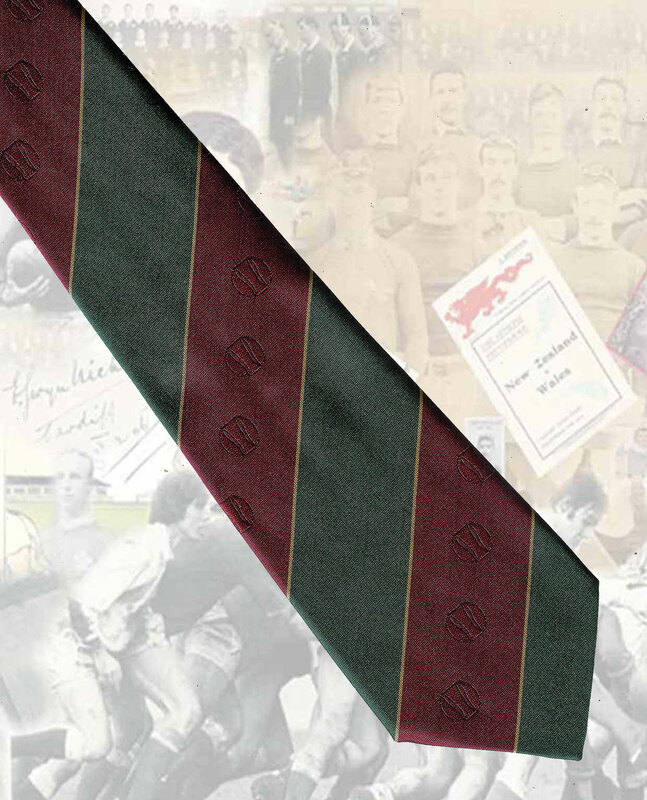 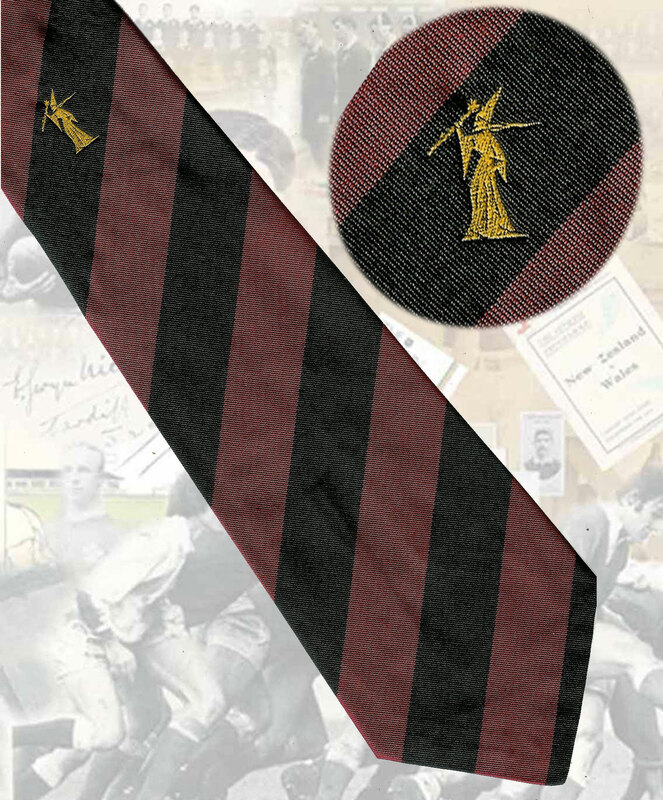 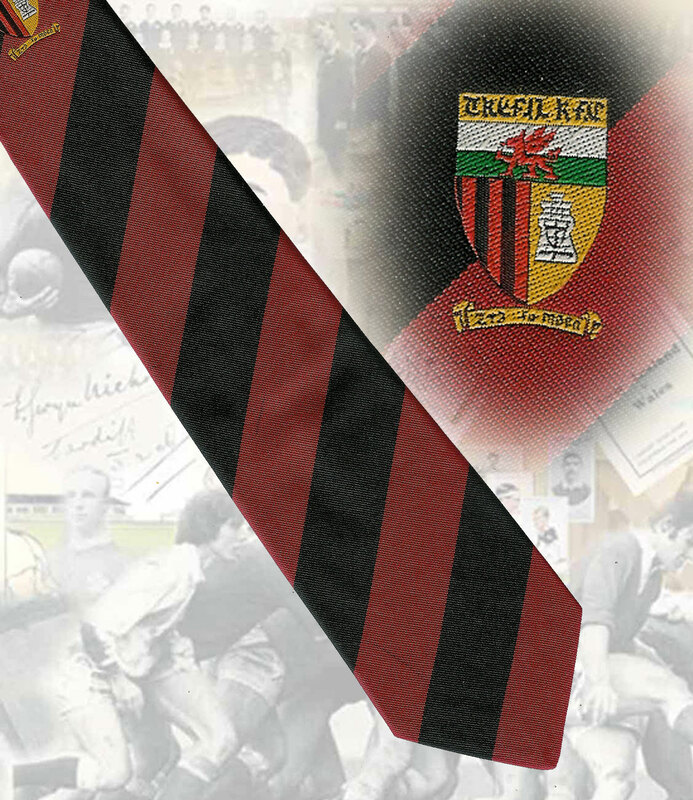 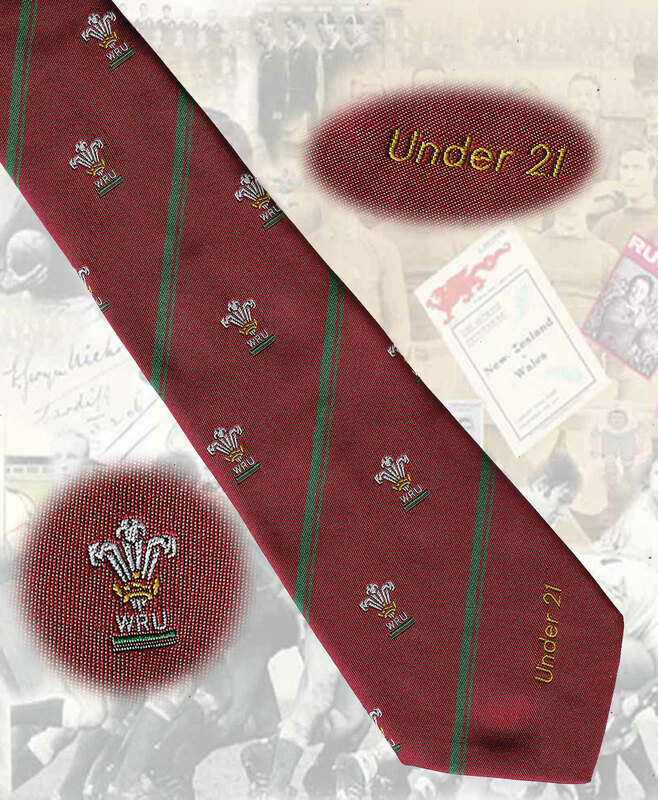 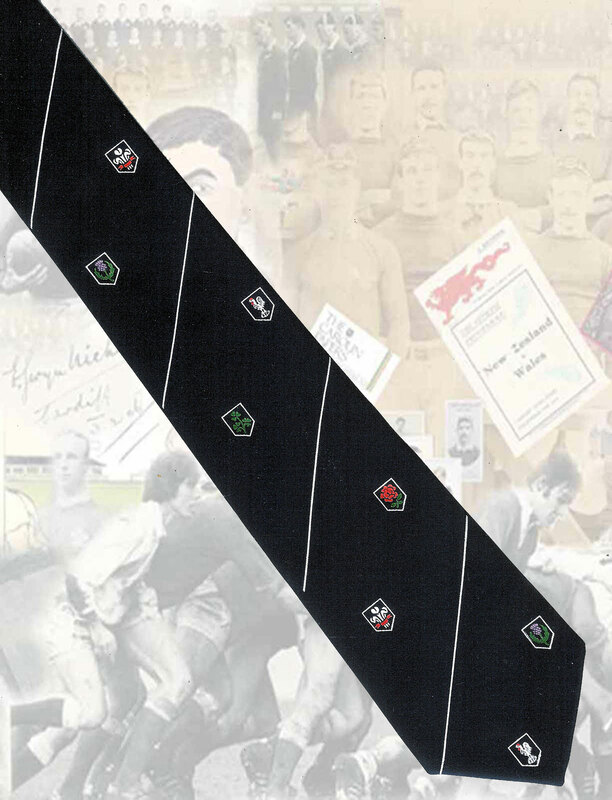 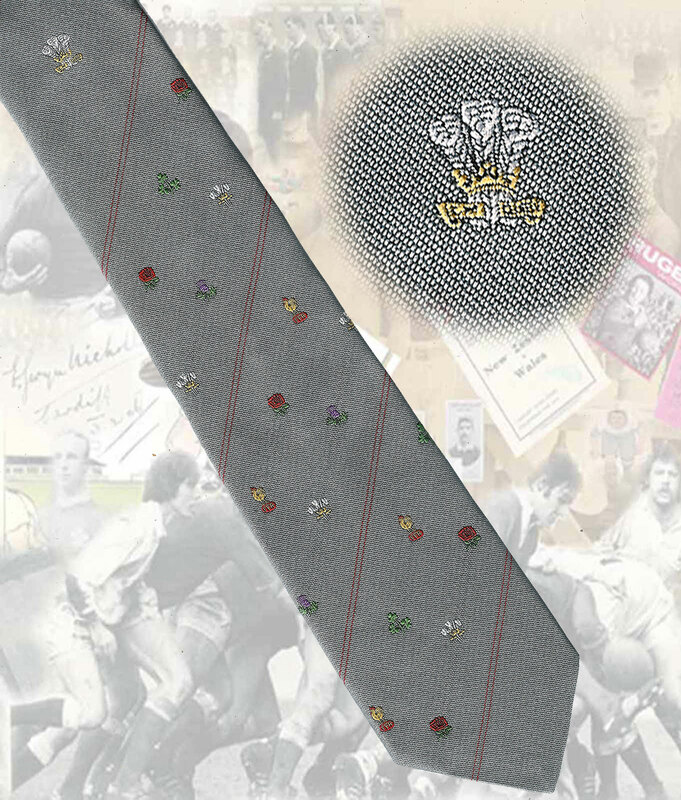 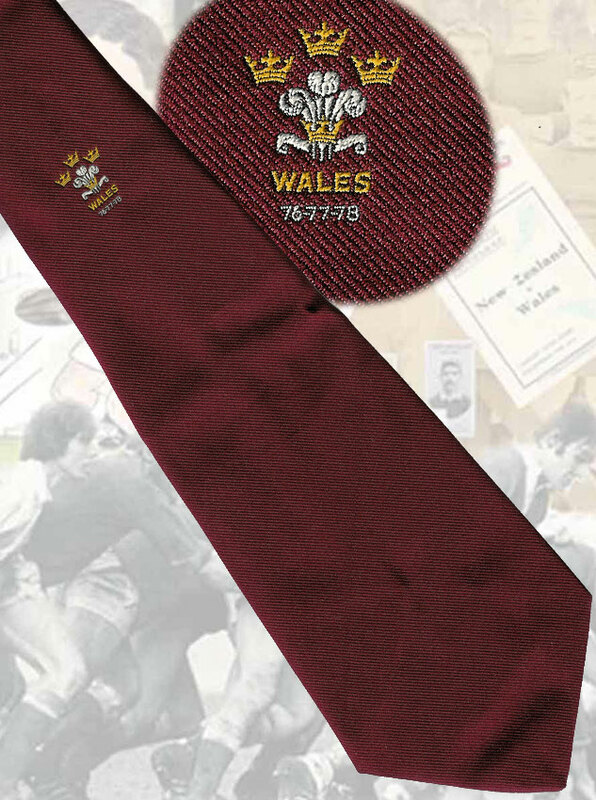 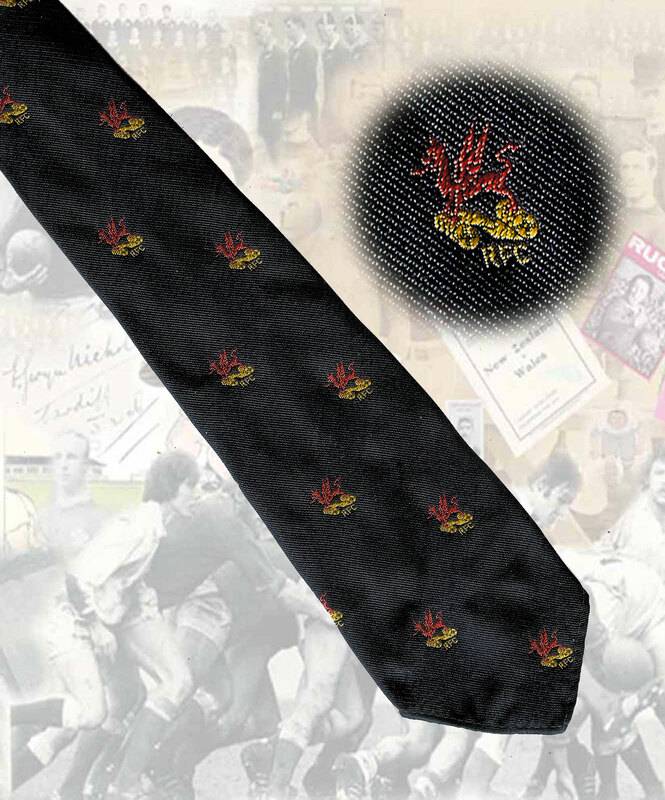 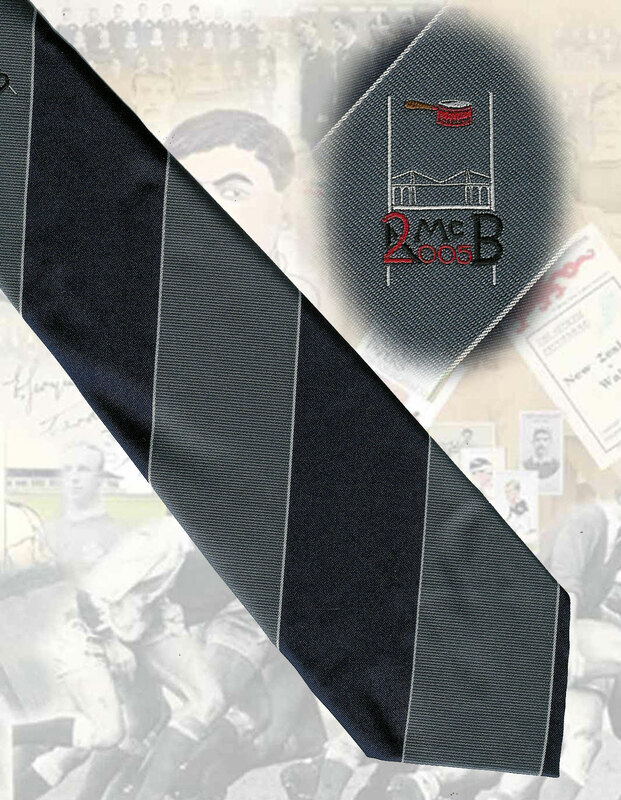 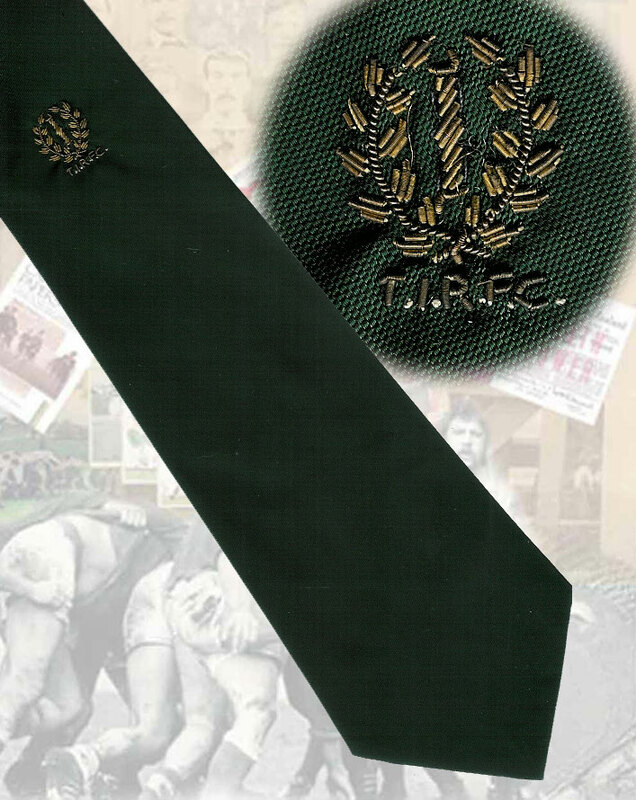 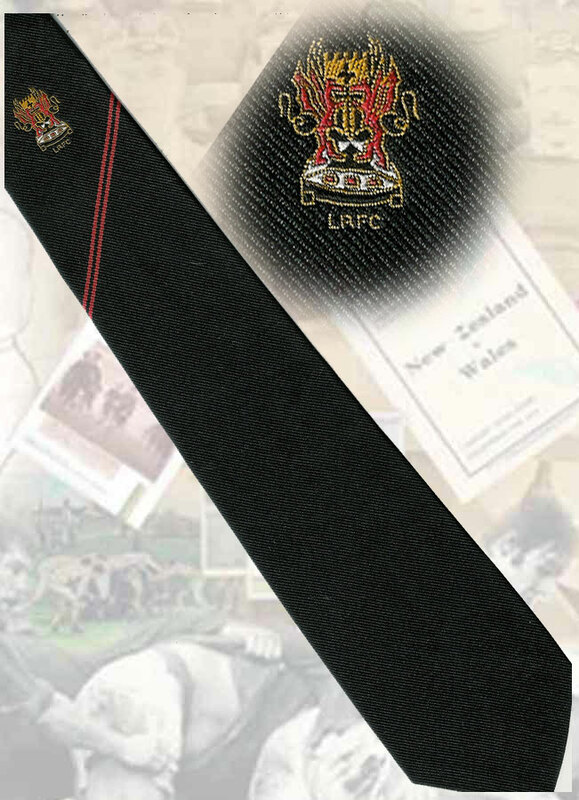 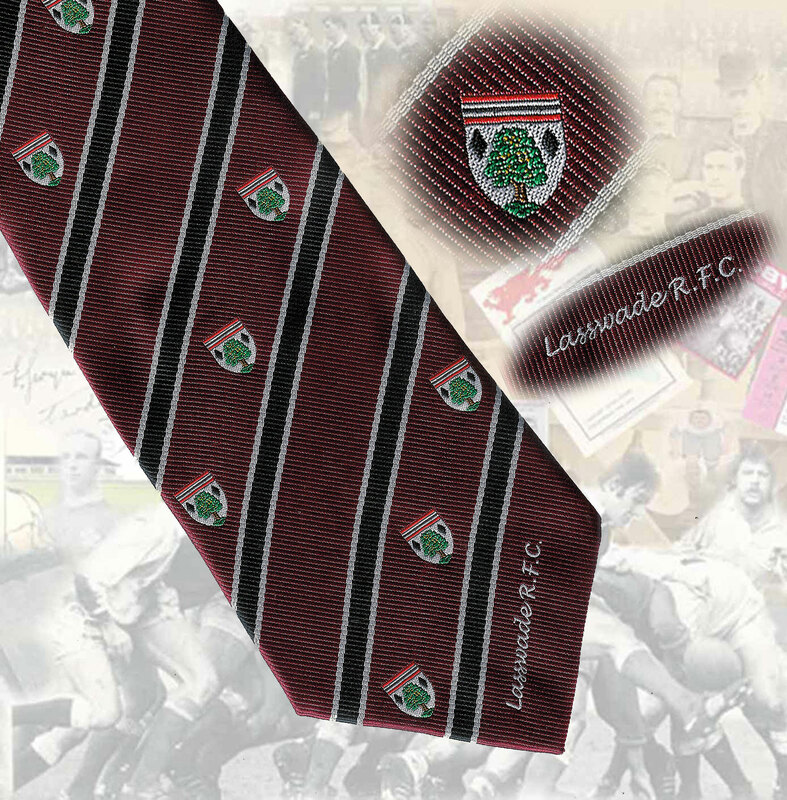 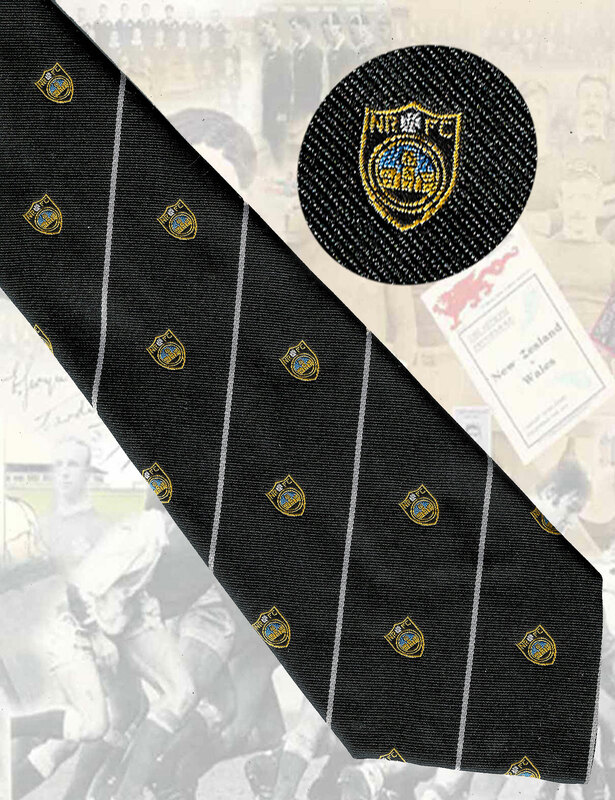 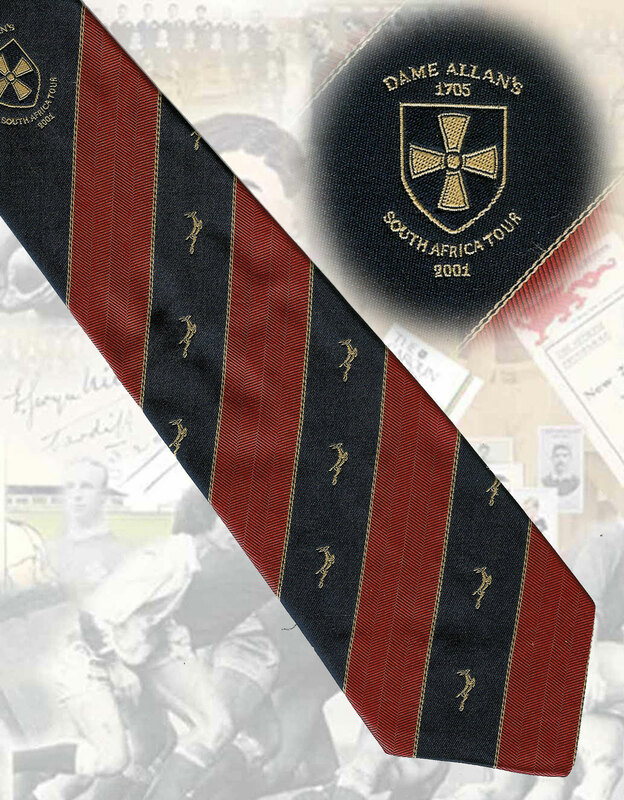 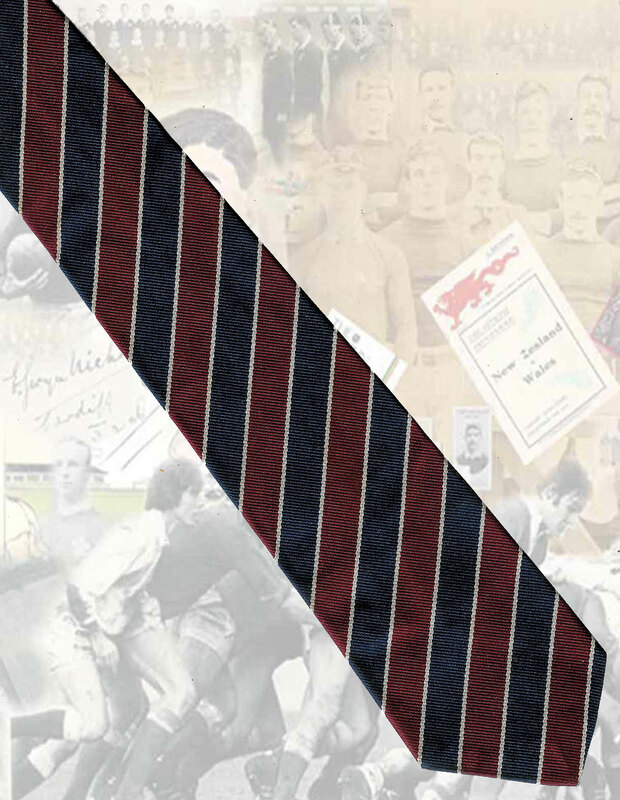 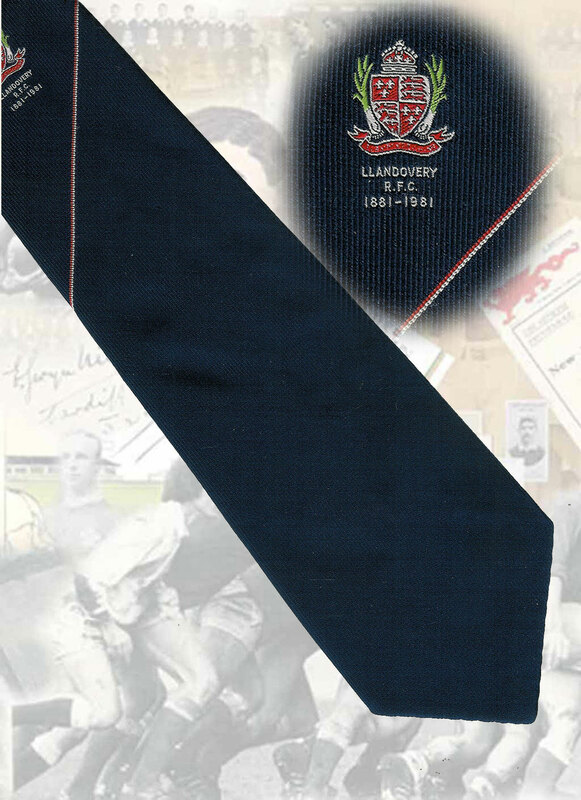 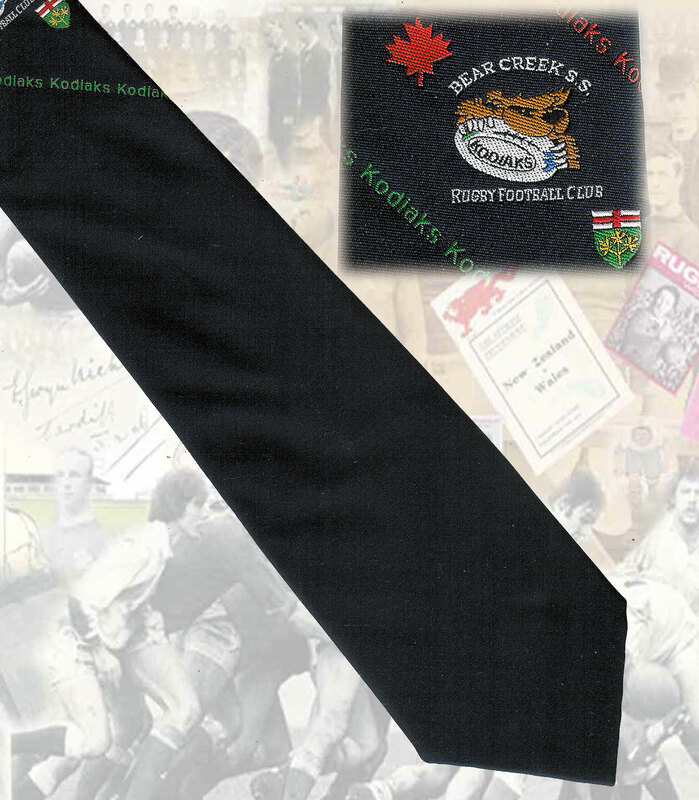 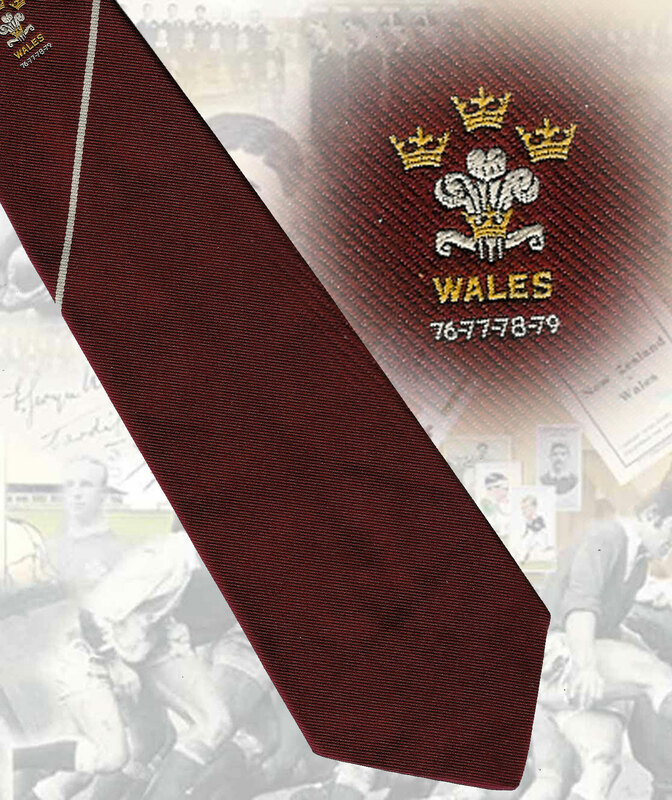 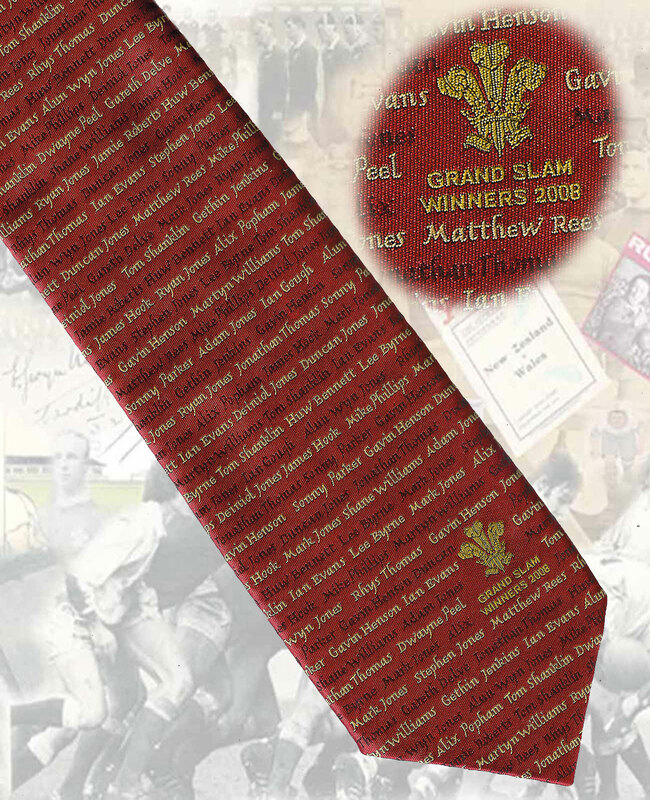 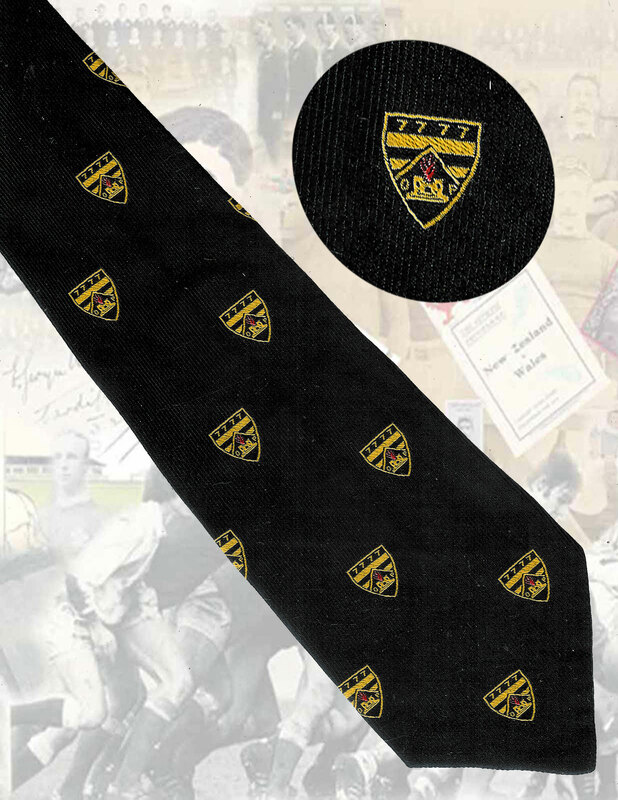 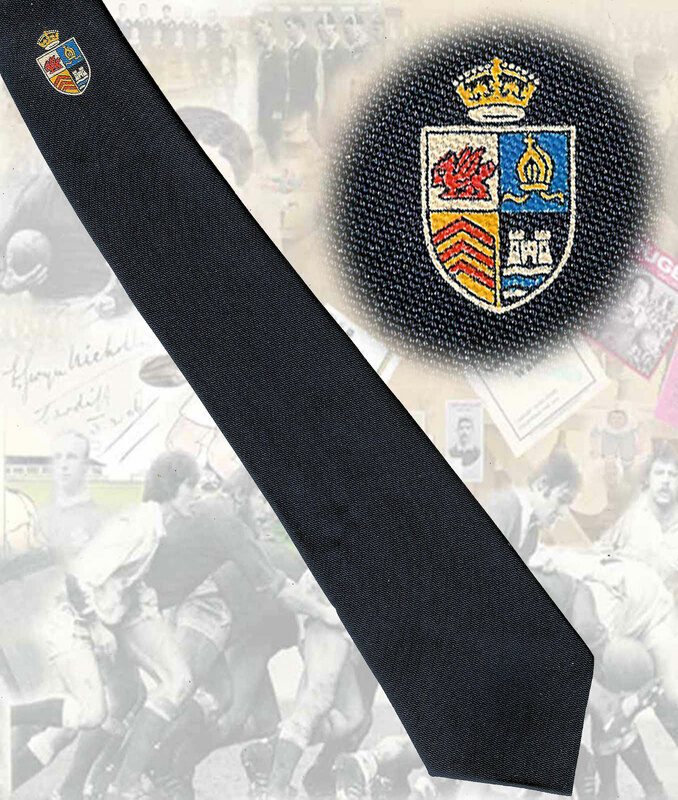 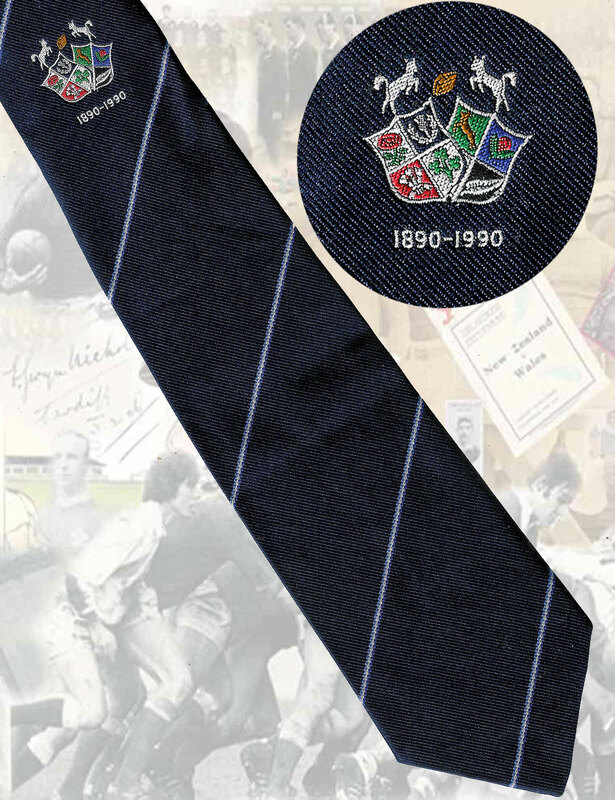 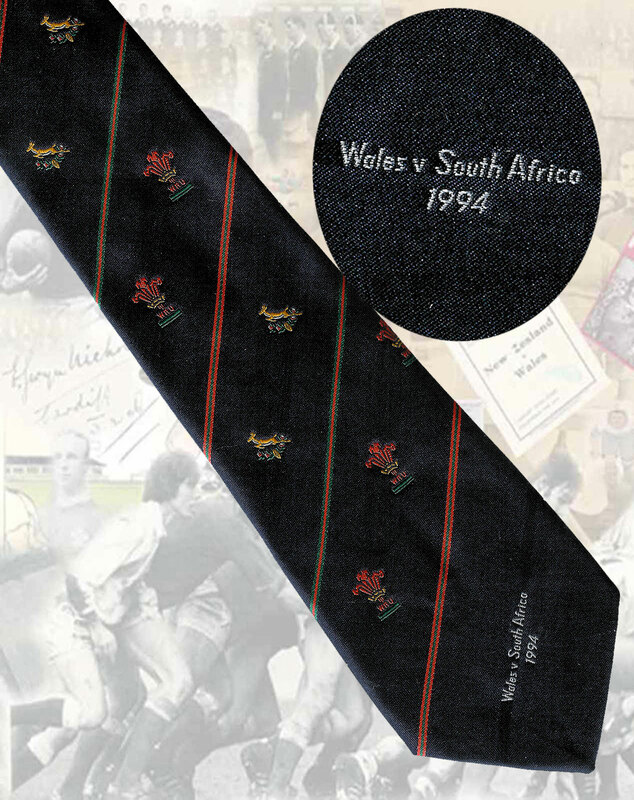 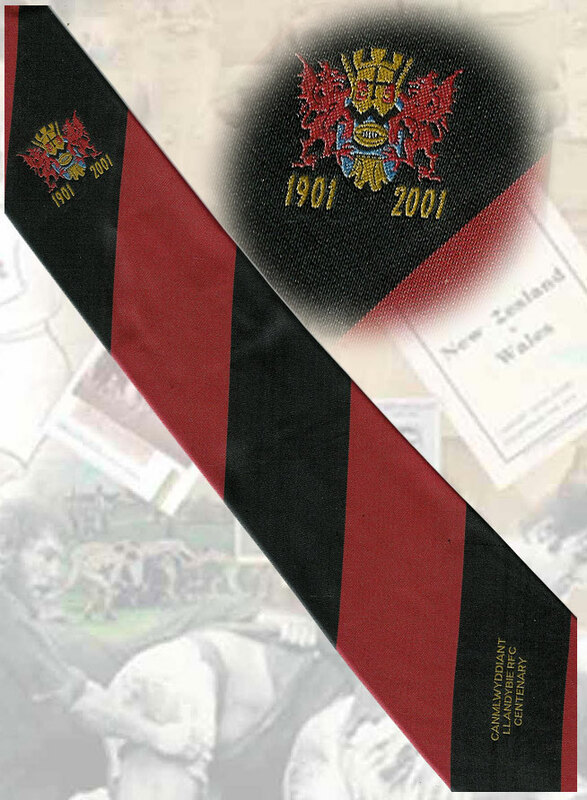 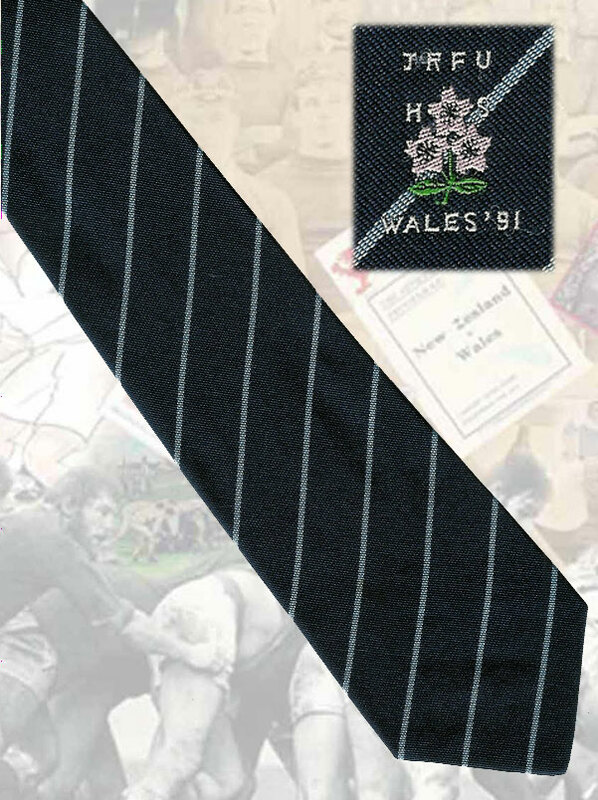 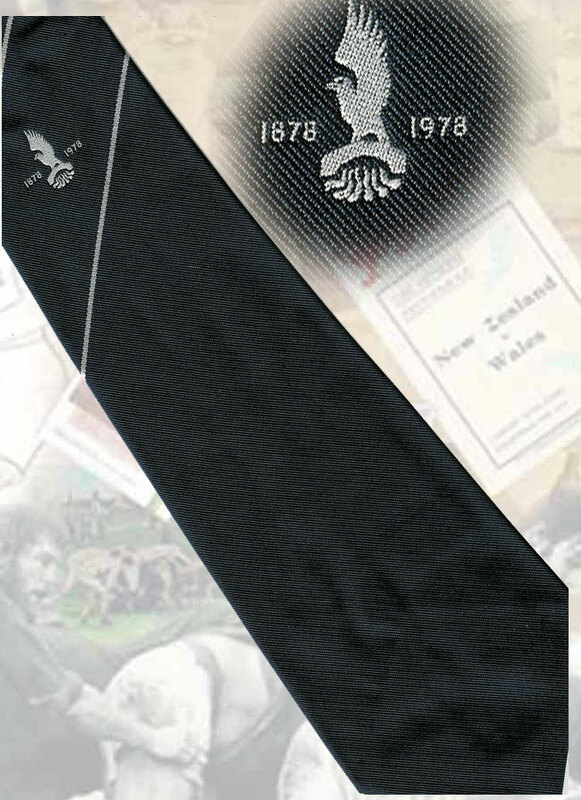 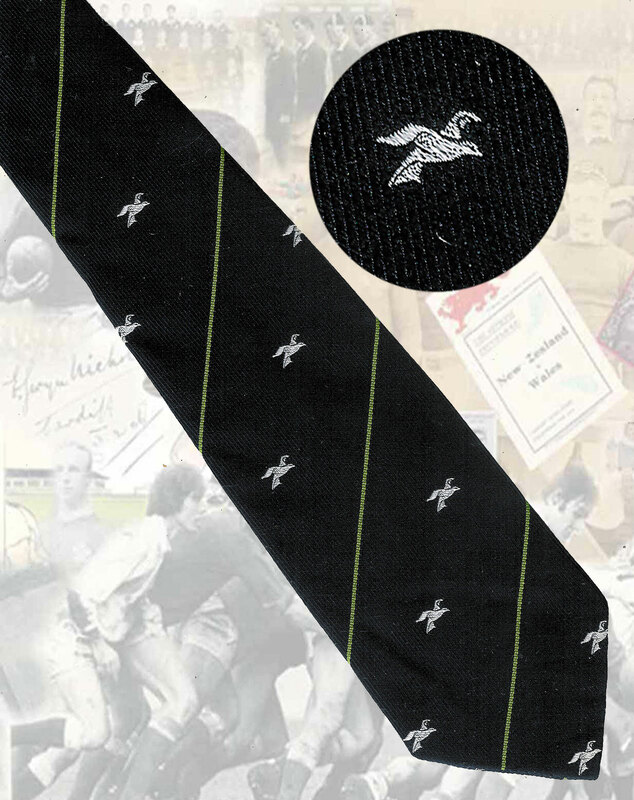 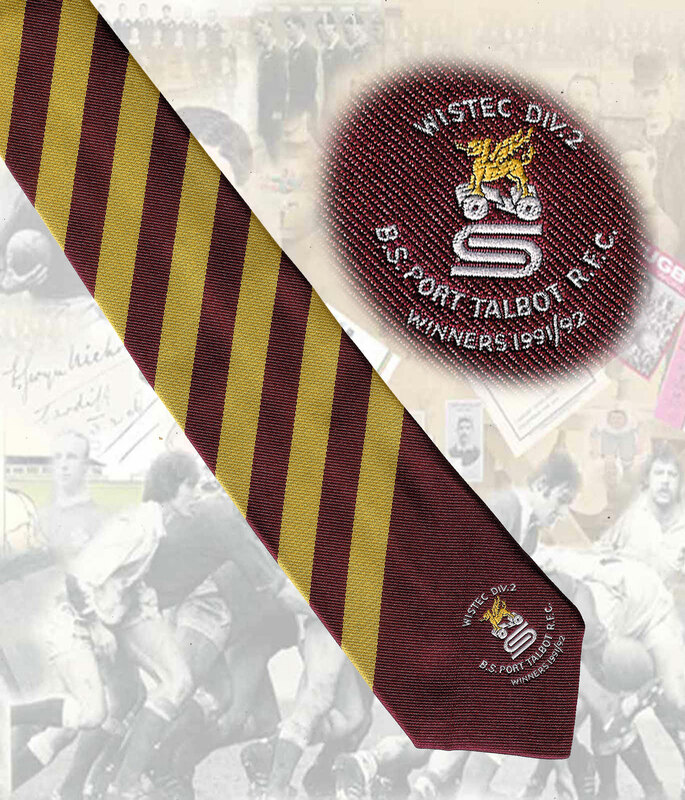 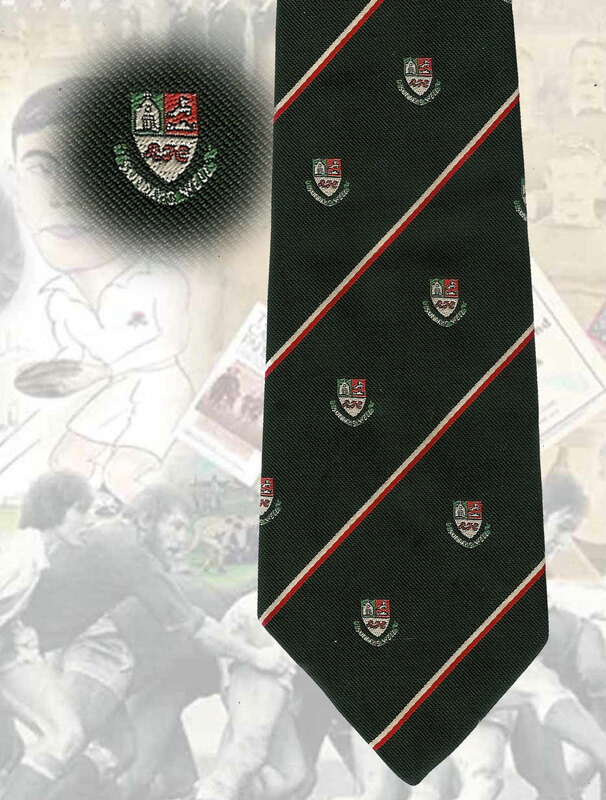 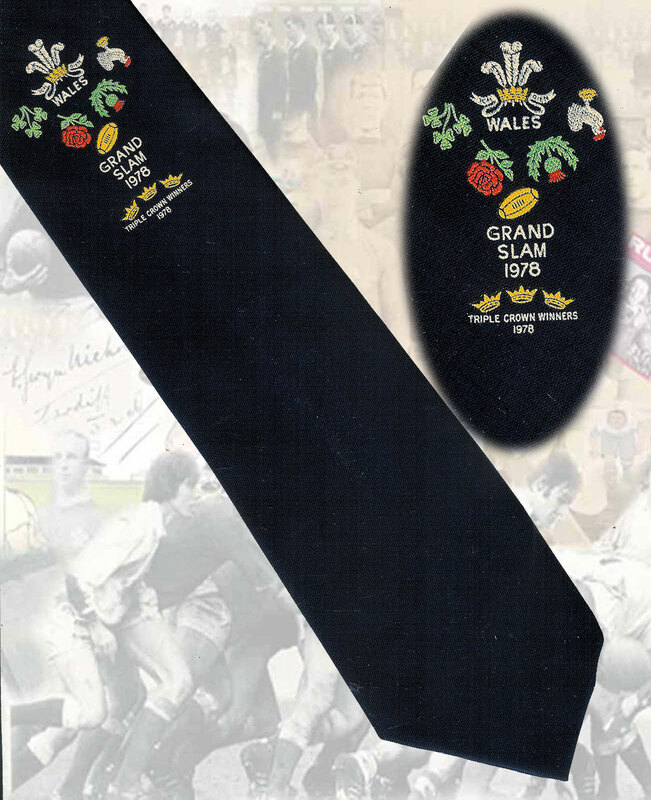 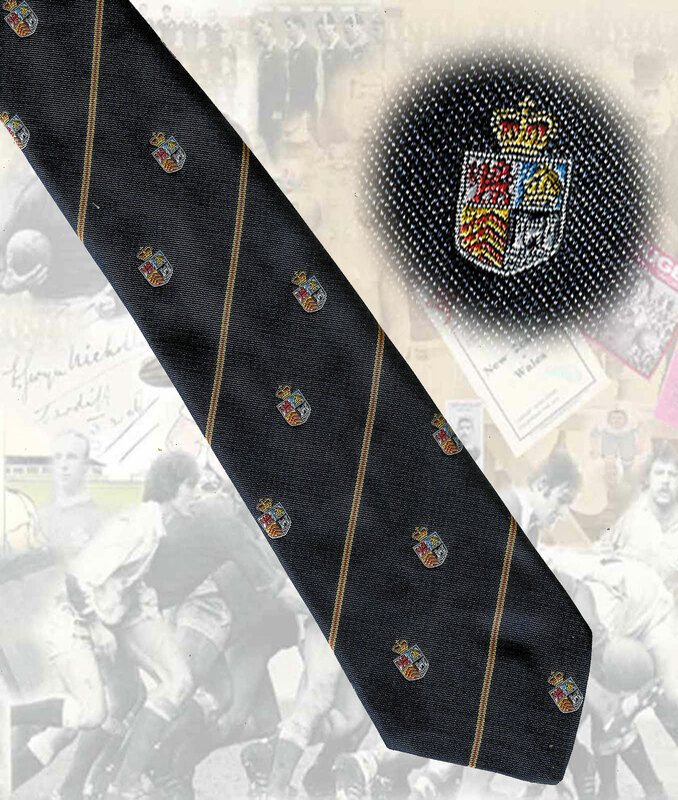 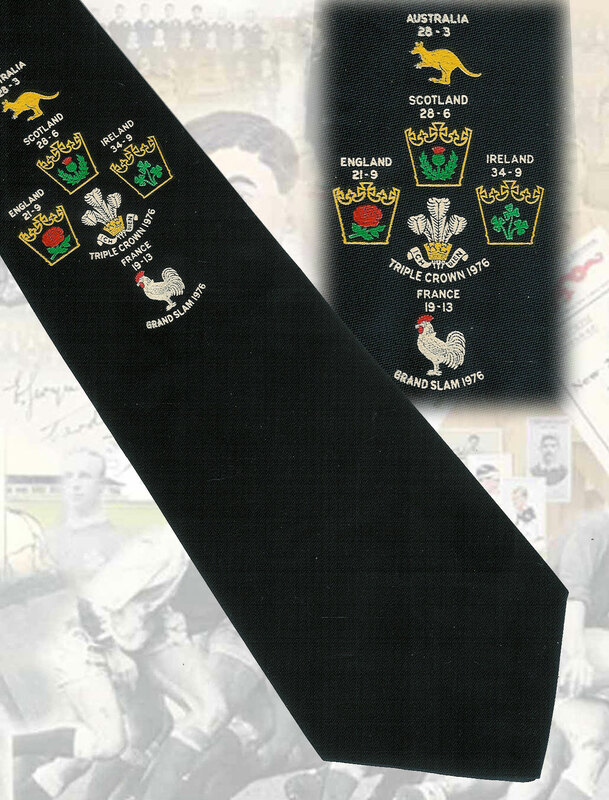 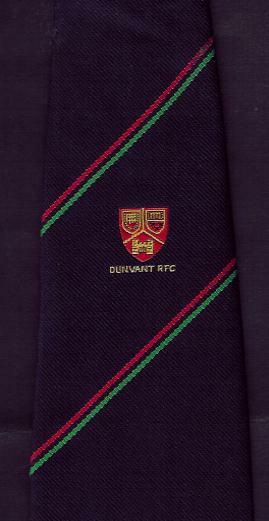 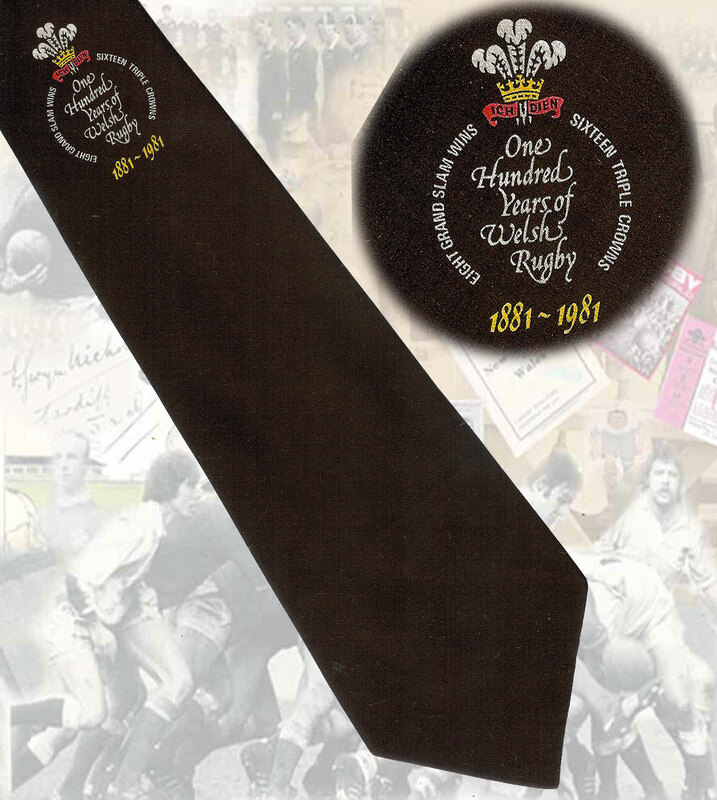 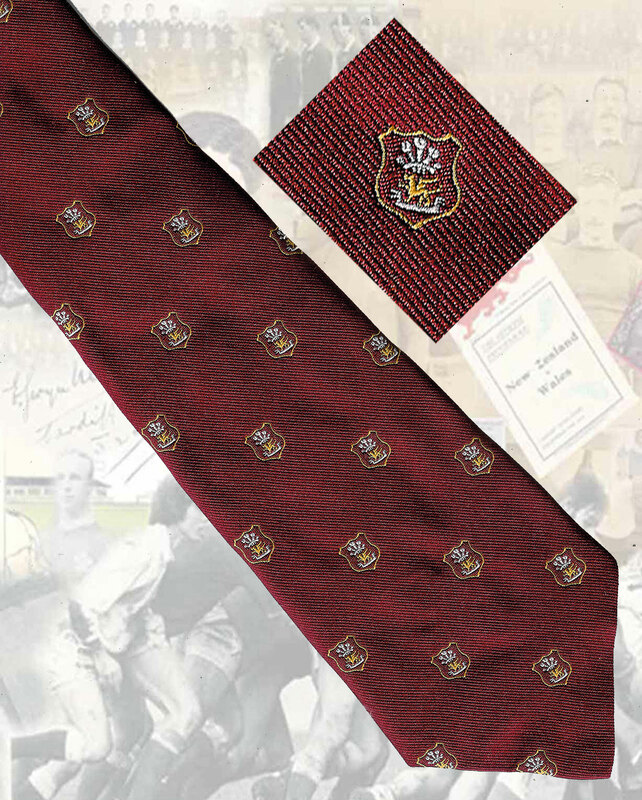 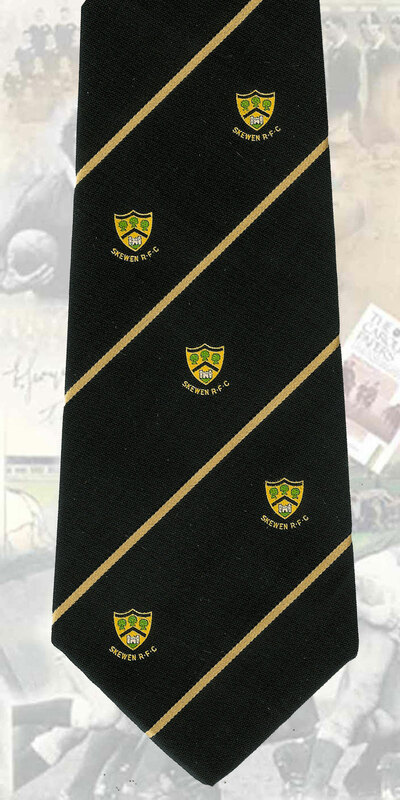 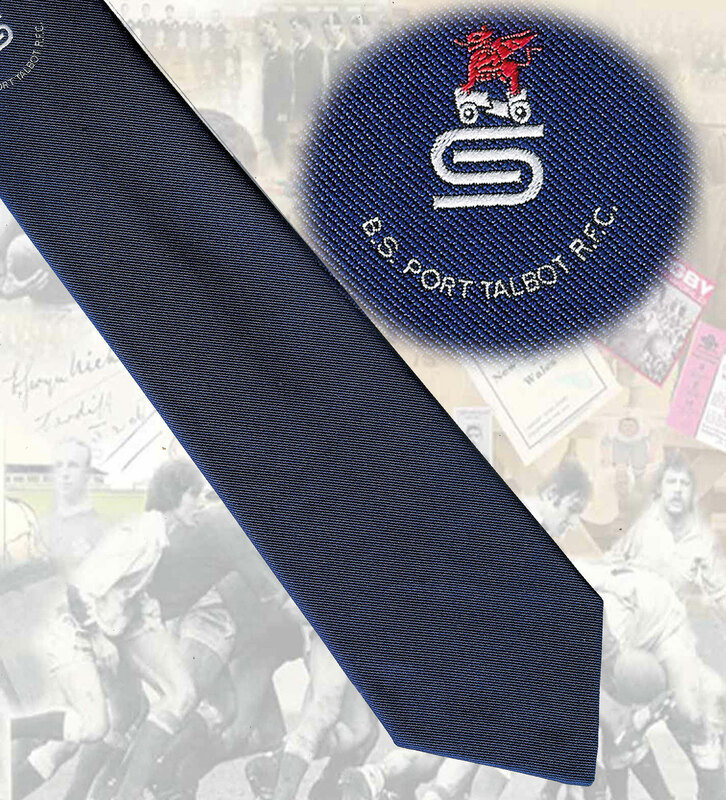 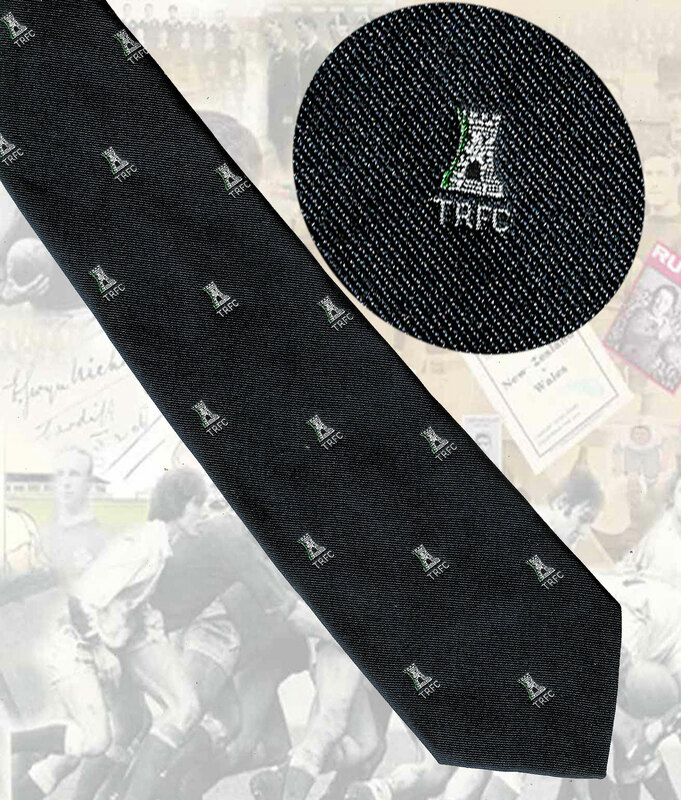 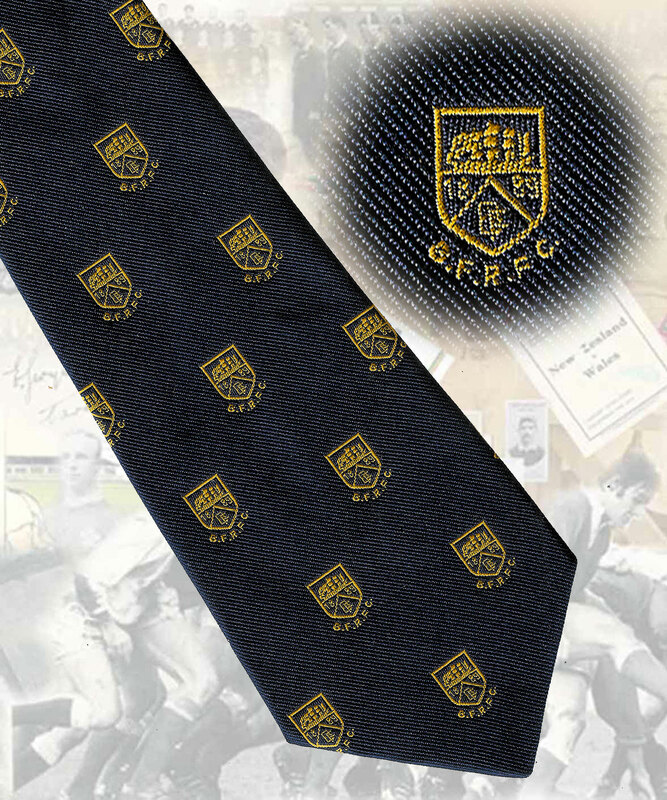 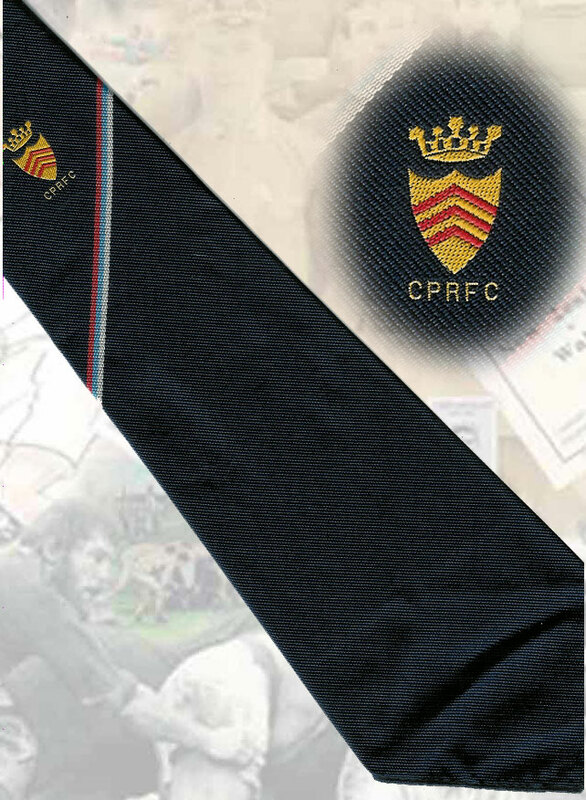 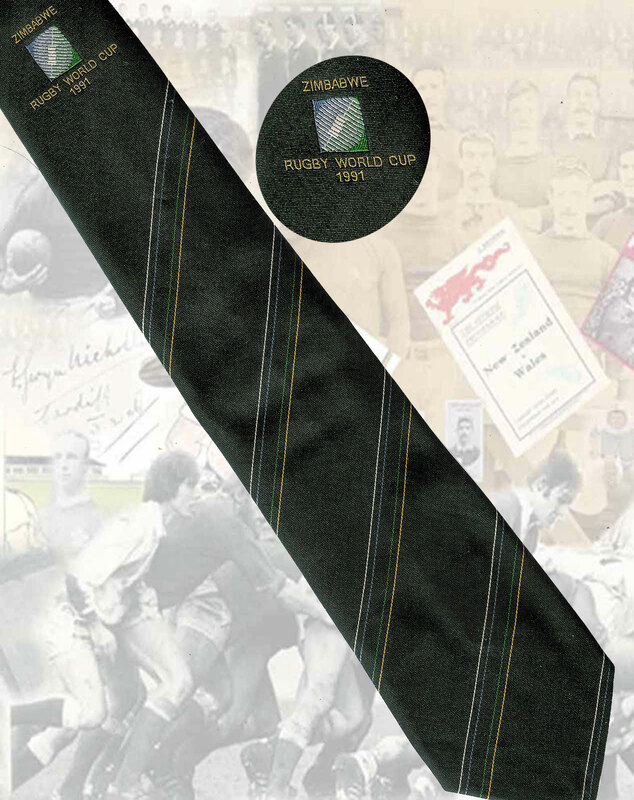 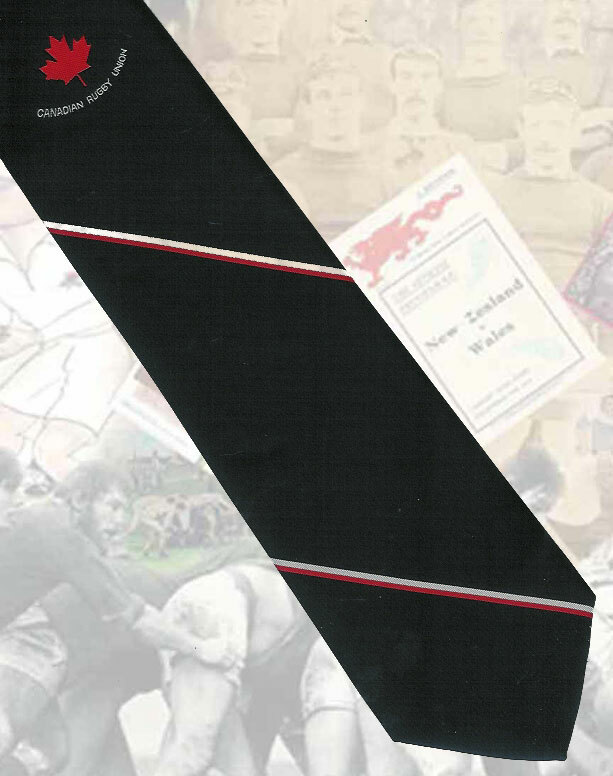 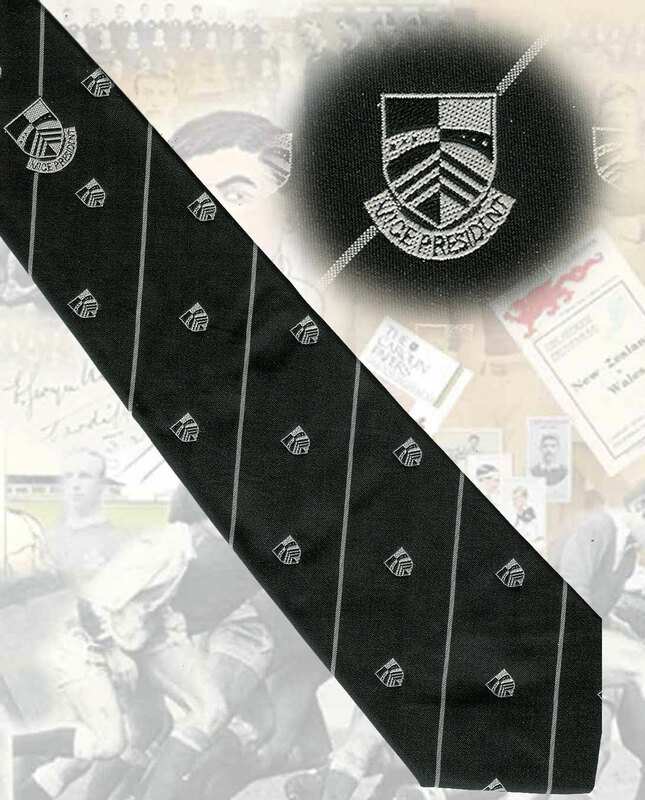 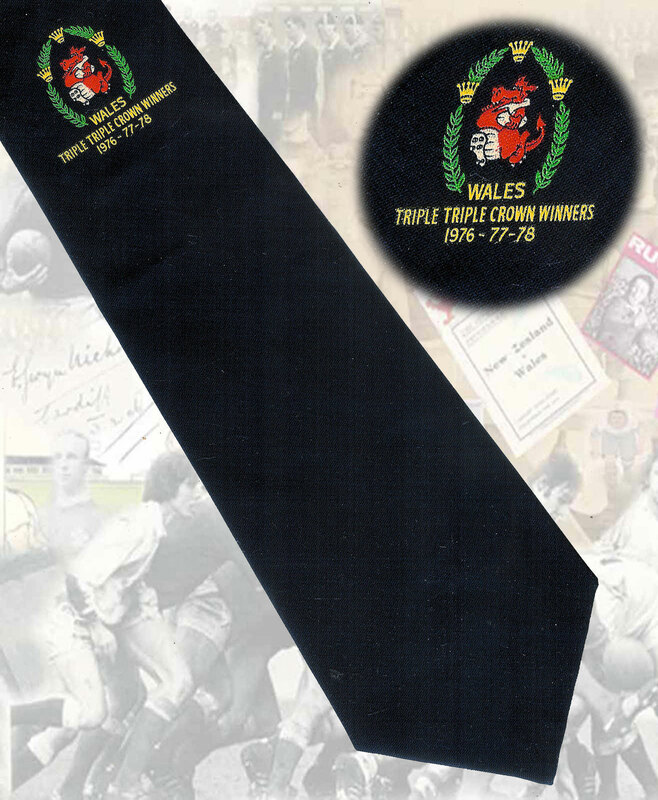 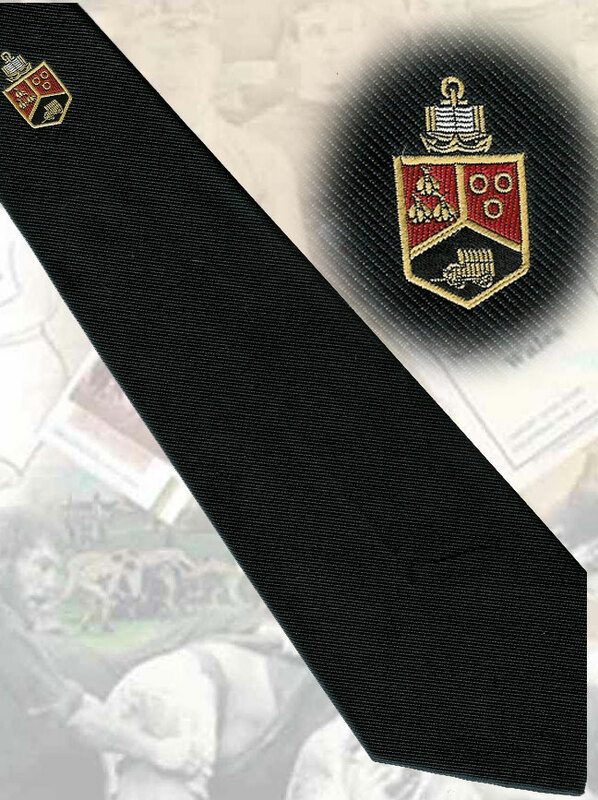 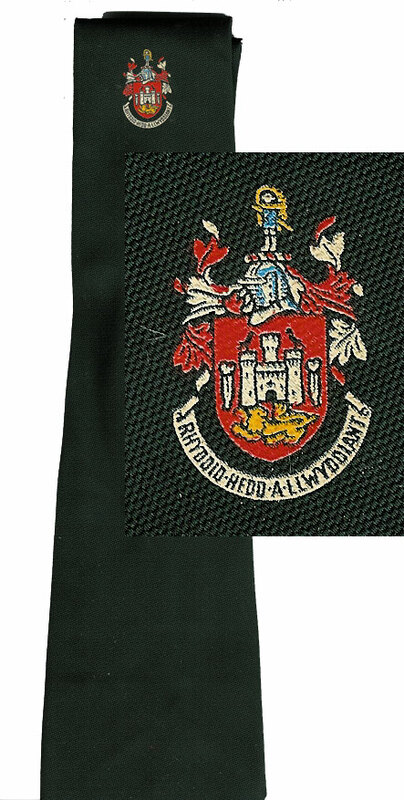 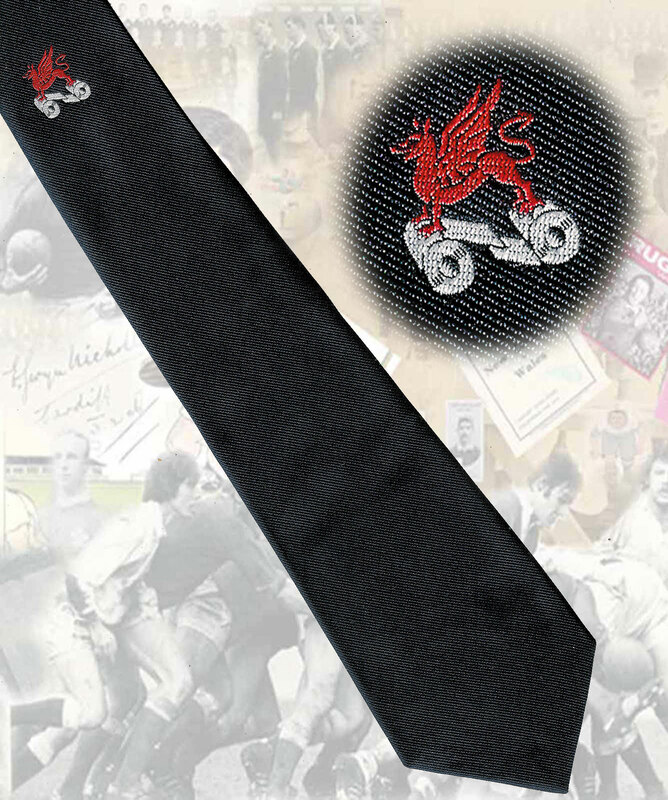 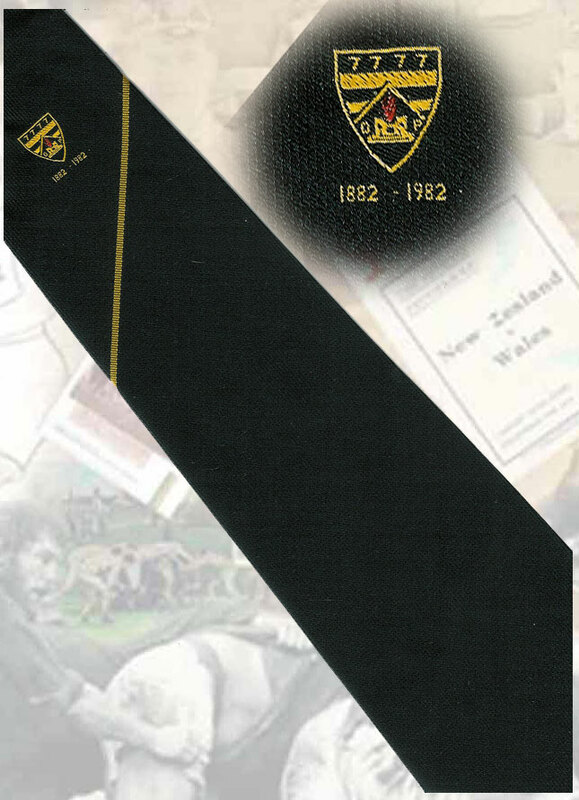 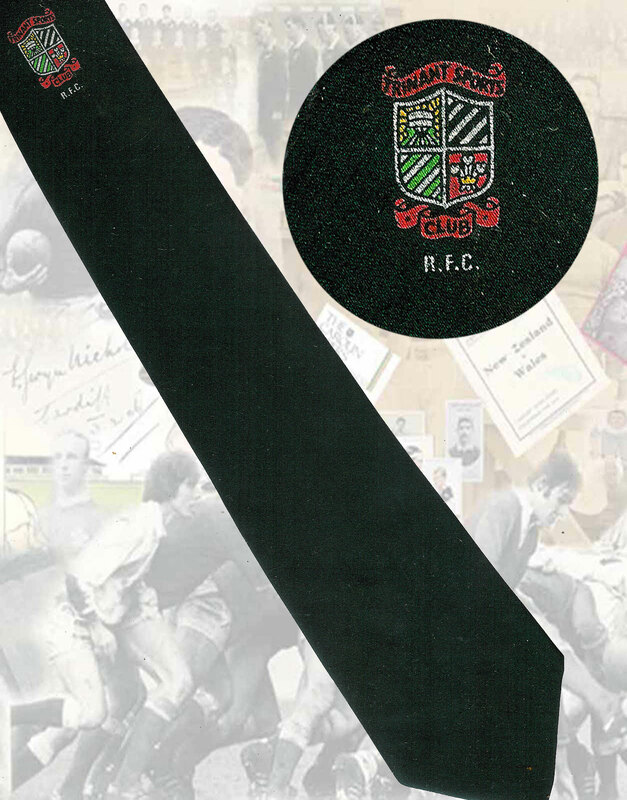 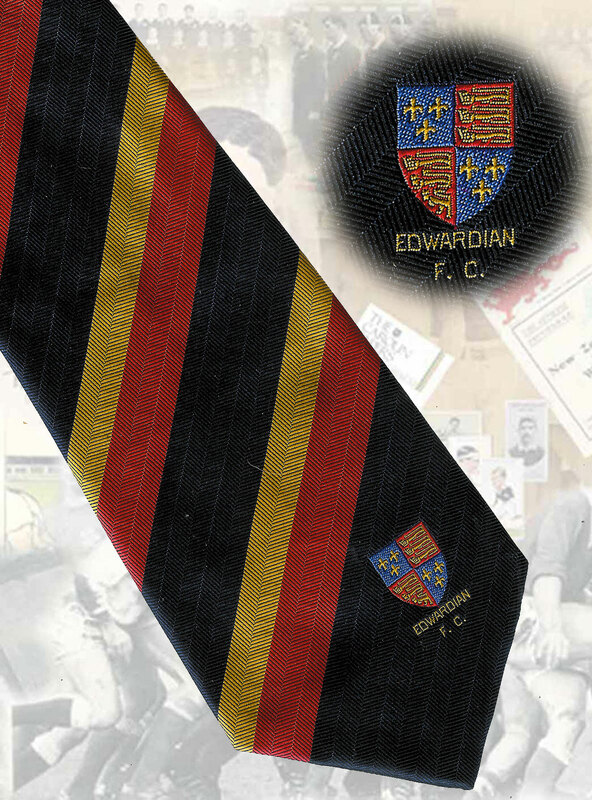 Ties marked ***previously displayed*** were displayed in the trophy cabinet at the BP Llandarcy clubhouse and may have small pin holes where an identification label was stapled, they are generally faded. 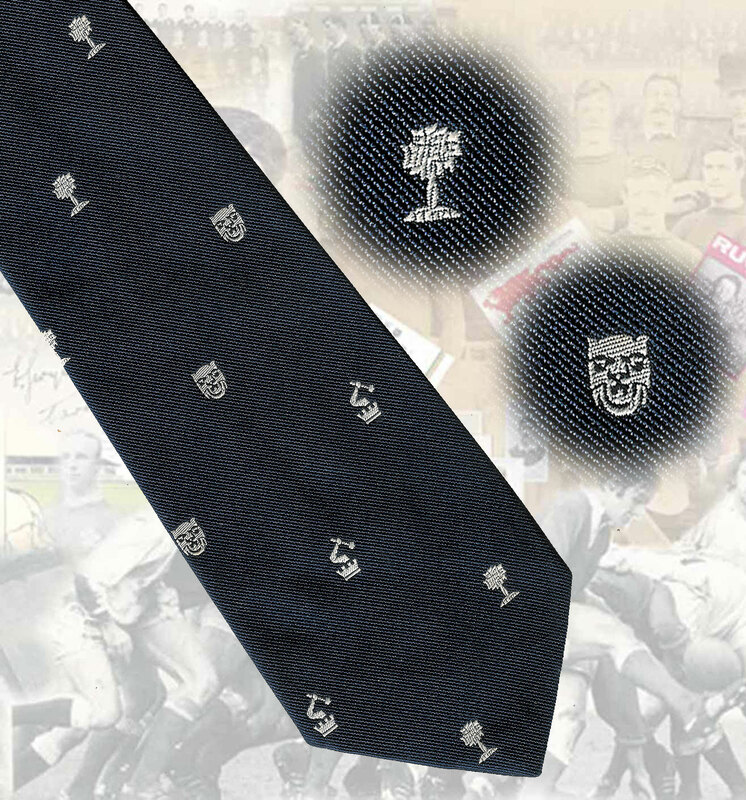 These ties are mostly not suitable to wear. 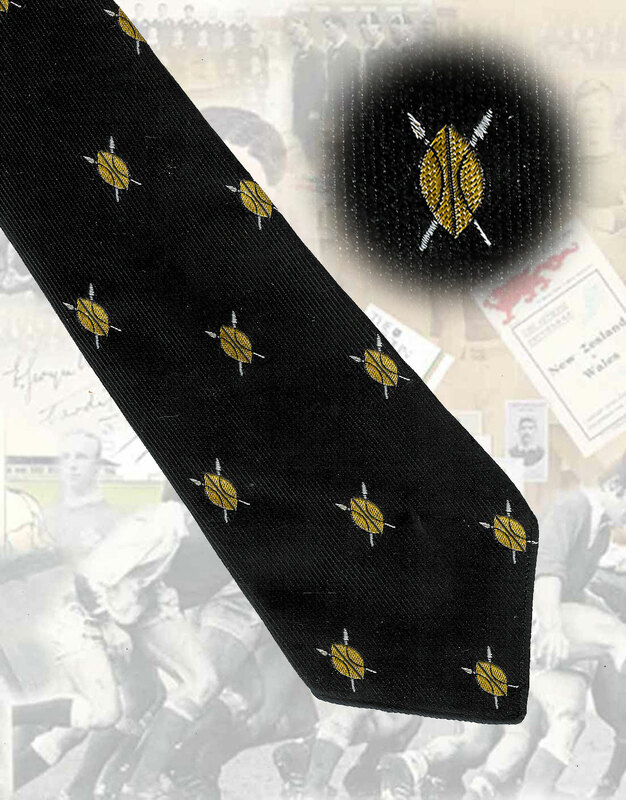 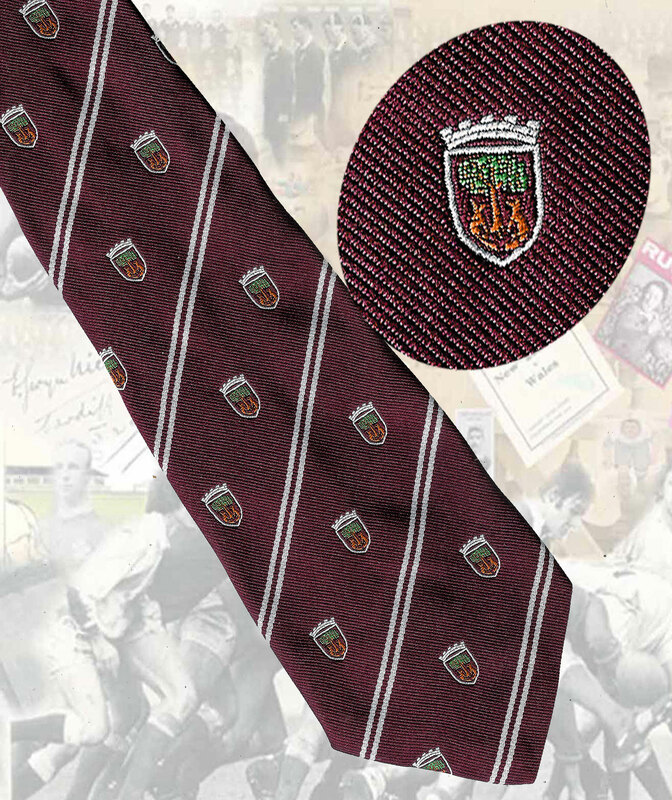 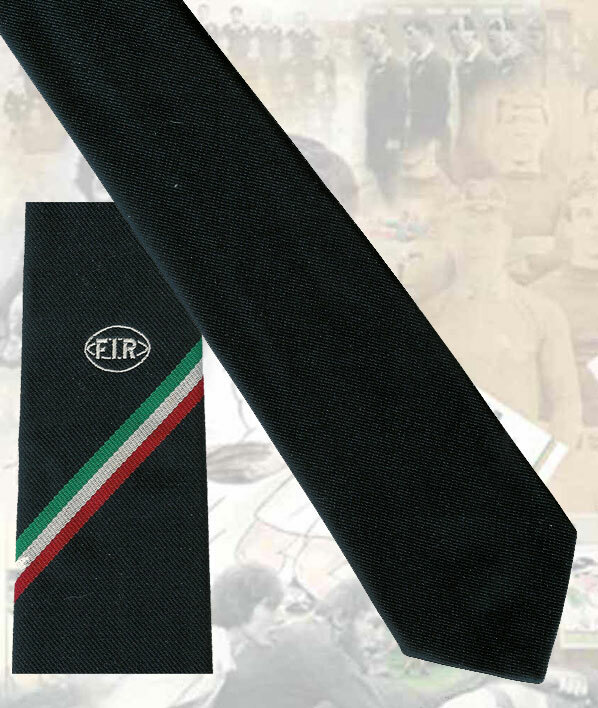 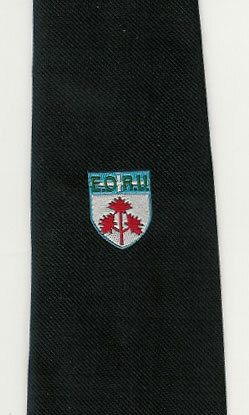 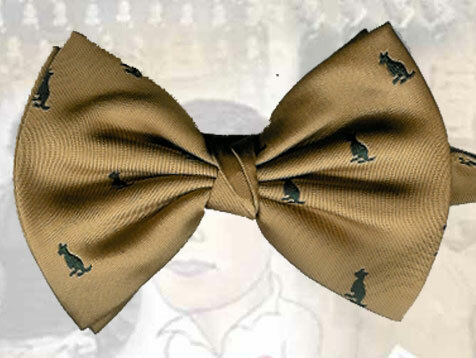 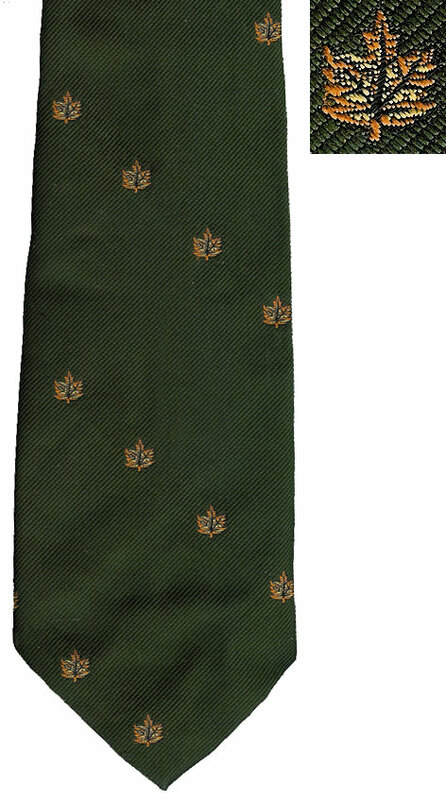 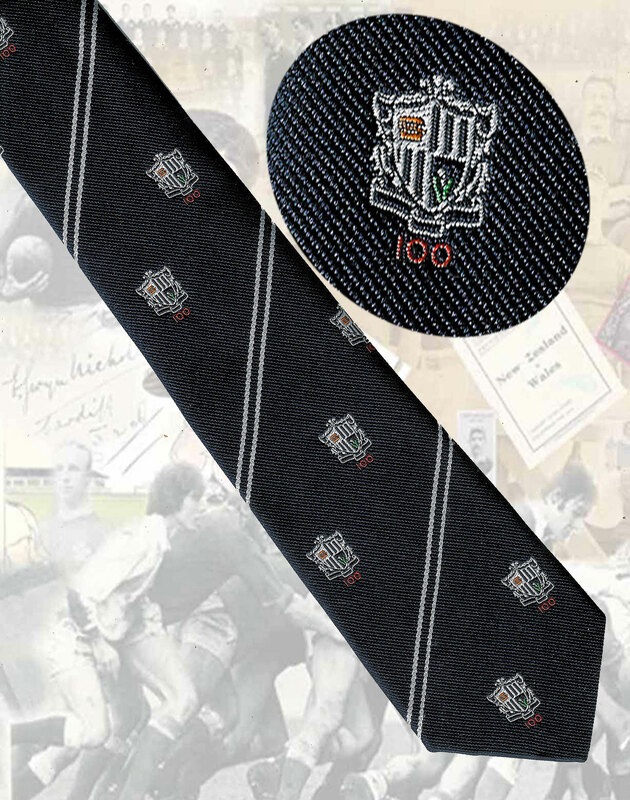 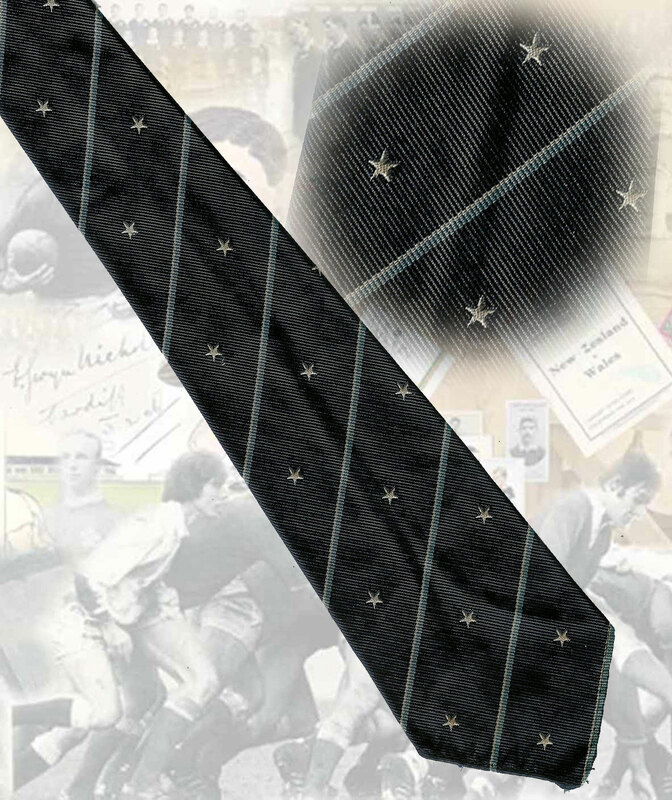 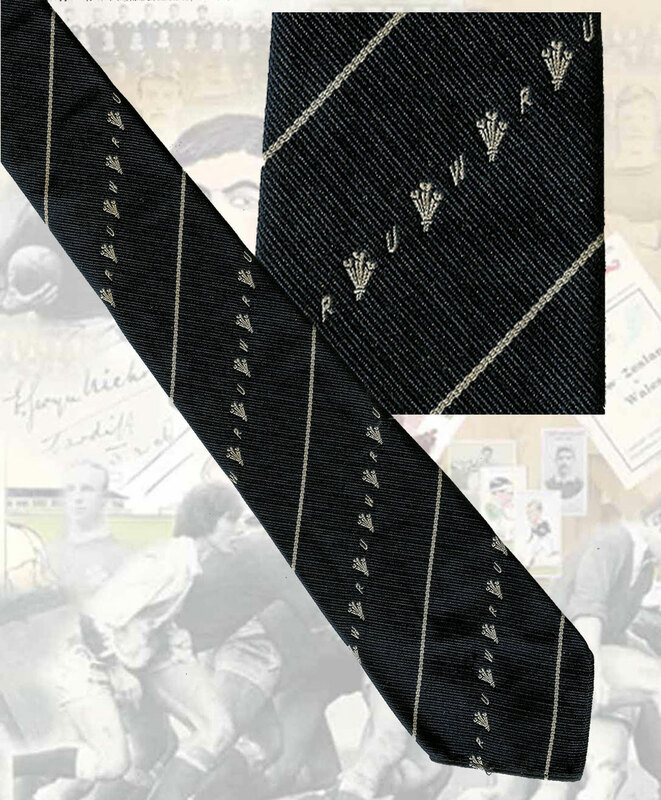 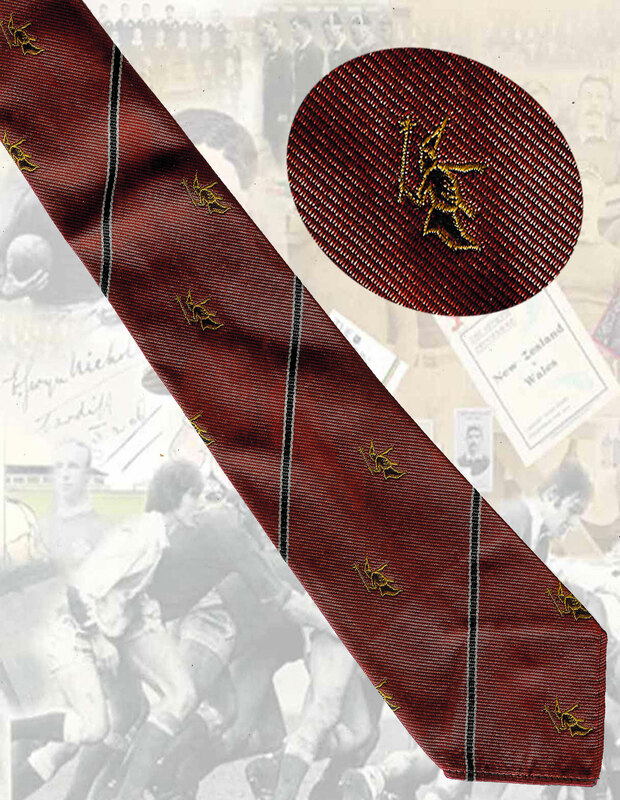 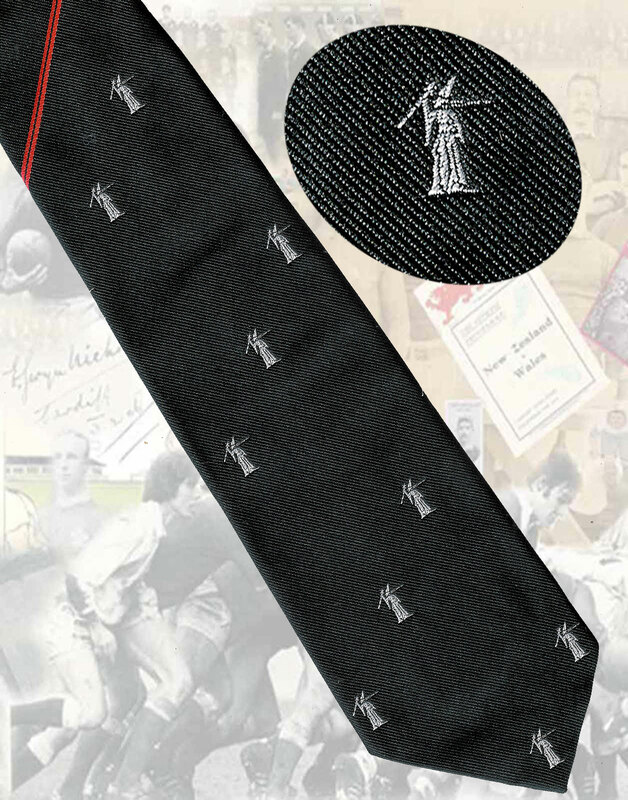 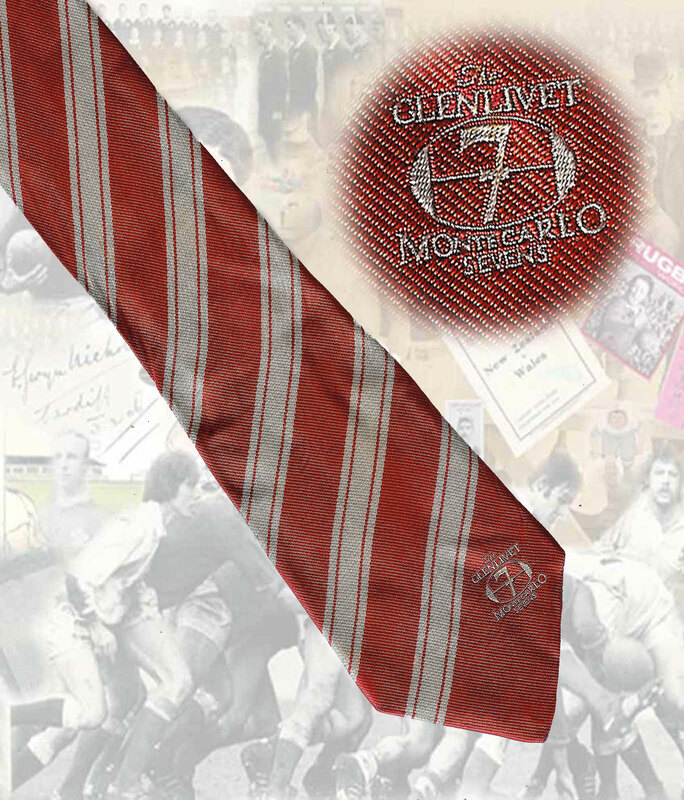 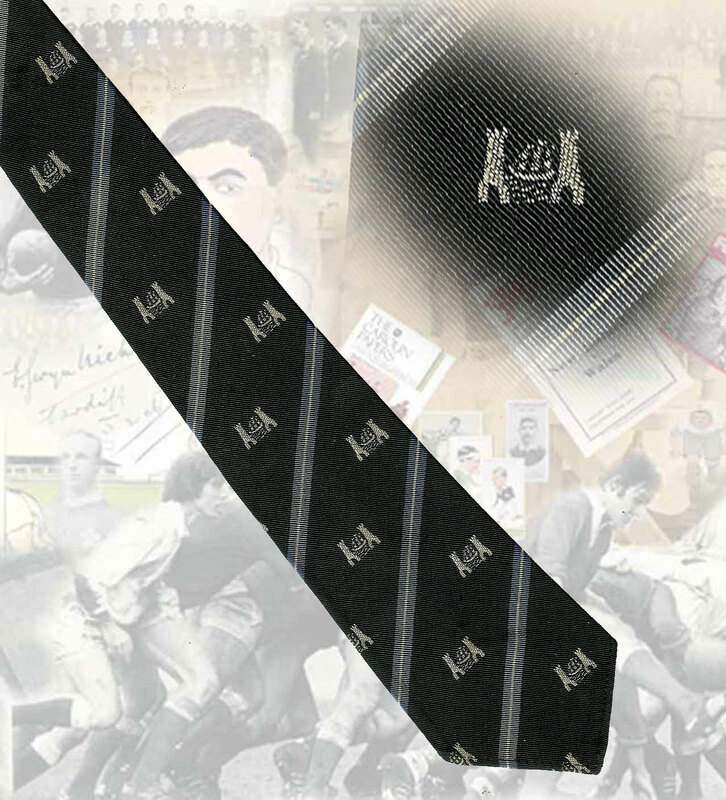 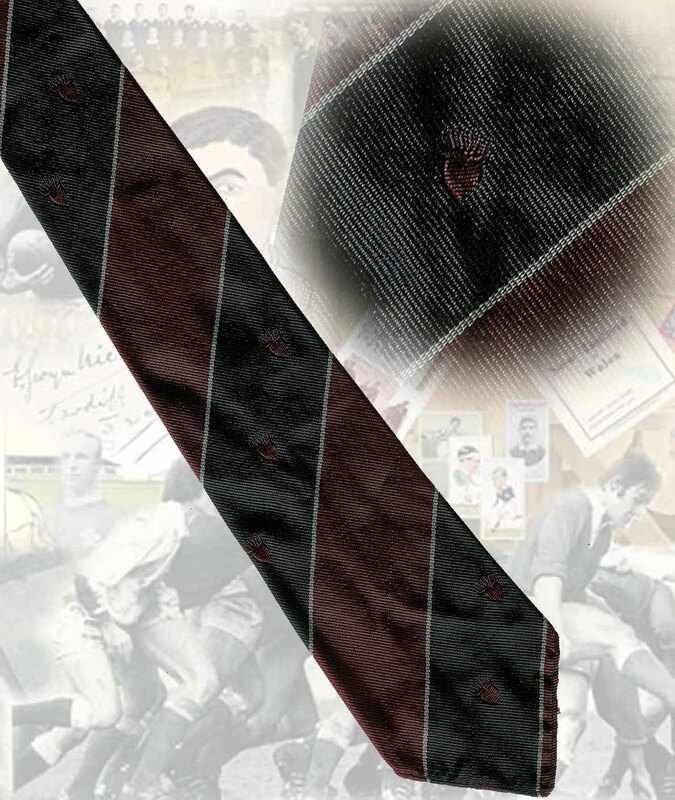 Possibly a Chile referees tie, 10.5cm, made by Lazo Milano. 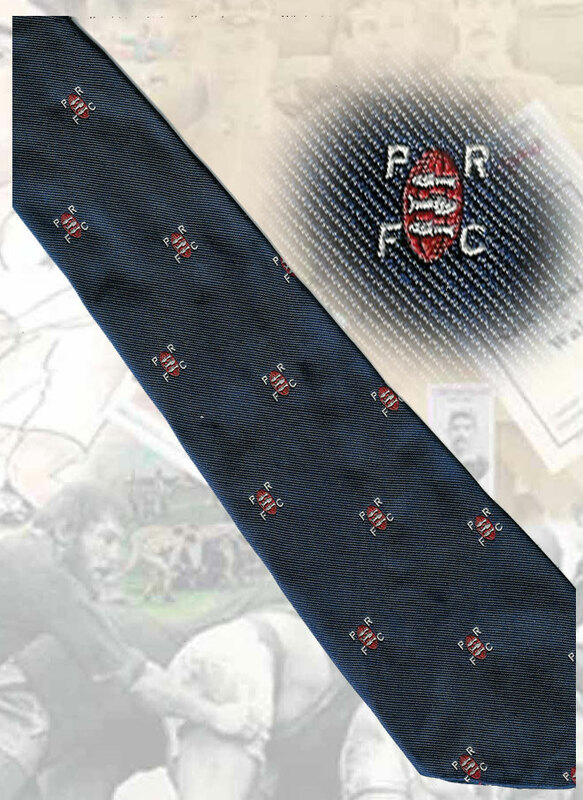 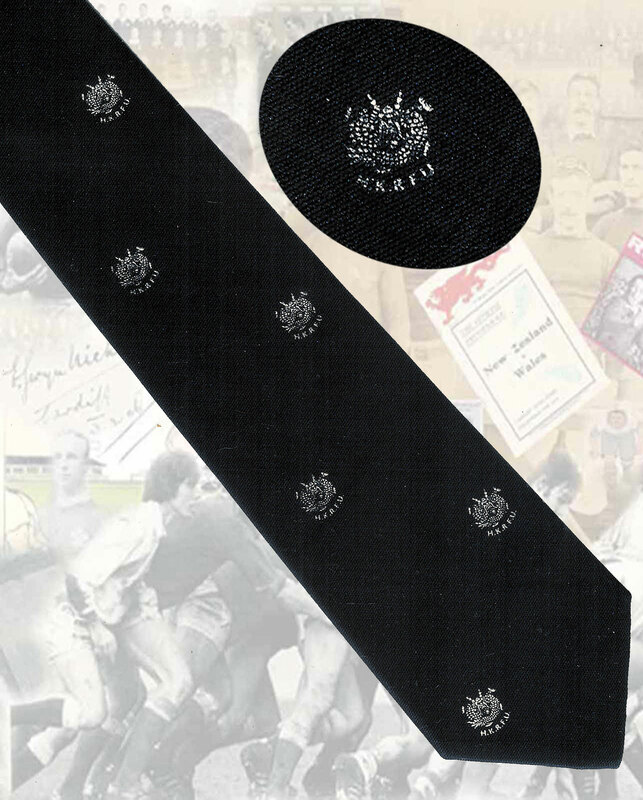 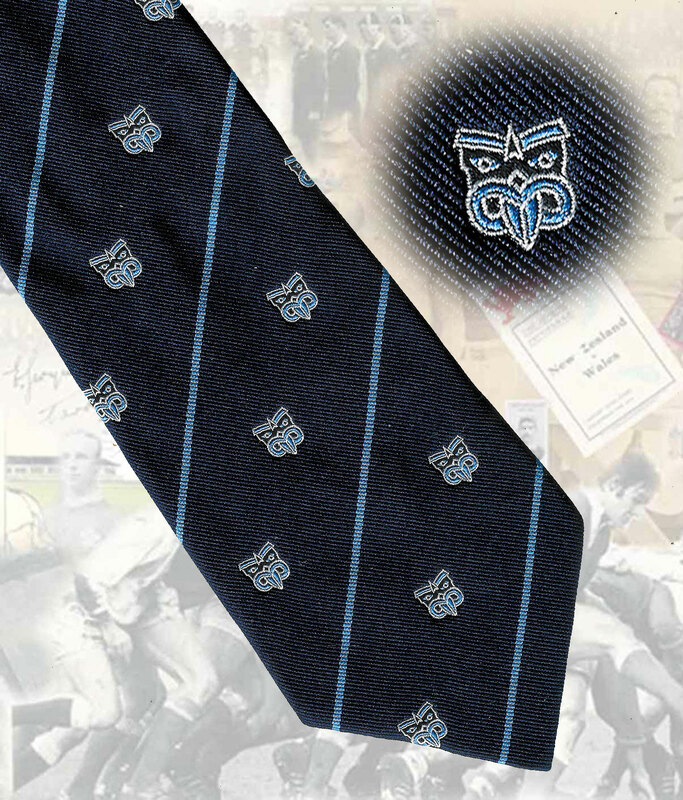 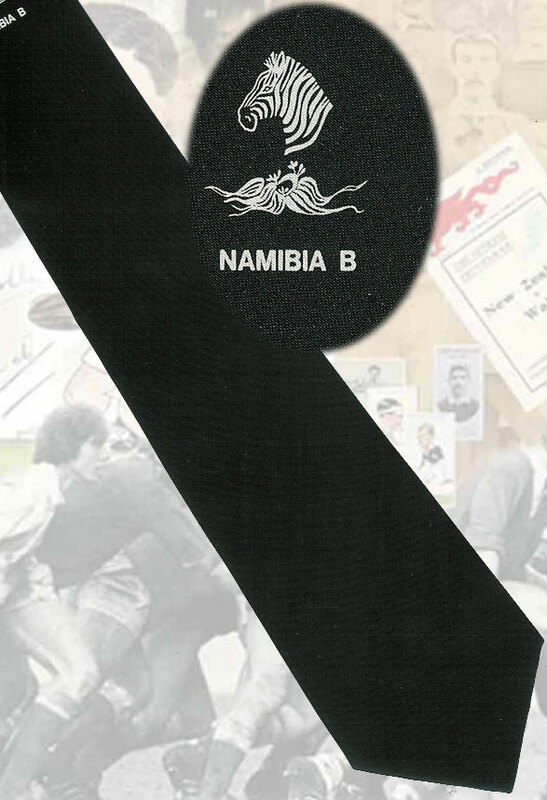 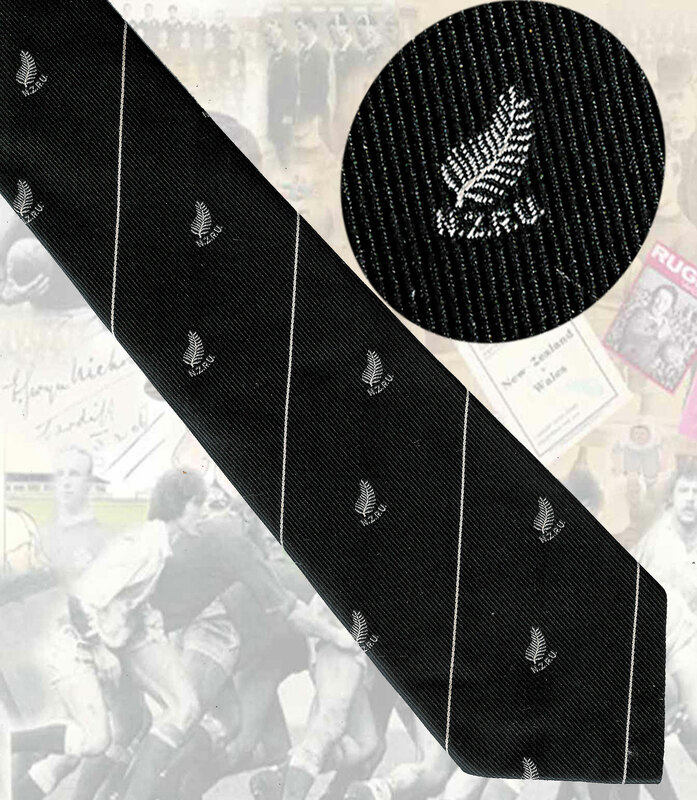 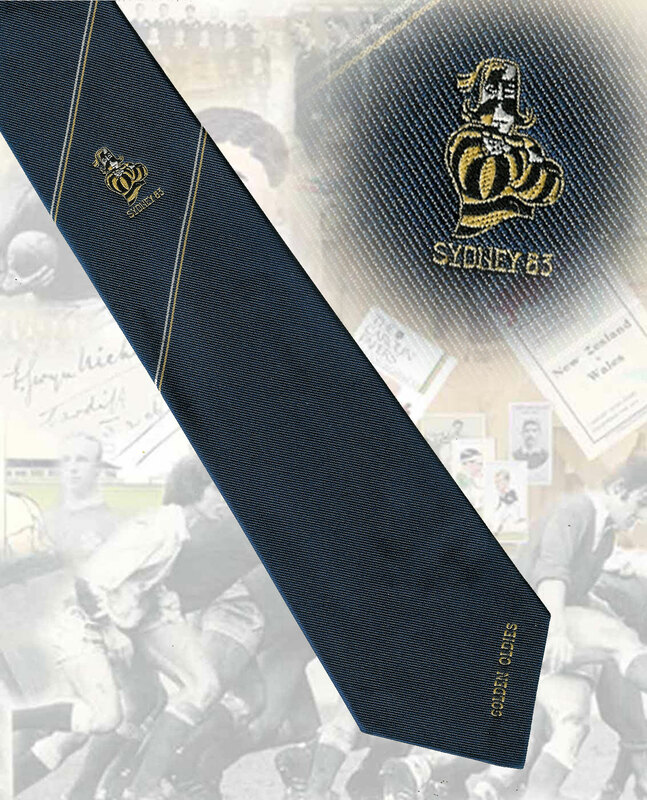 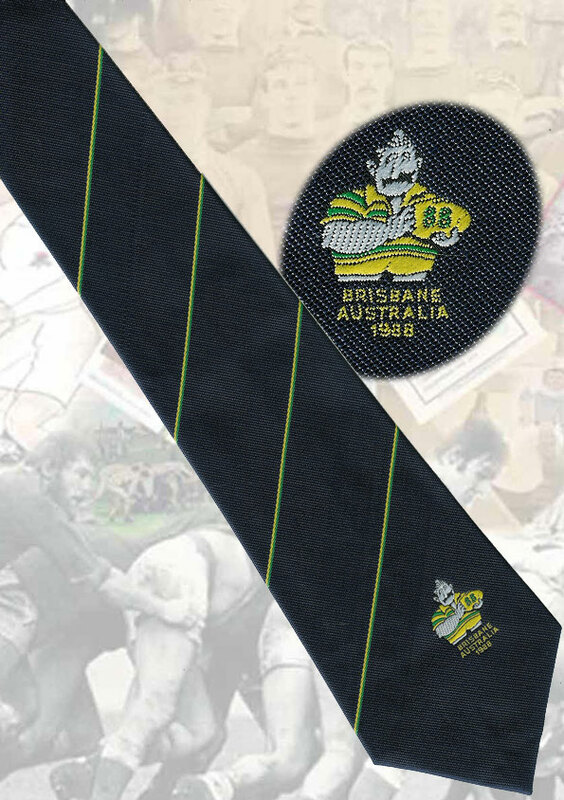 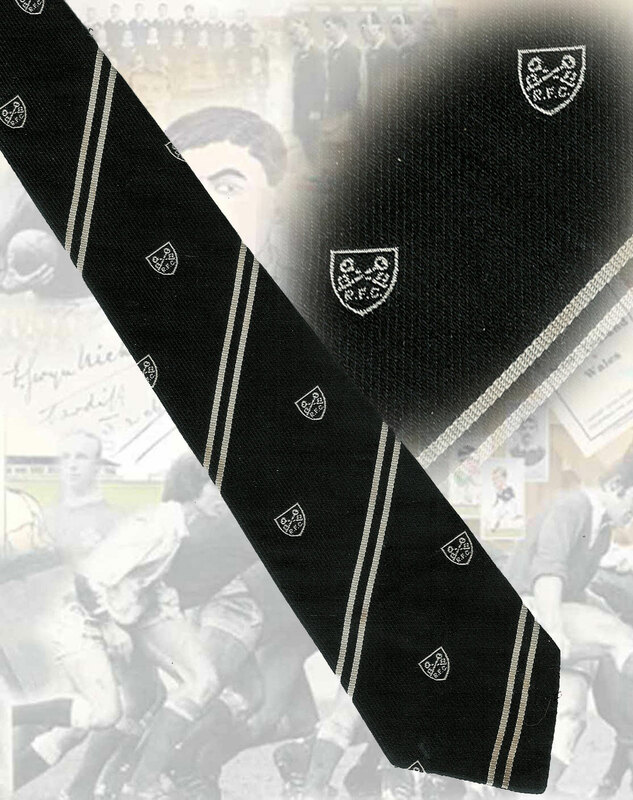 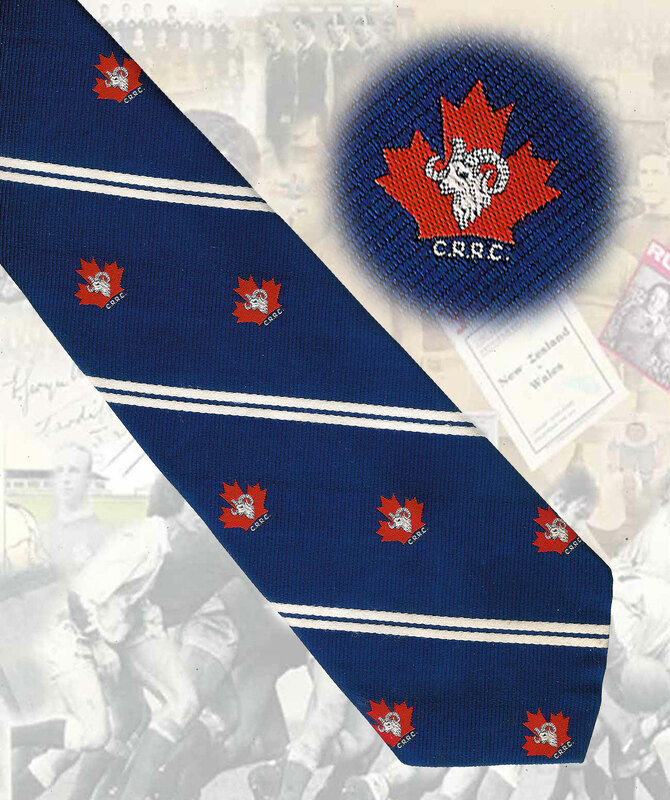 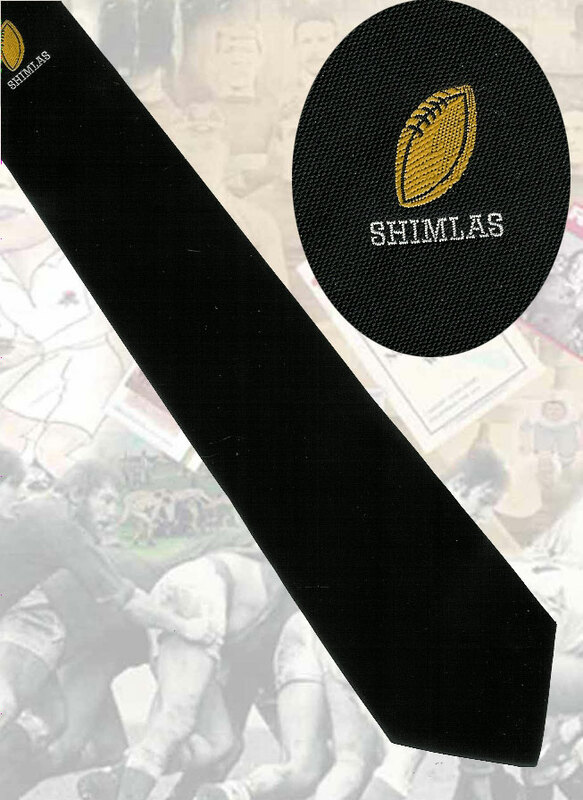 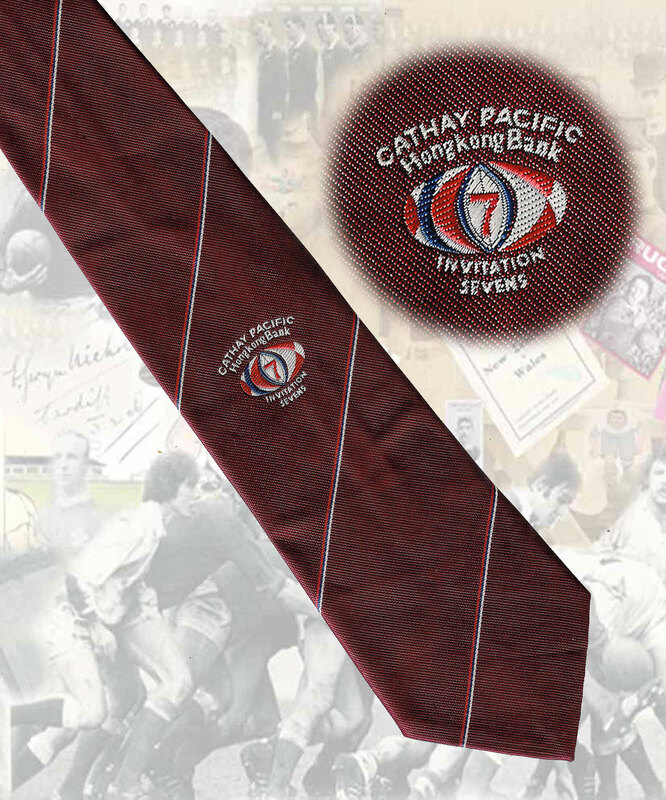 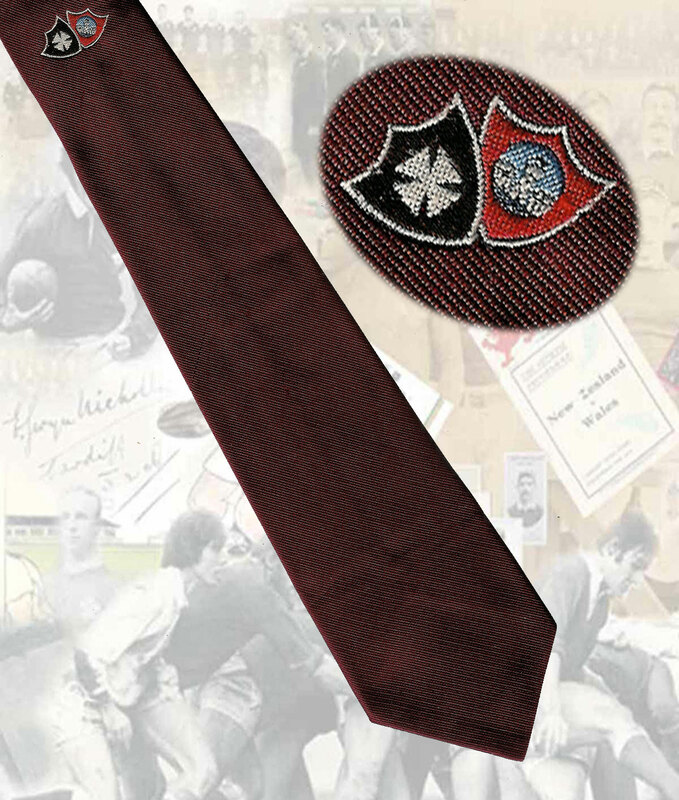 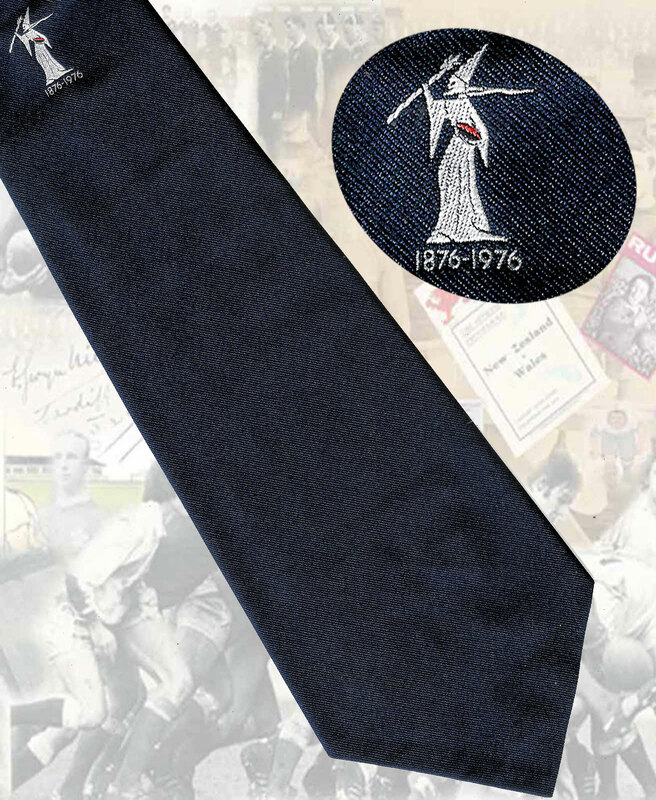 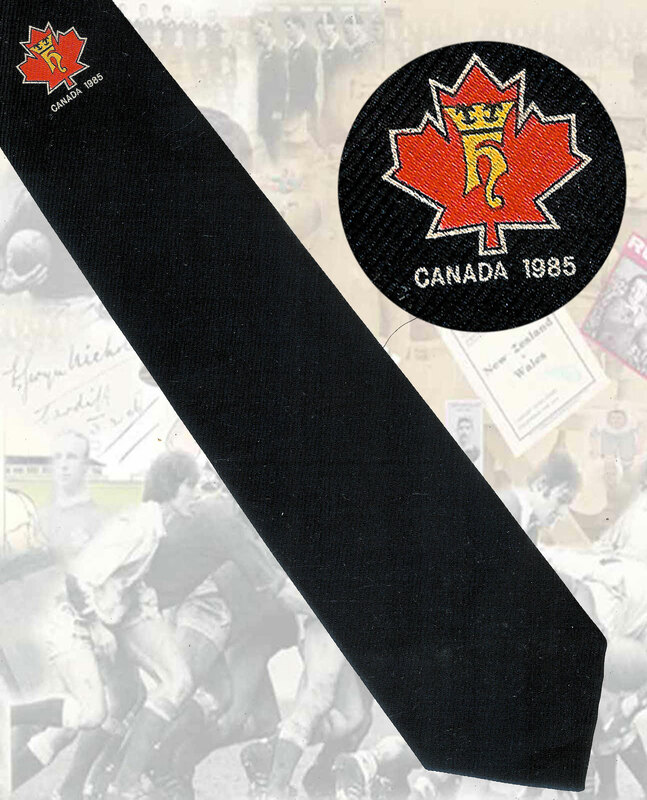 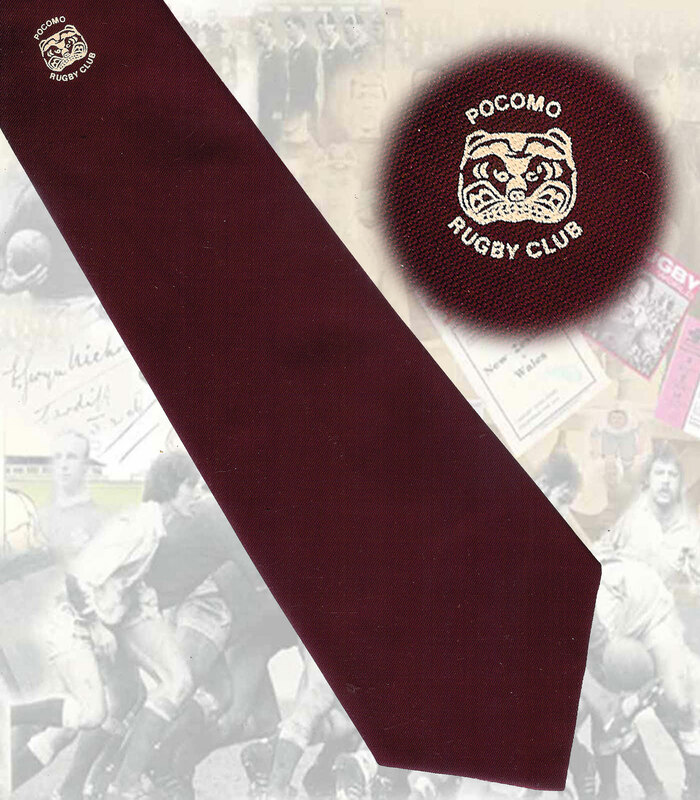 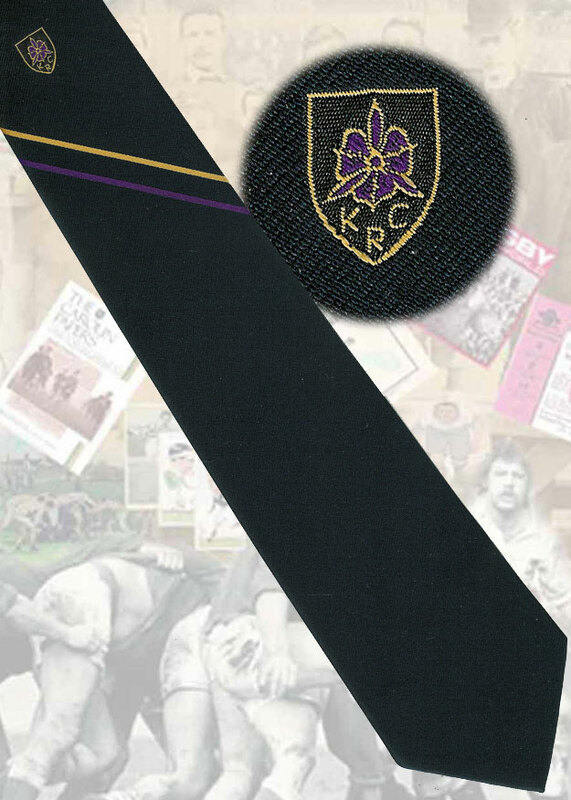 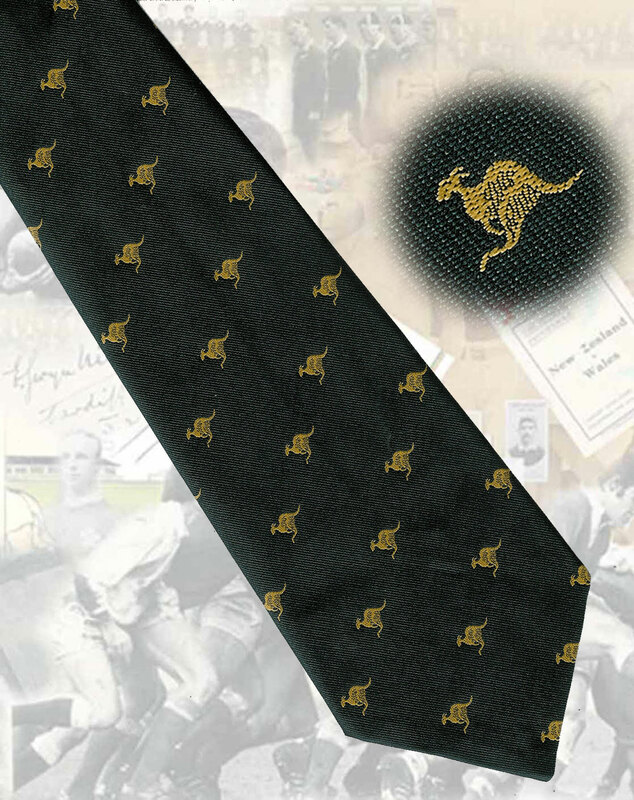 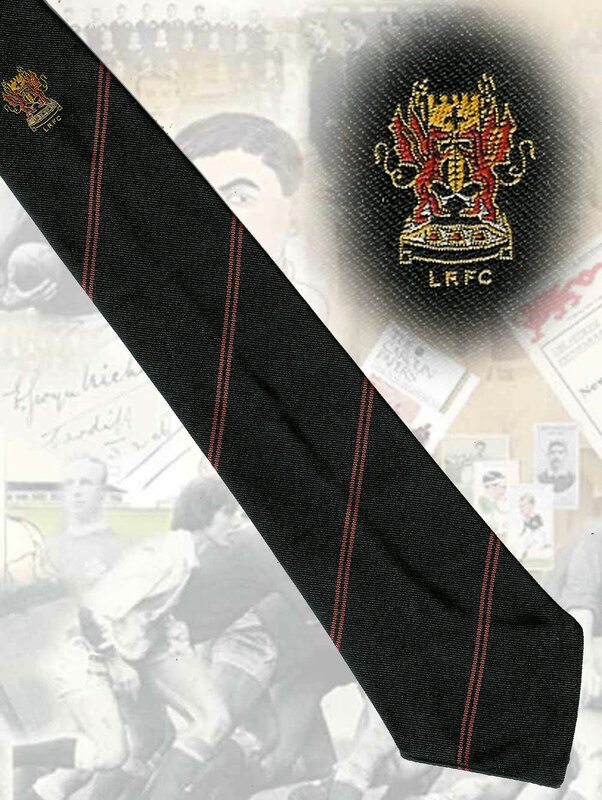 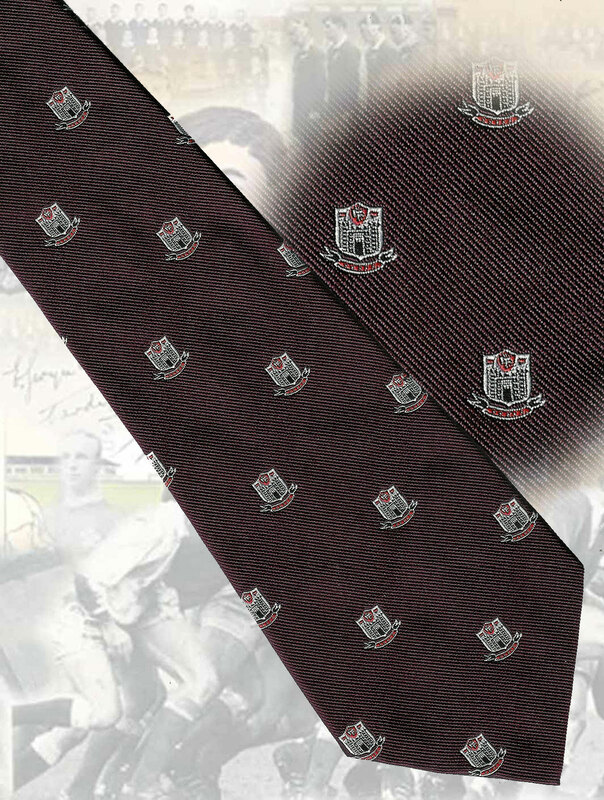 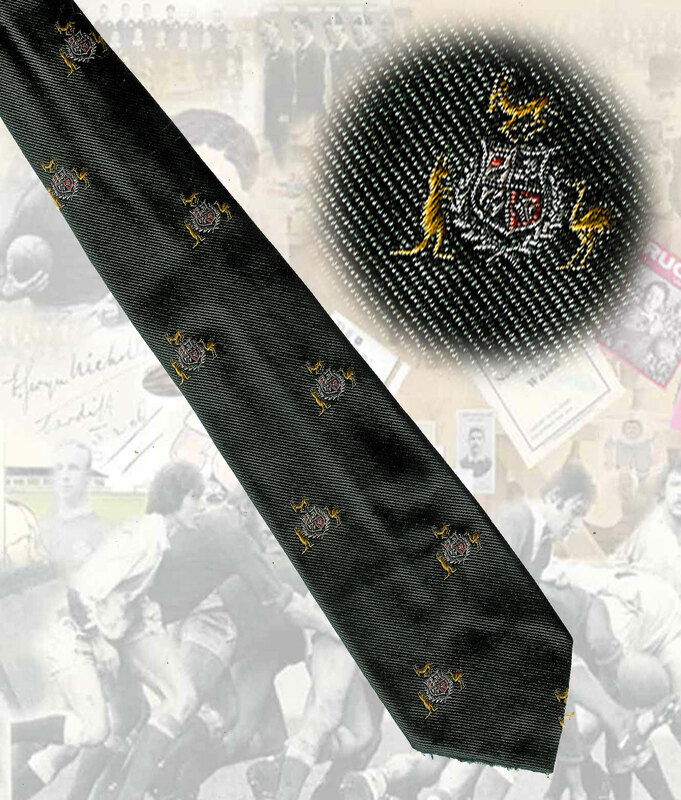 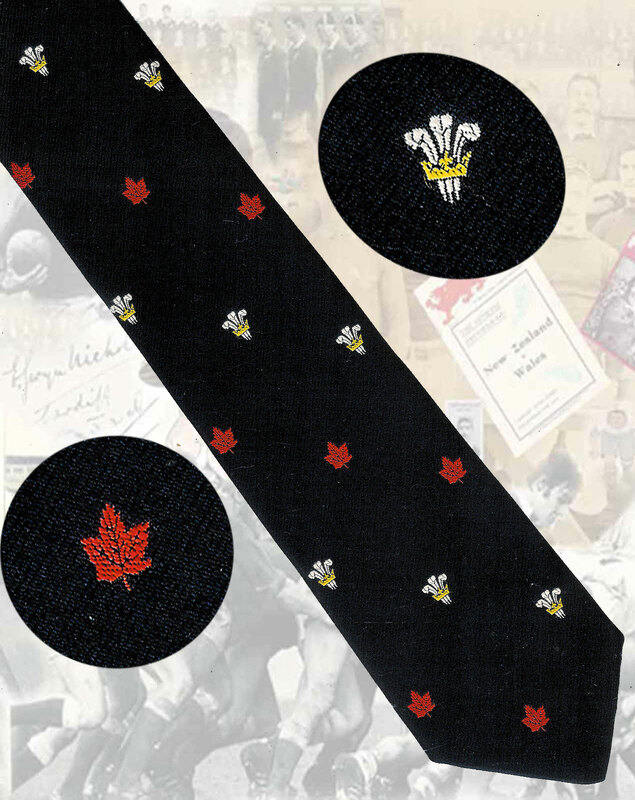 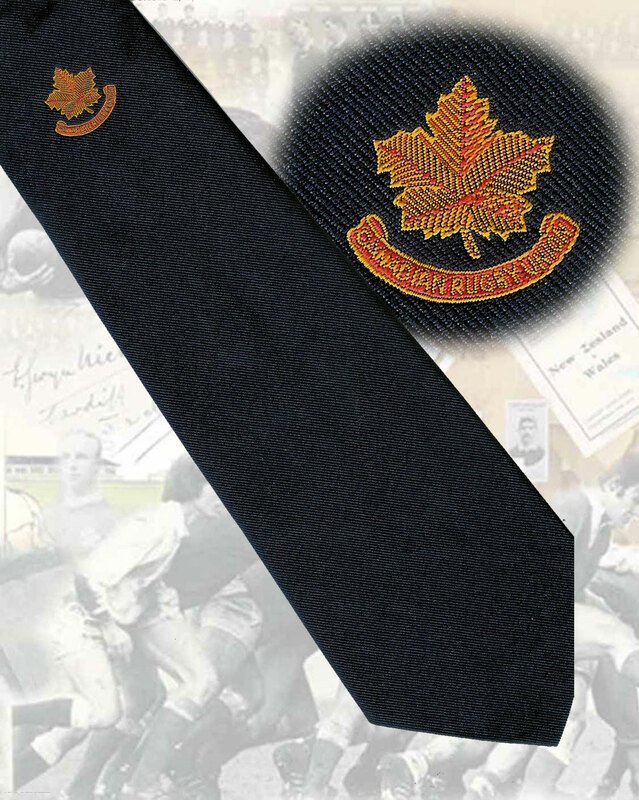 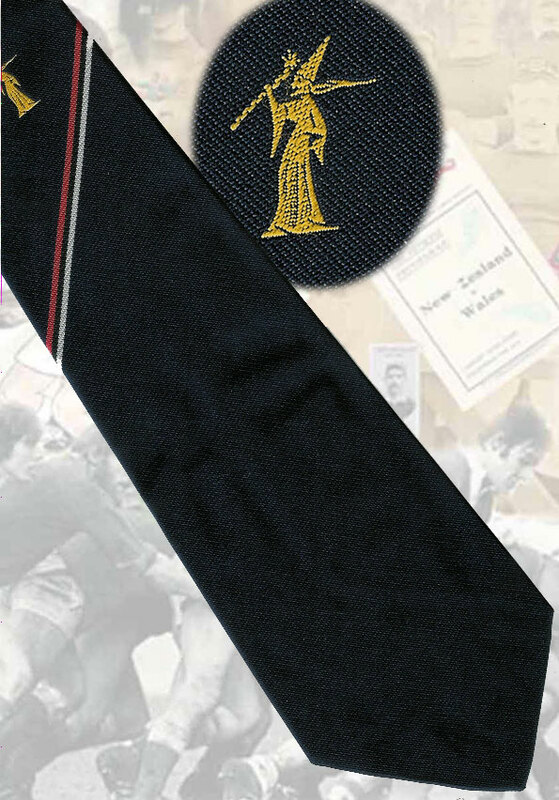 Can you help identify a number of ties that we have but don't know which team they represent. 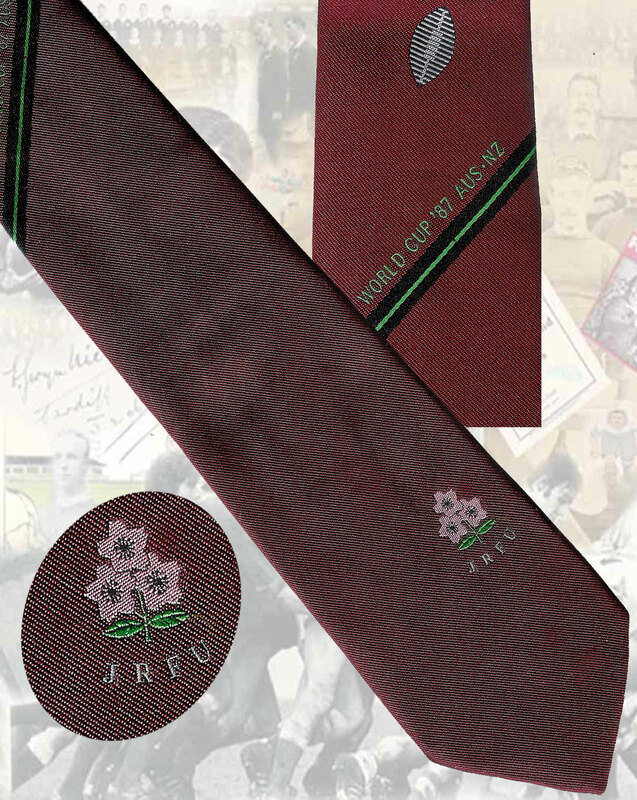 Fujisawa (Japan) All for one, one for all, rugby School. 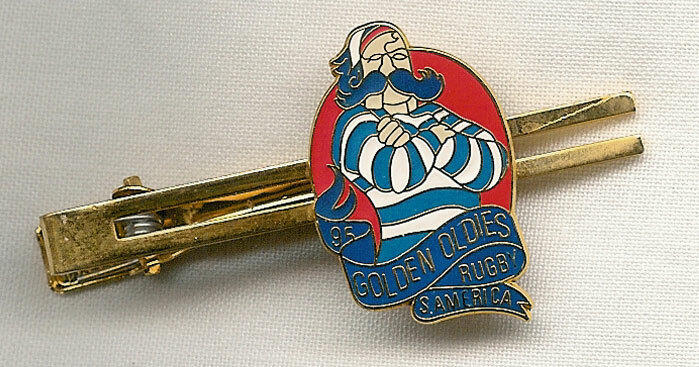 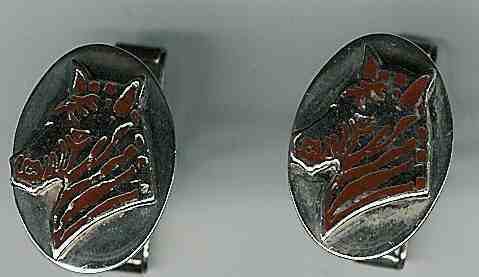 Wak Wak Rugby Club (Japan) Canada tour 1976 tie pin, 50mm. 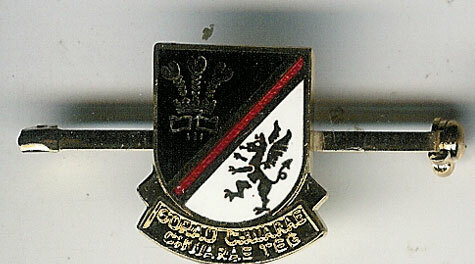 Unknown Japanese tie pin, 50mm.